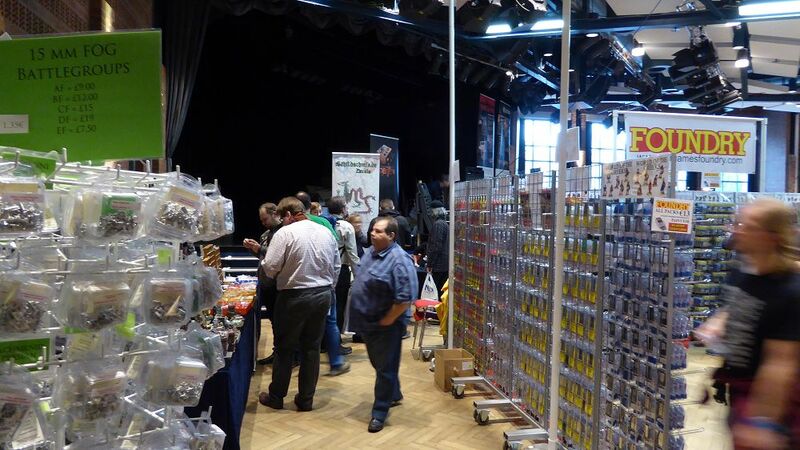 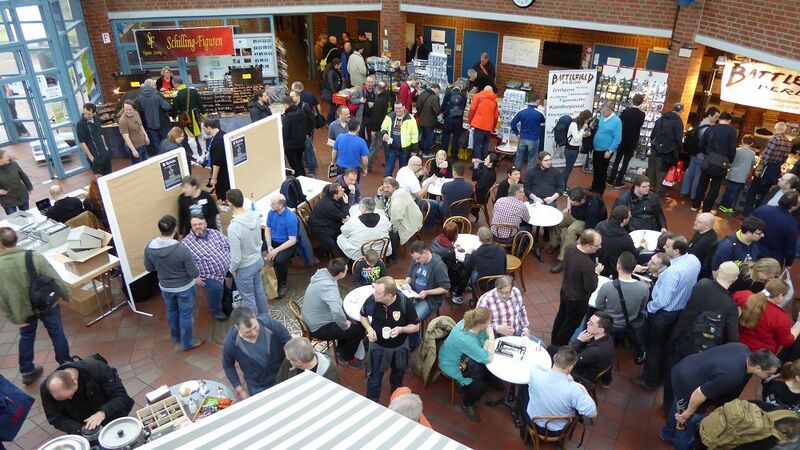 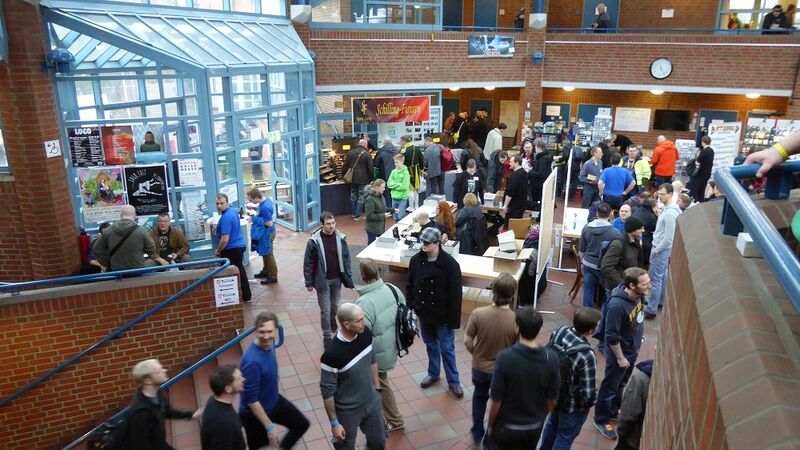 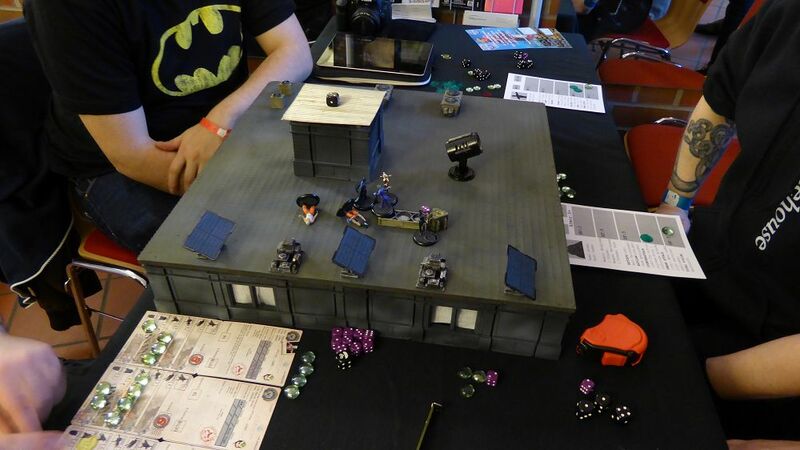 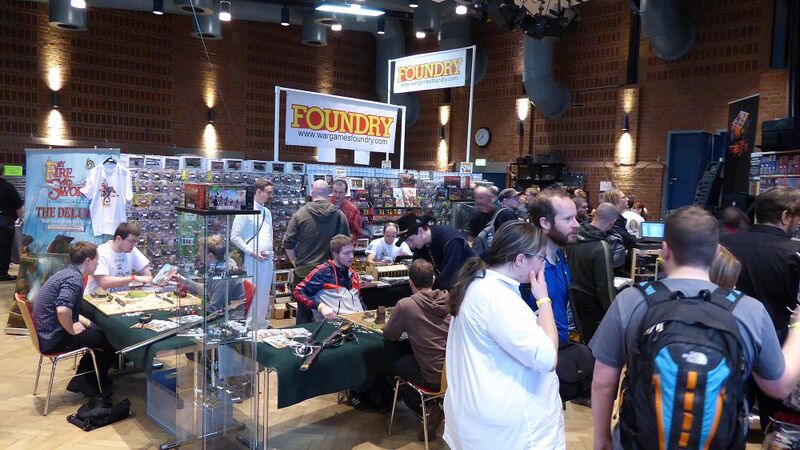 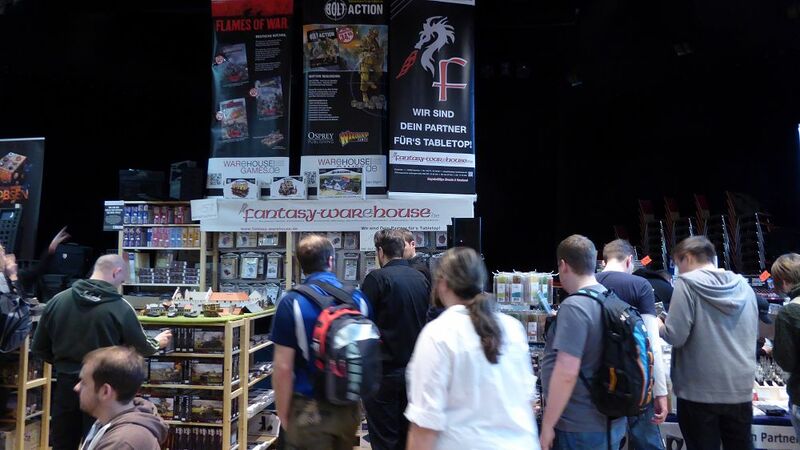 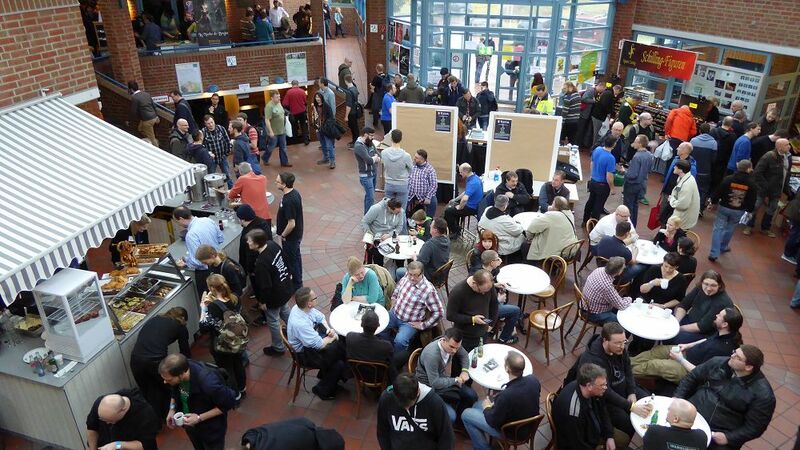 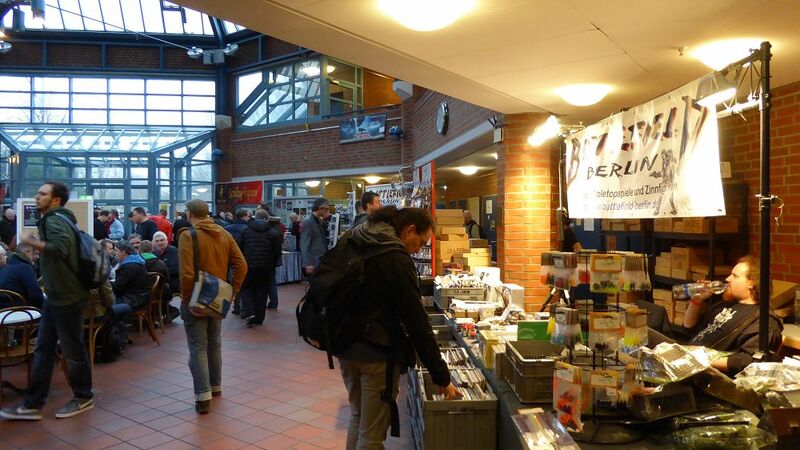 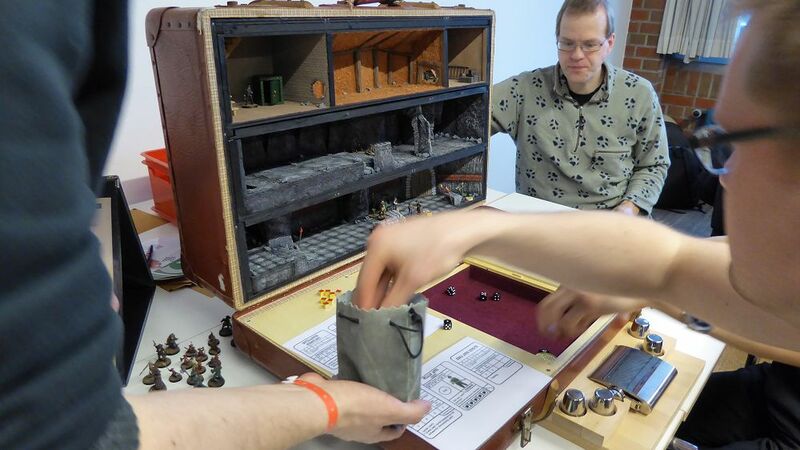 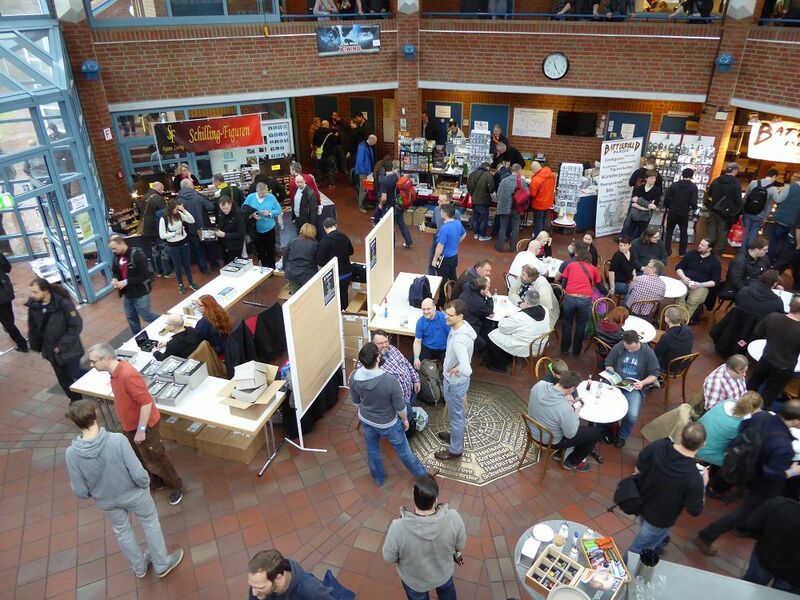 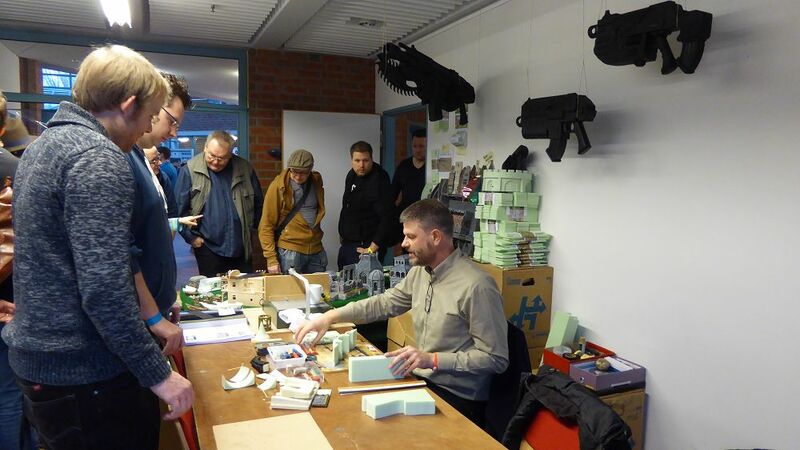 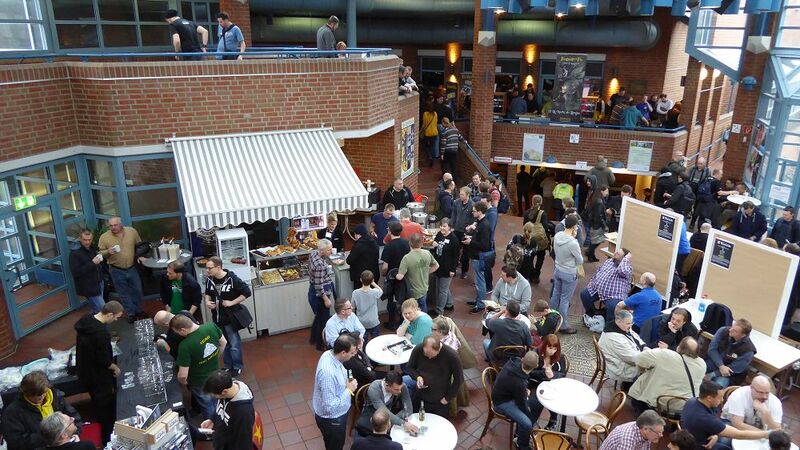 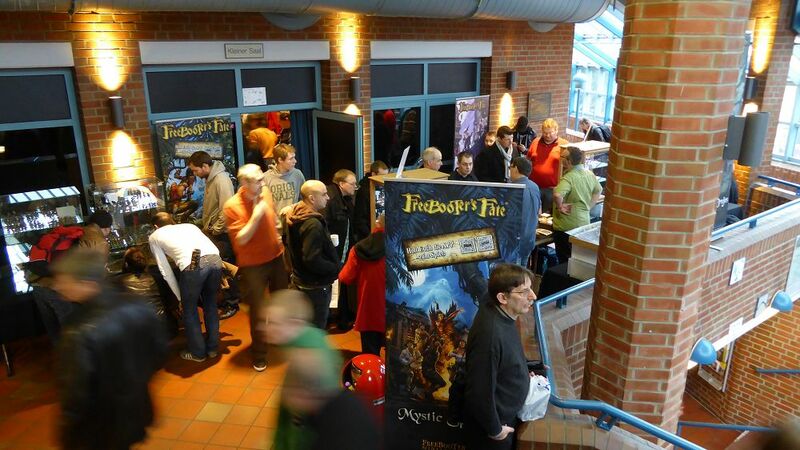 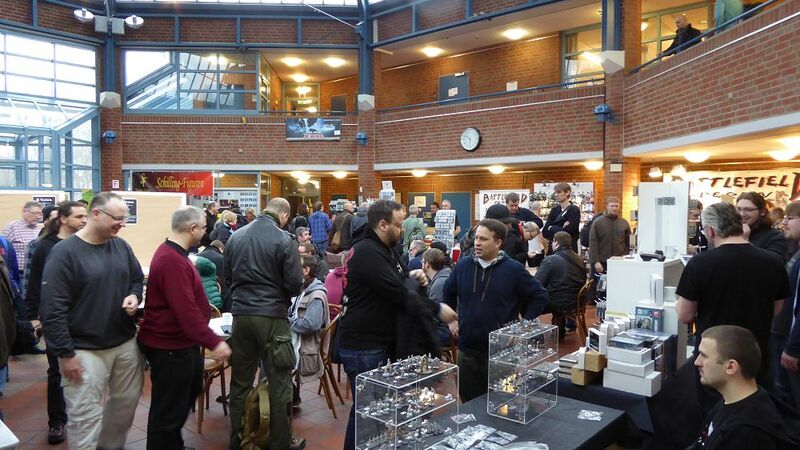 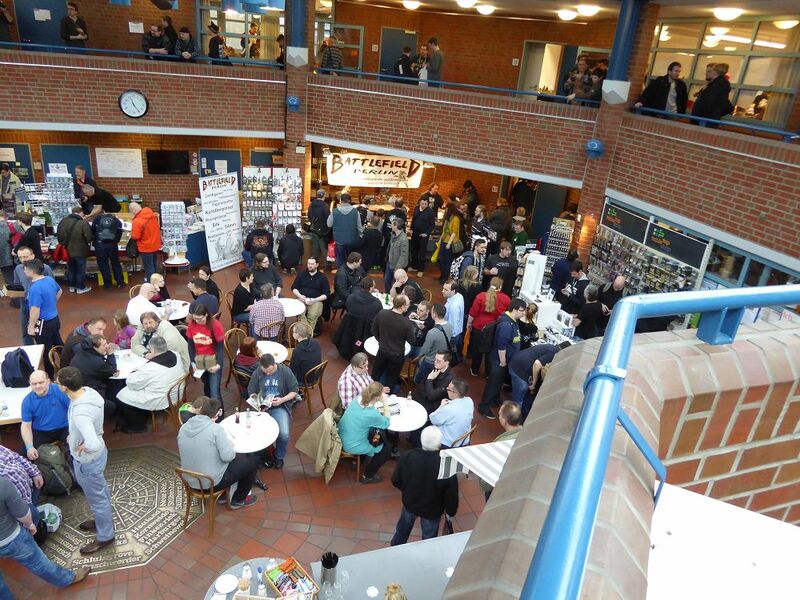 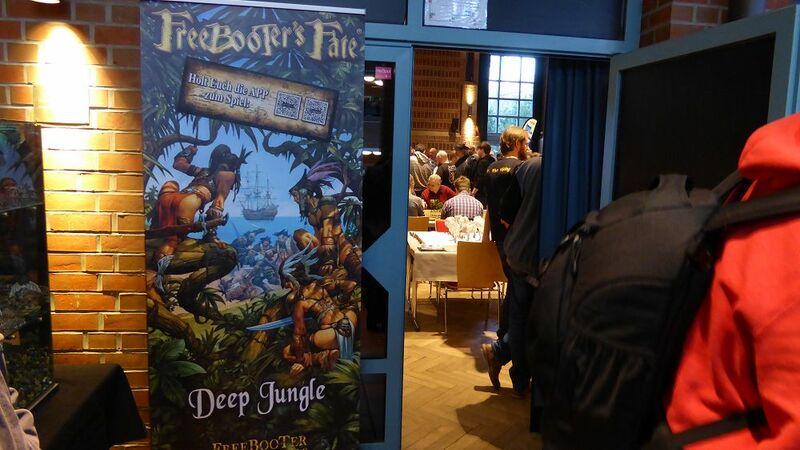 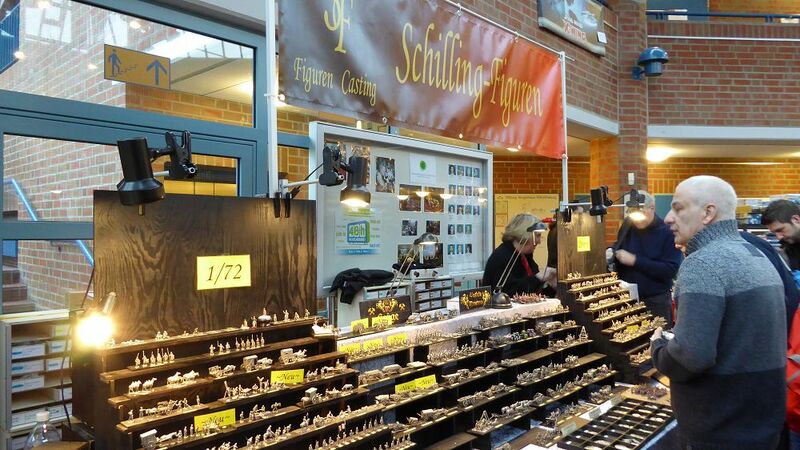 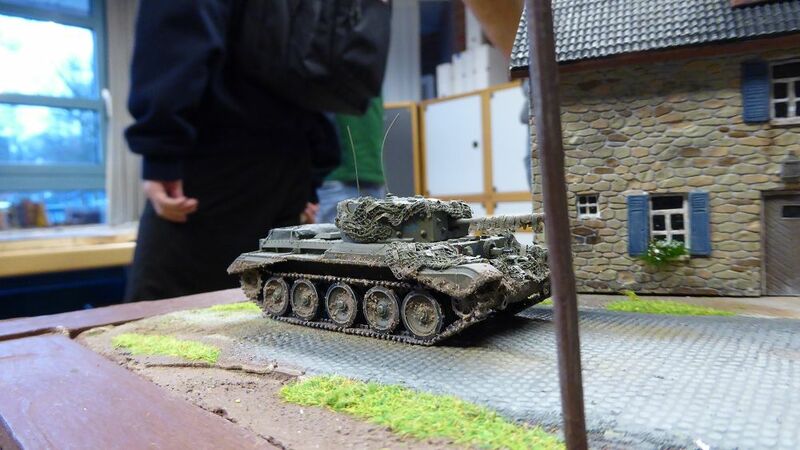 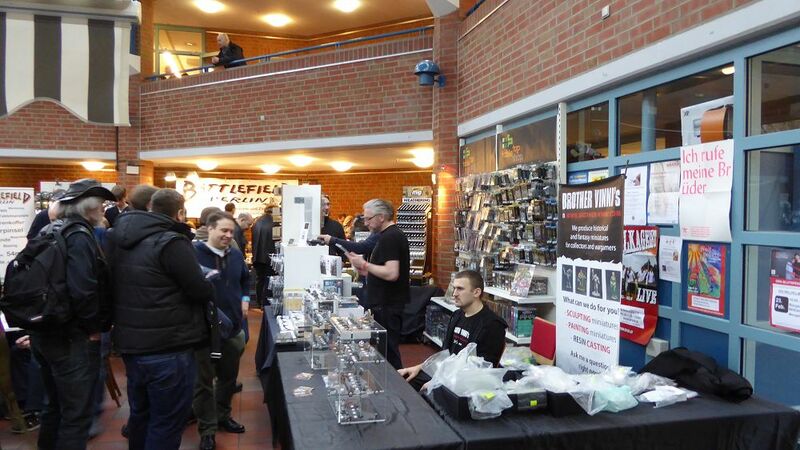 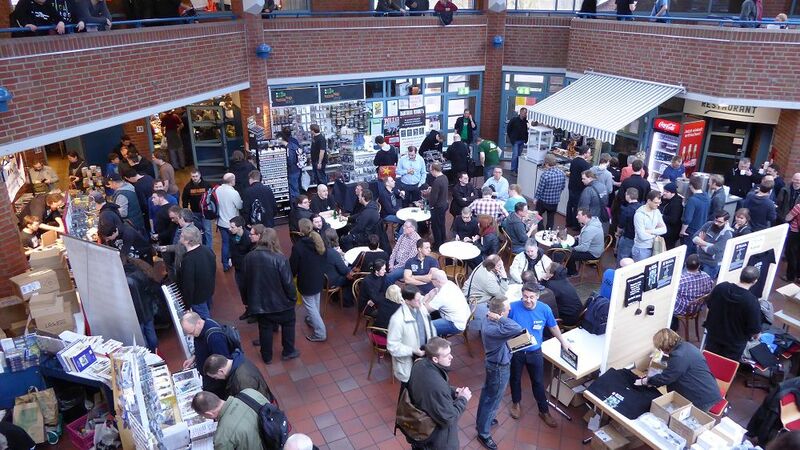 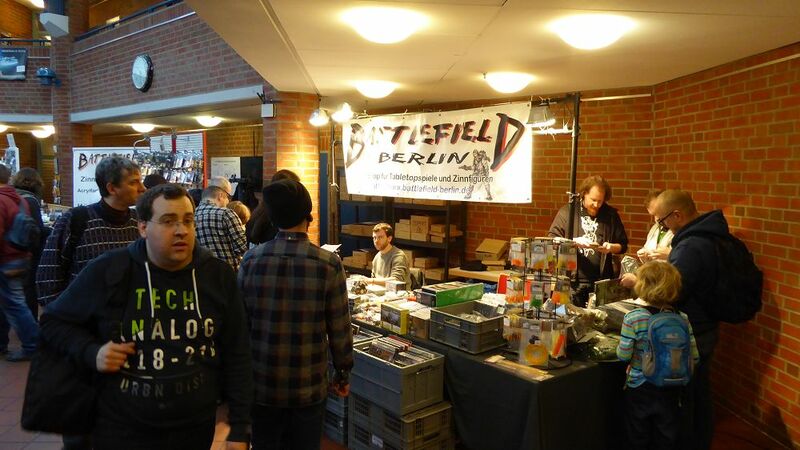 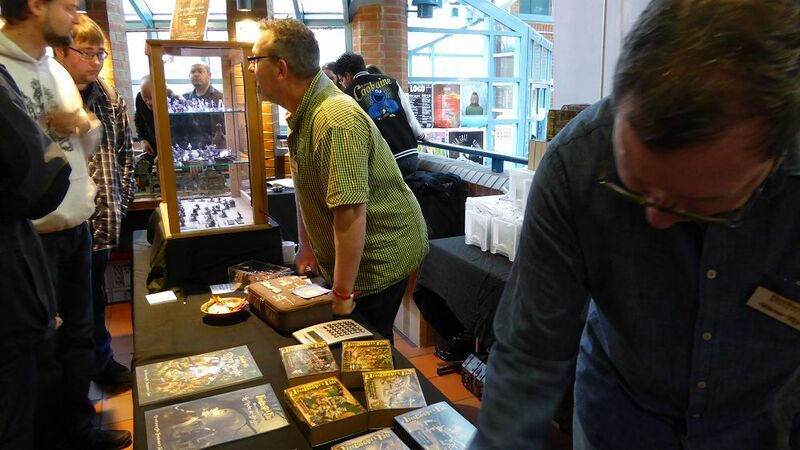 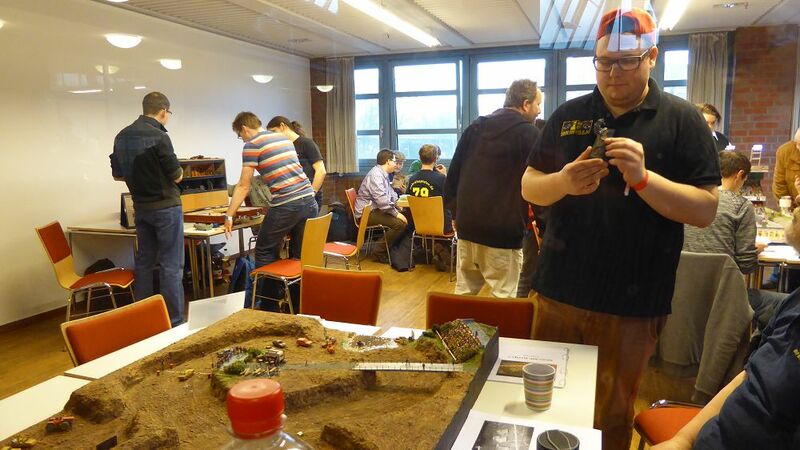 Welcome to the picture gallery of the Hamburger Tactica 2015! 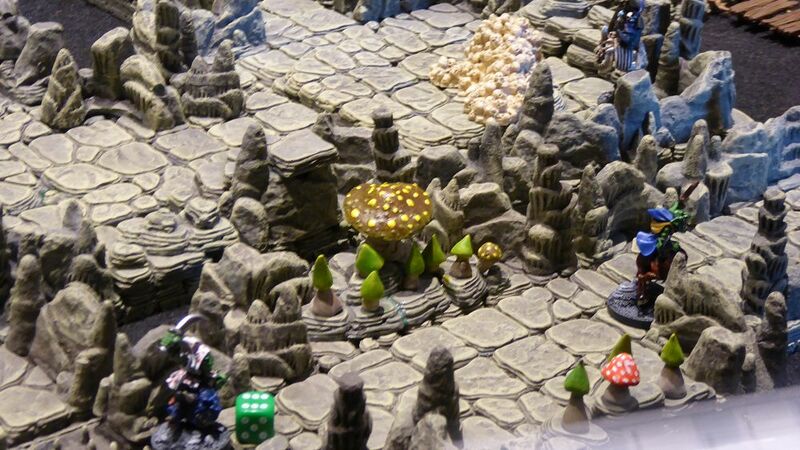 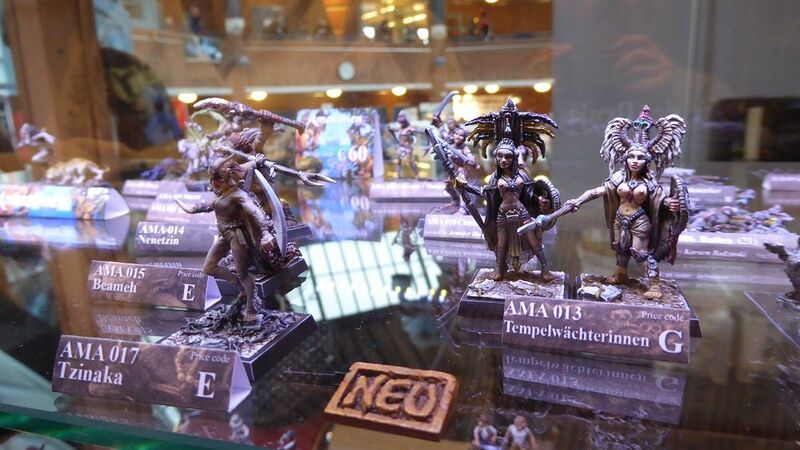 In the following articles, you can take a look through the 10th. 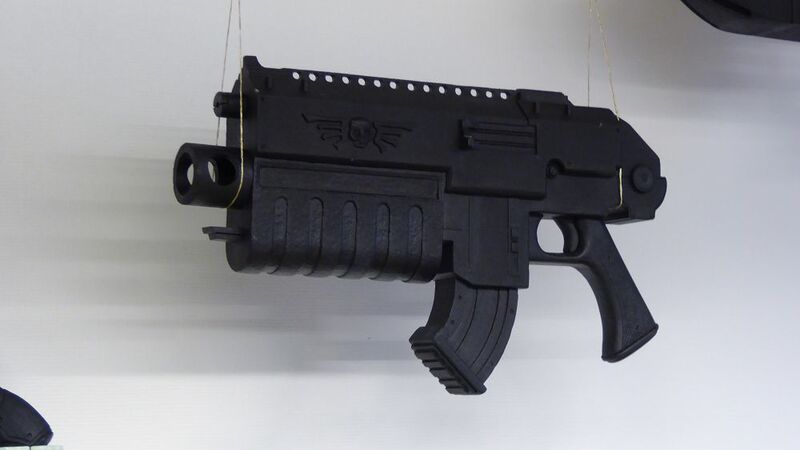 Hamburger Tactica. 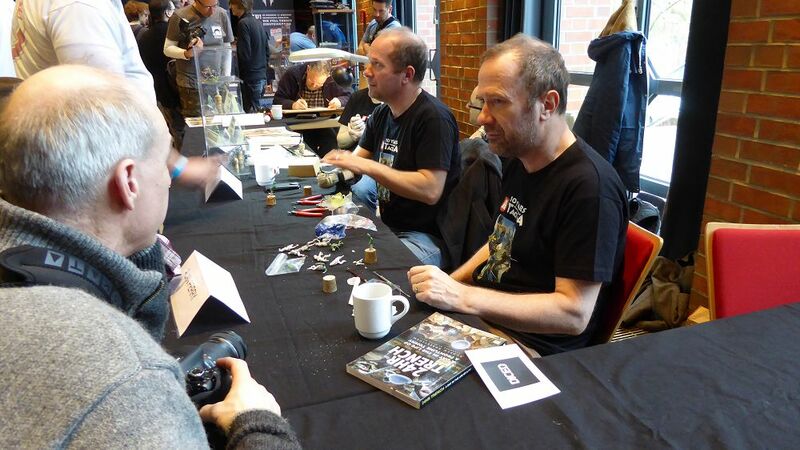 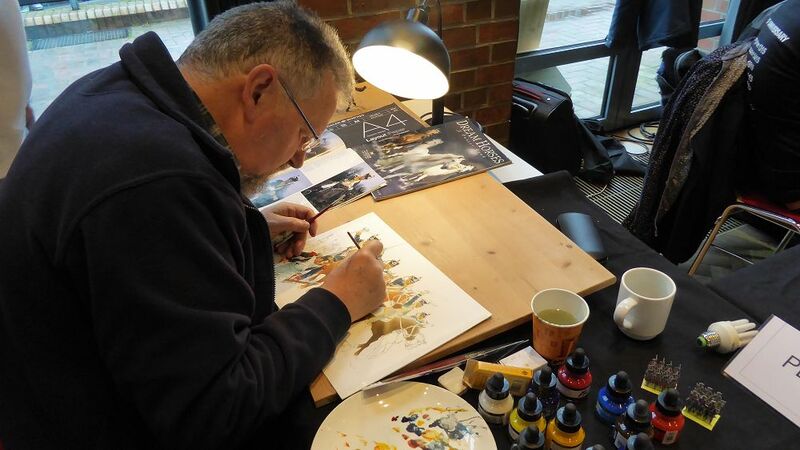 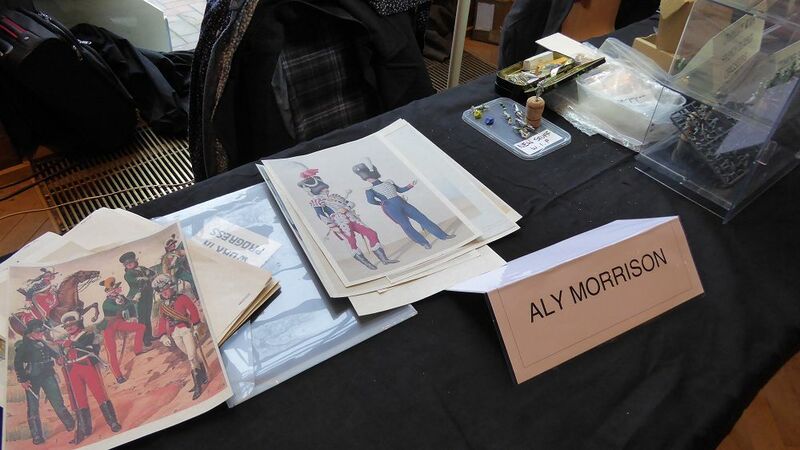 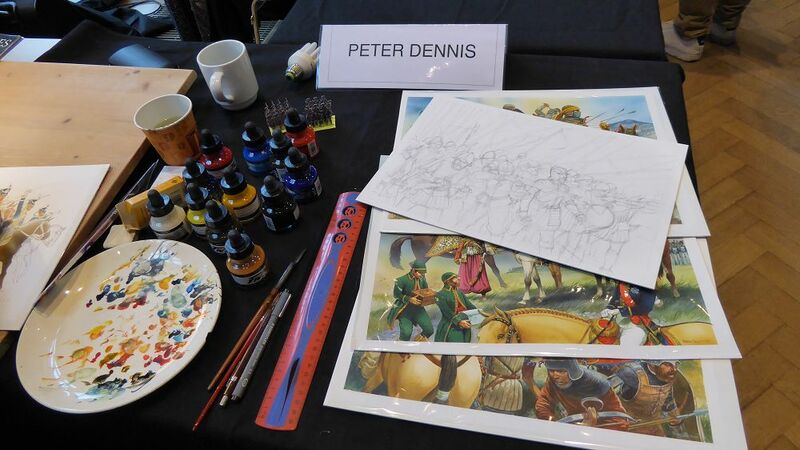 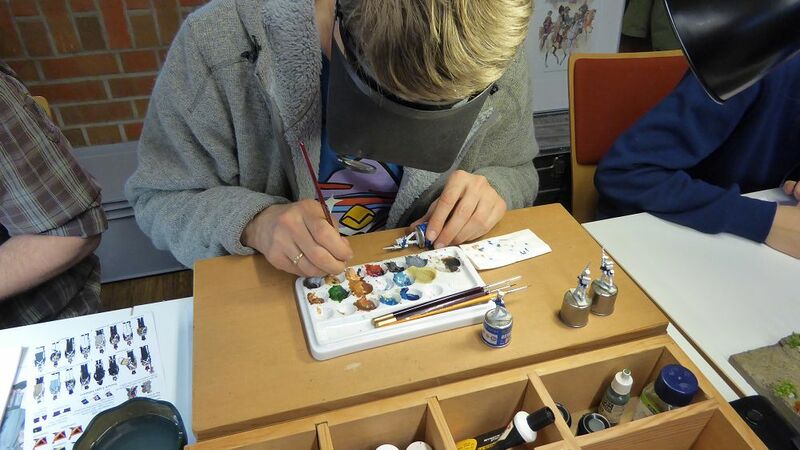 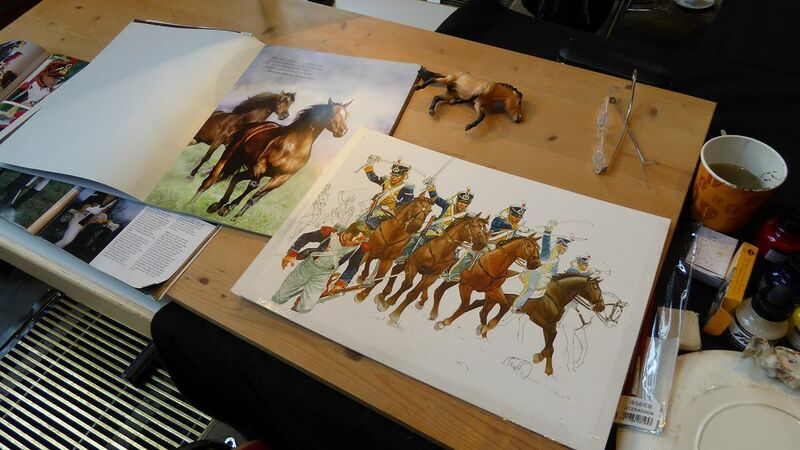 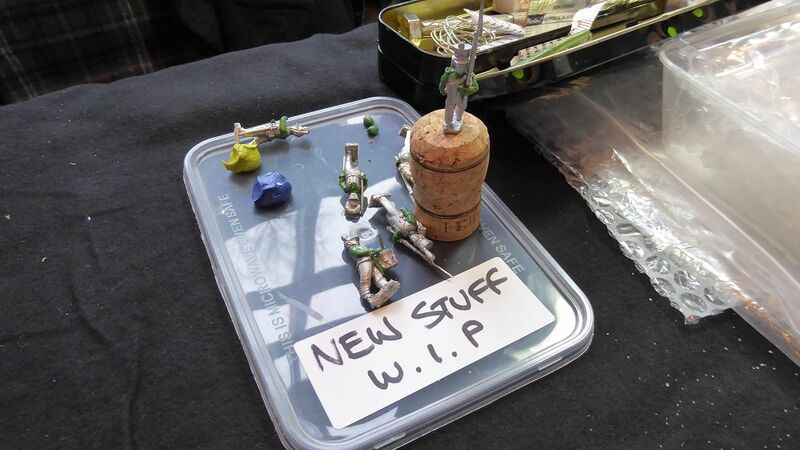 First, there will be common pictures, followed by the exhibition and the workshops. 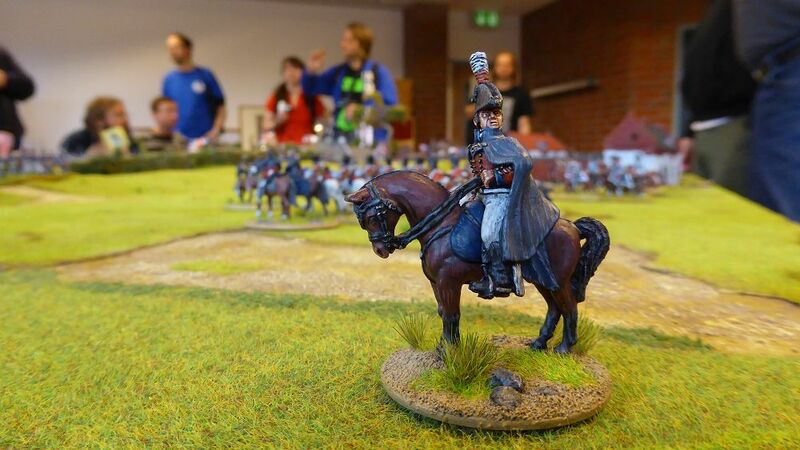 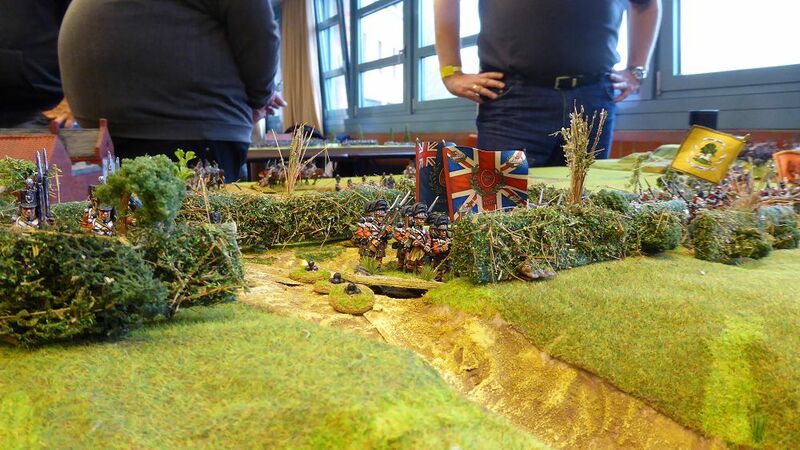 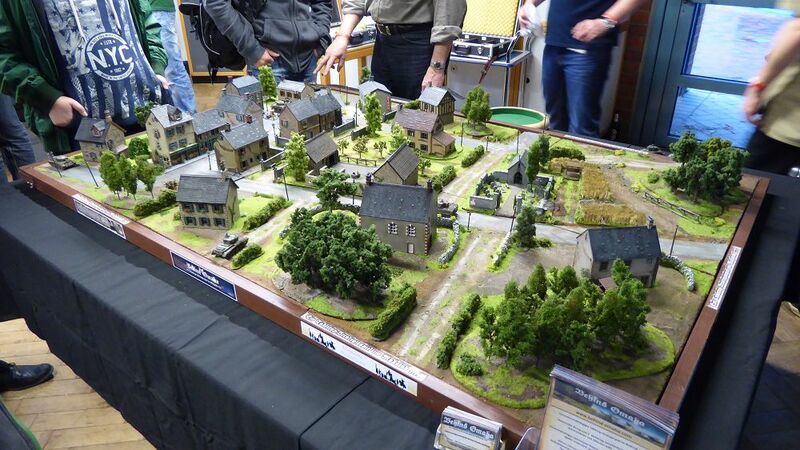 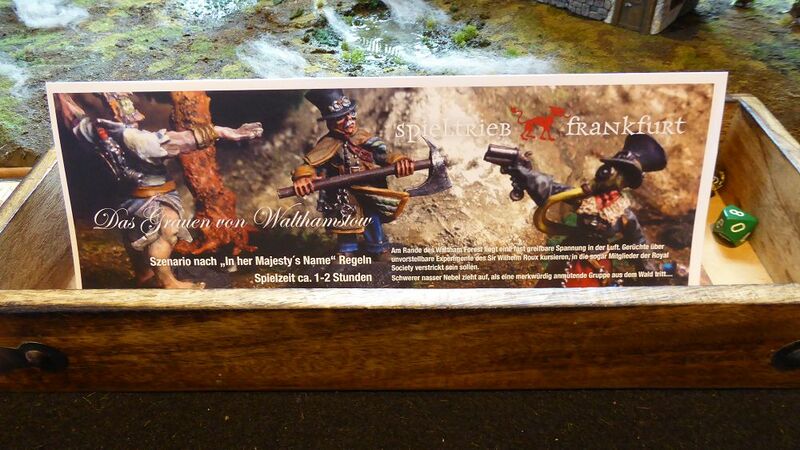 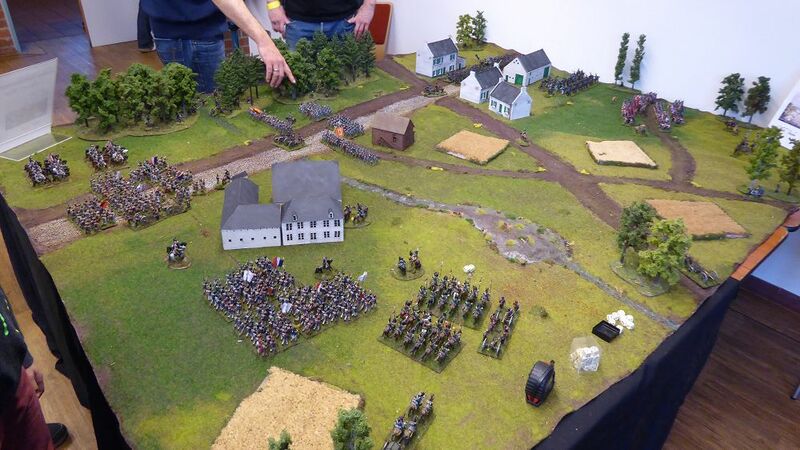 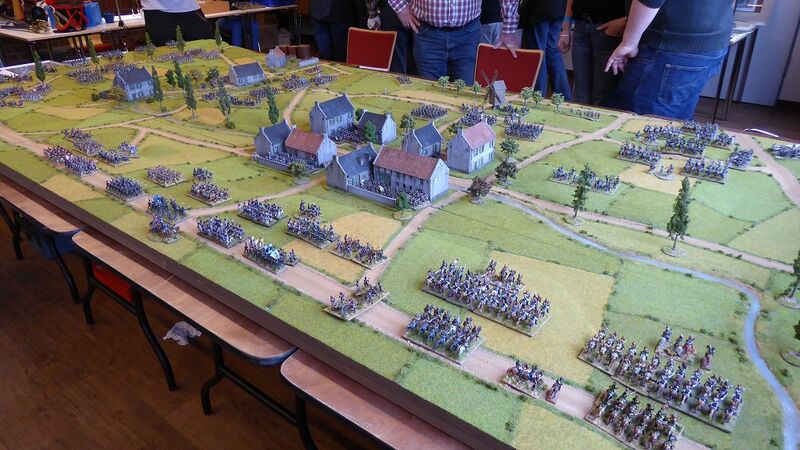 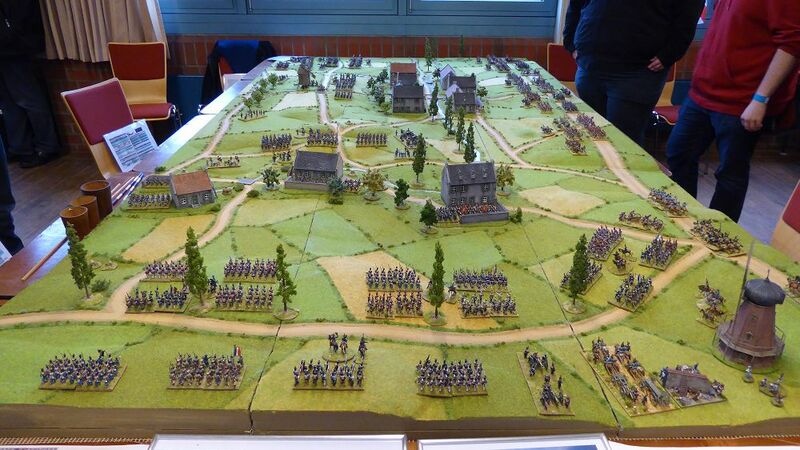 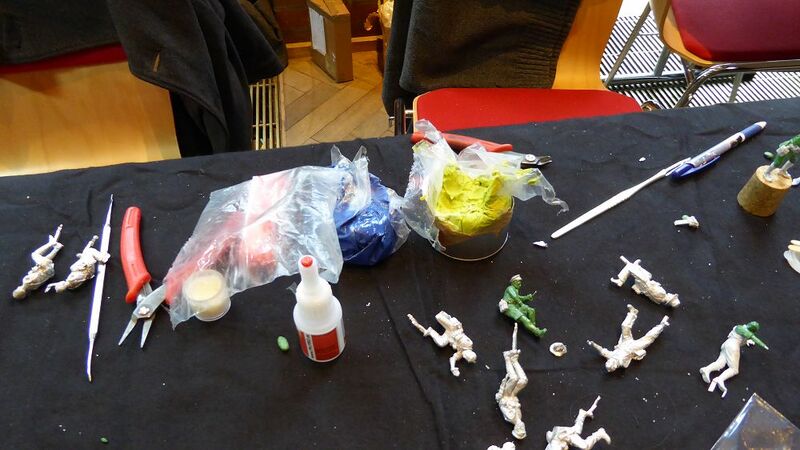 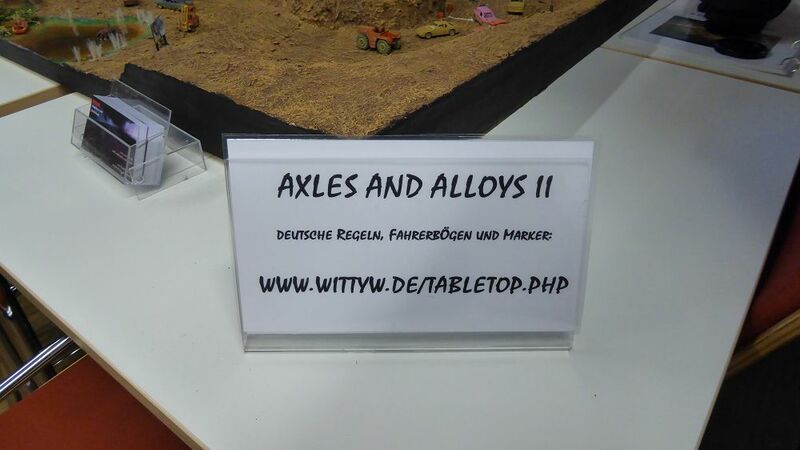 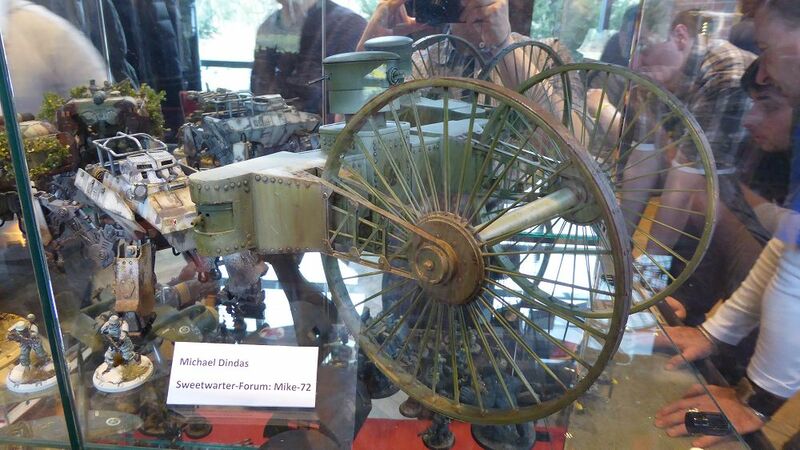 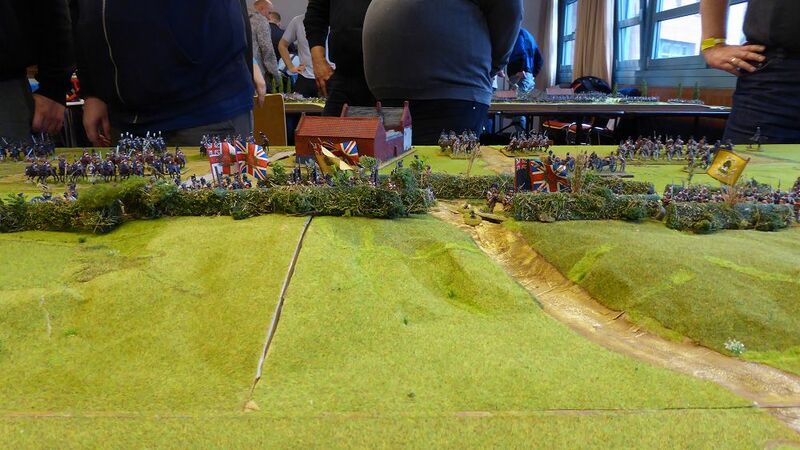 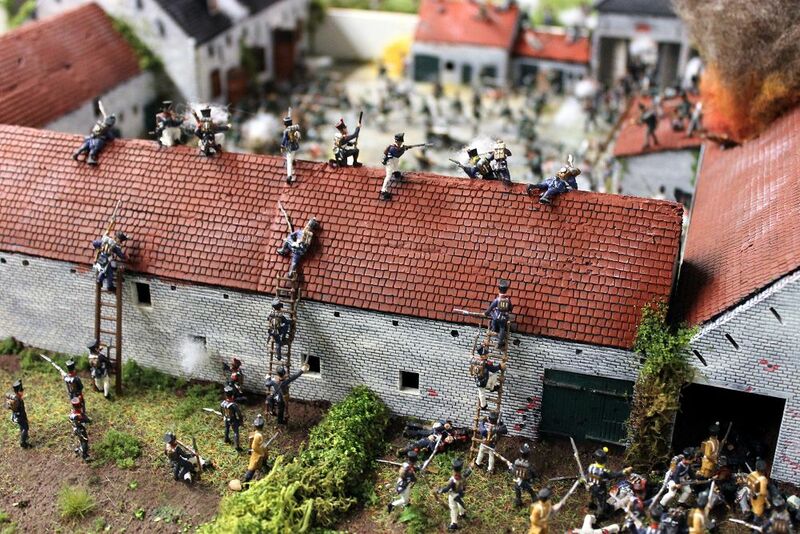 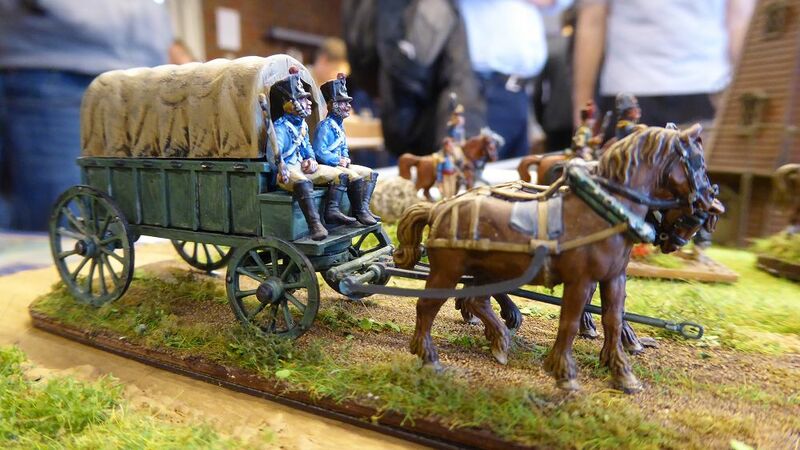 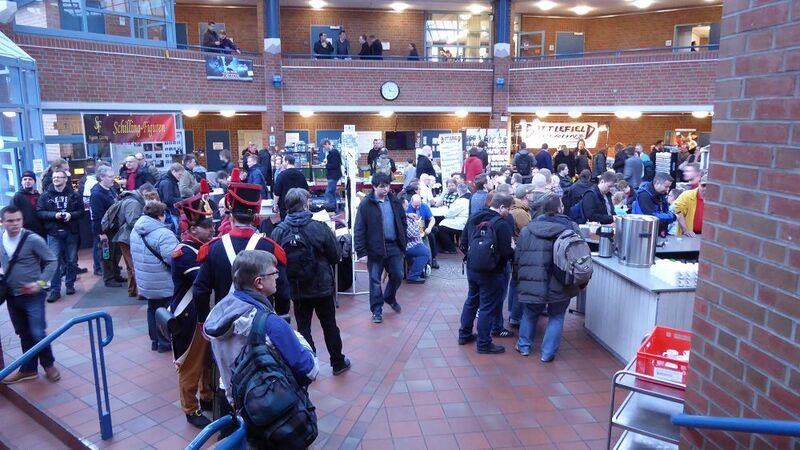 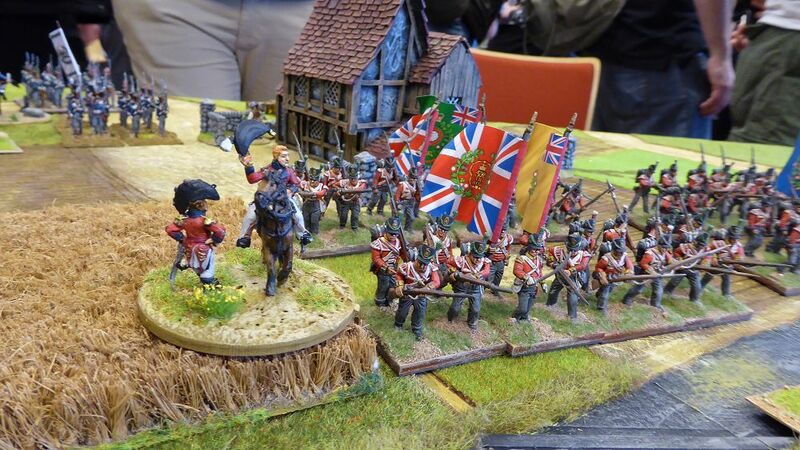 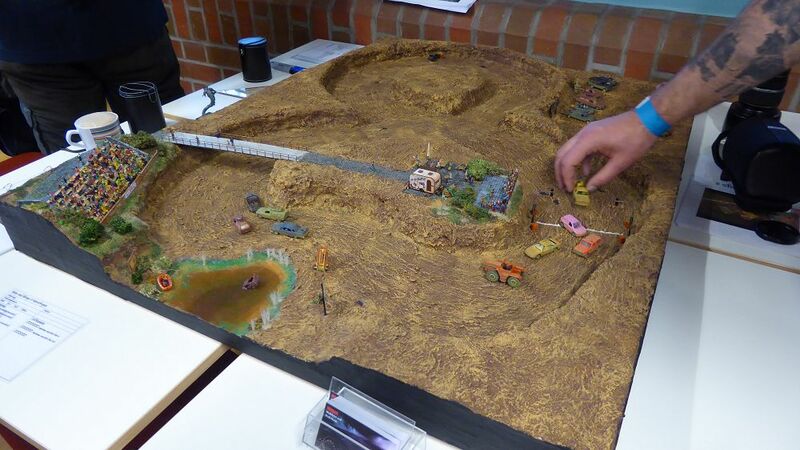 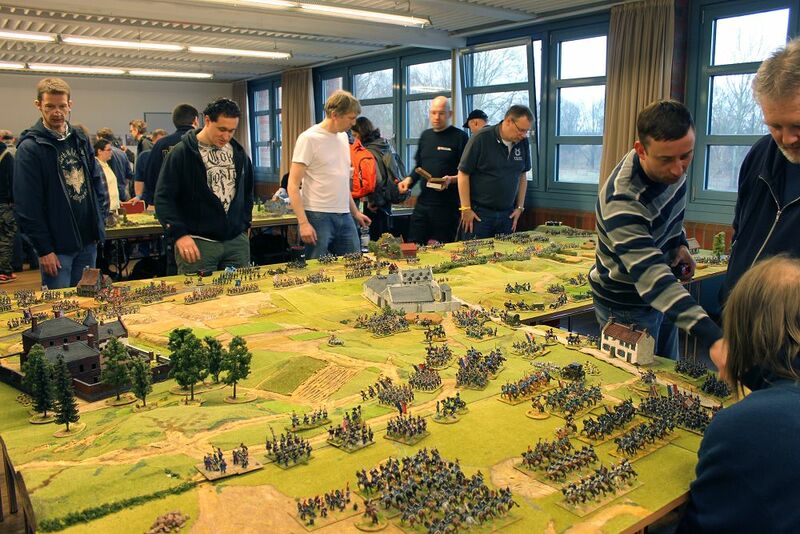 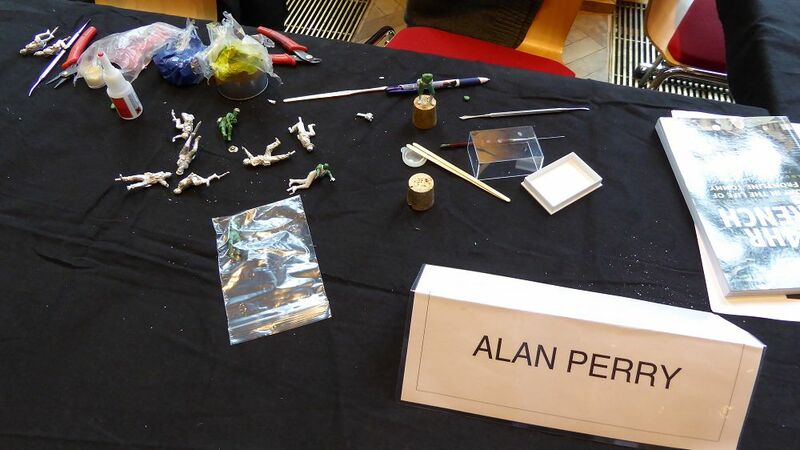 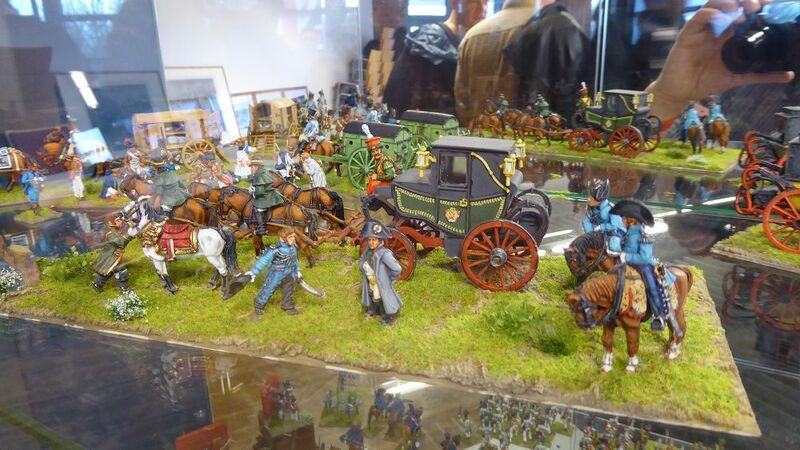 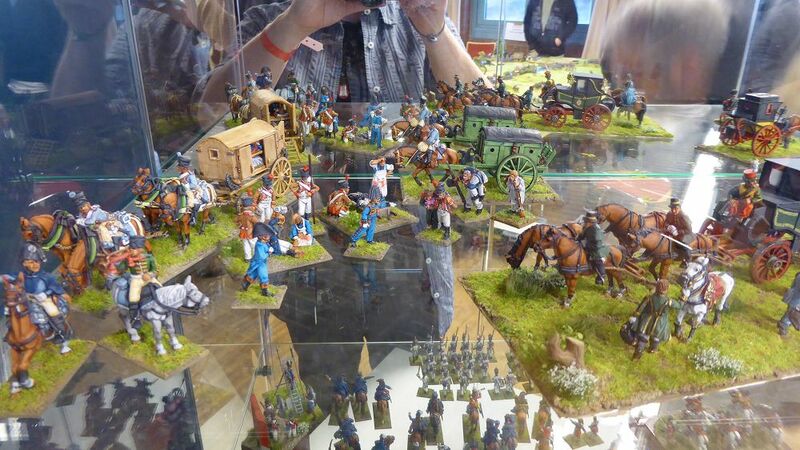 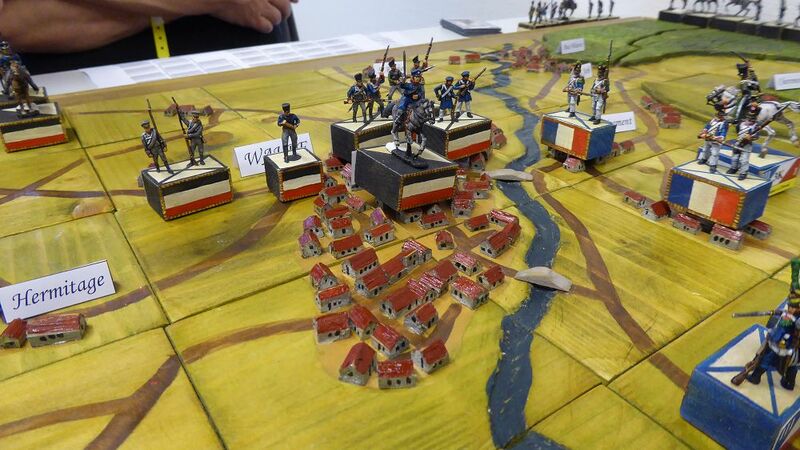 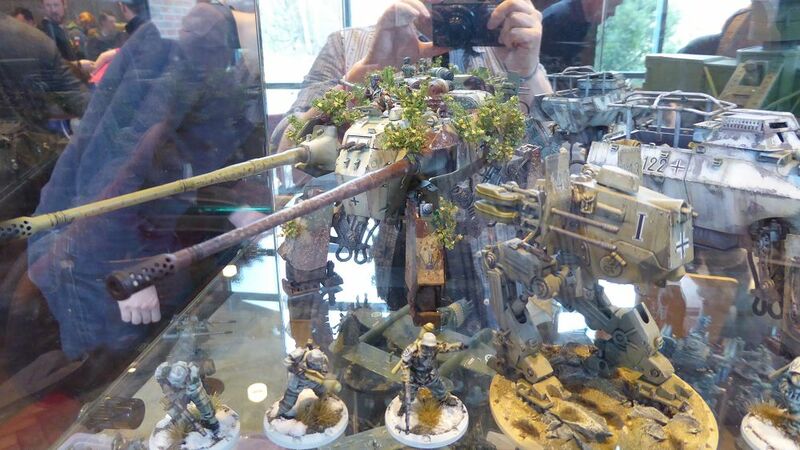 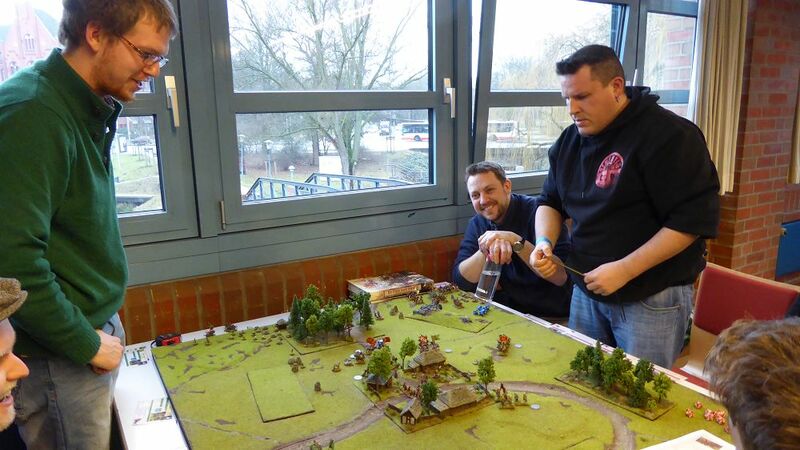 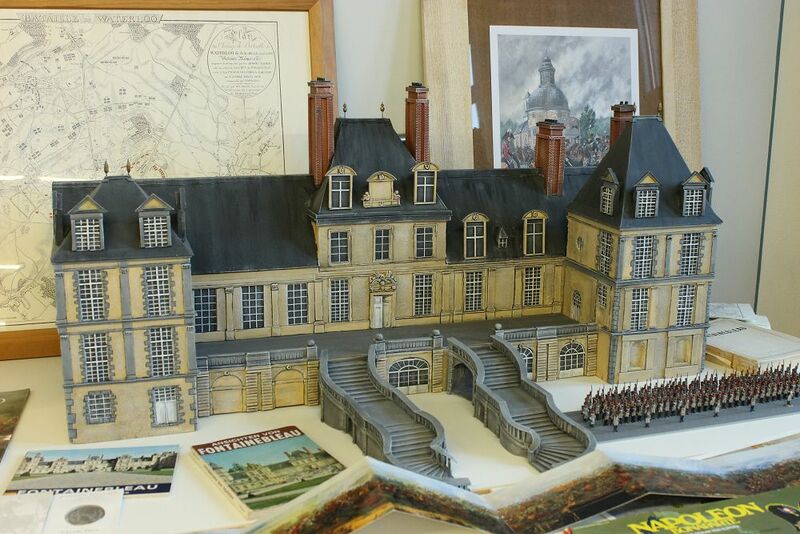 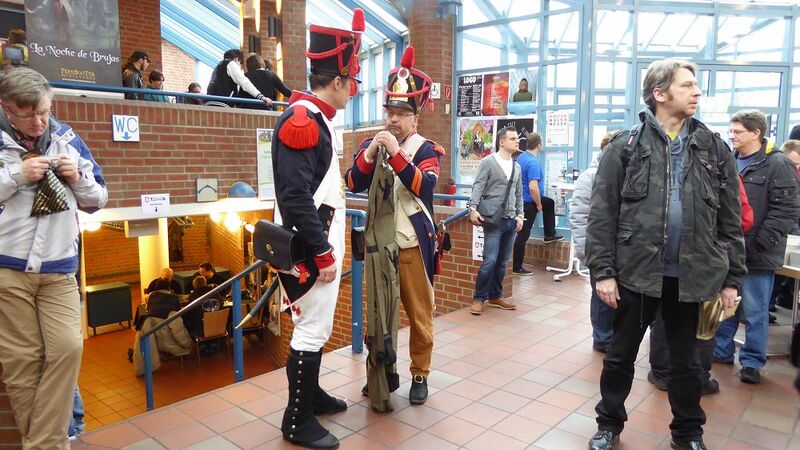 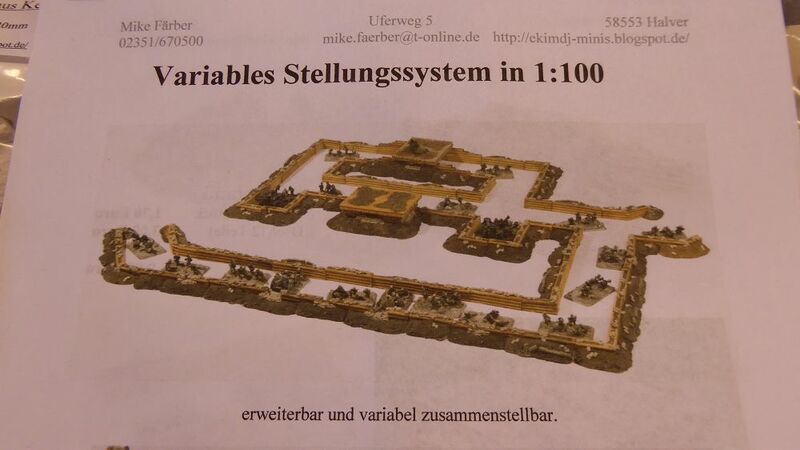 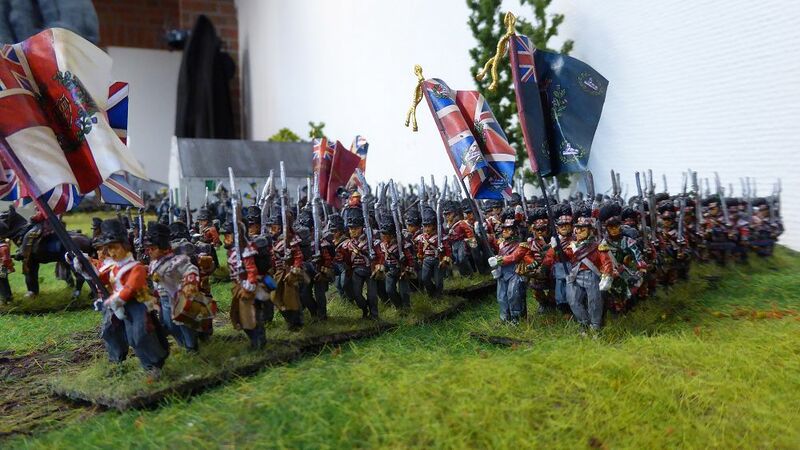 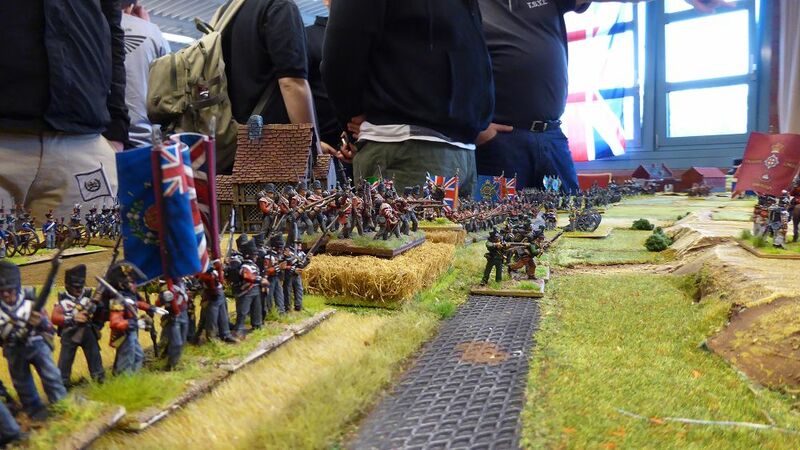 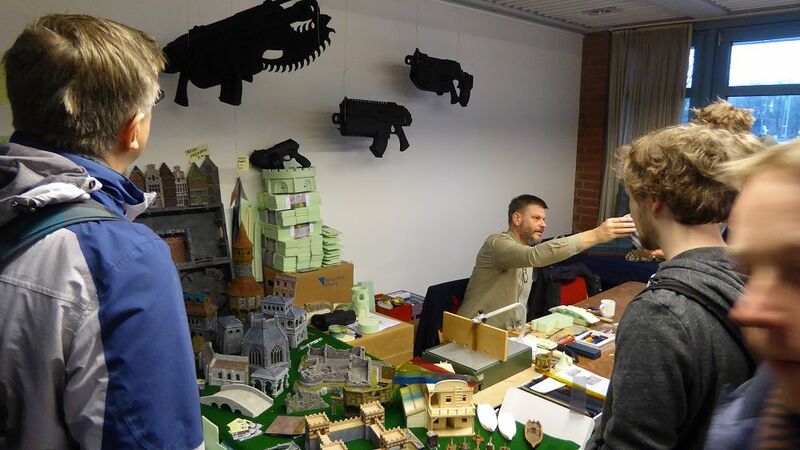 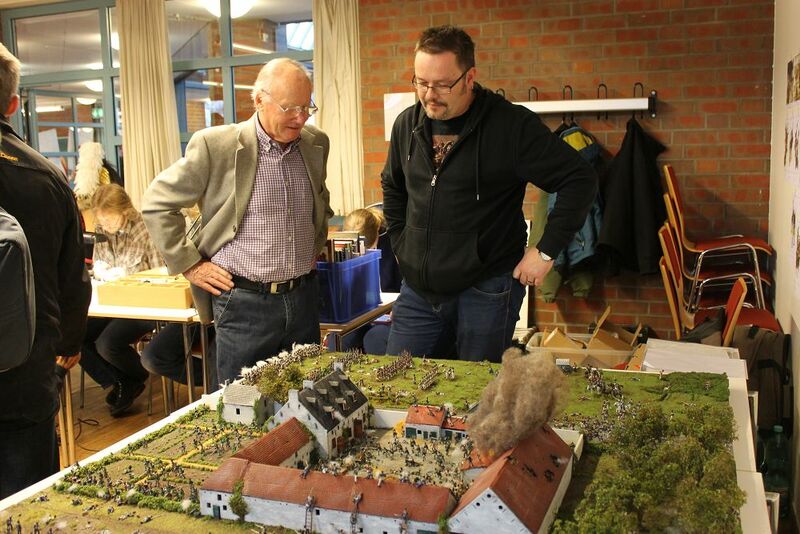 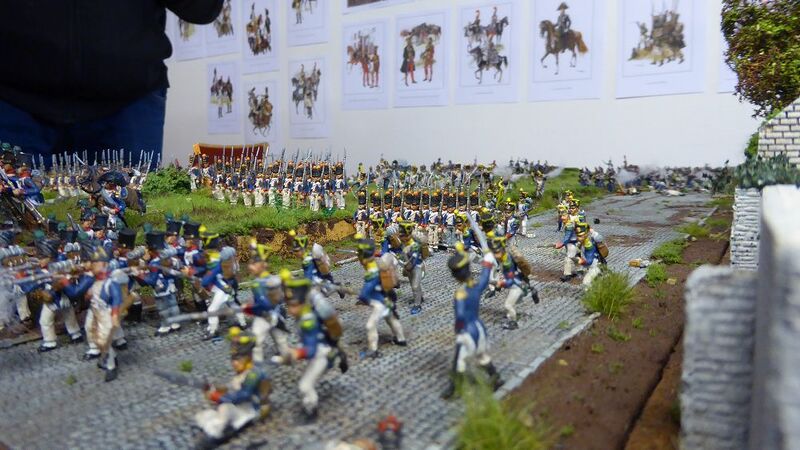 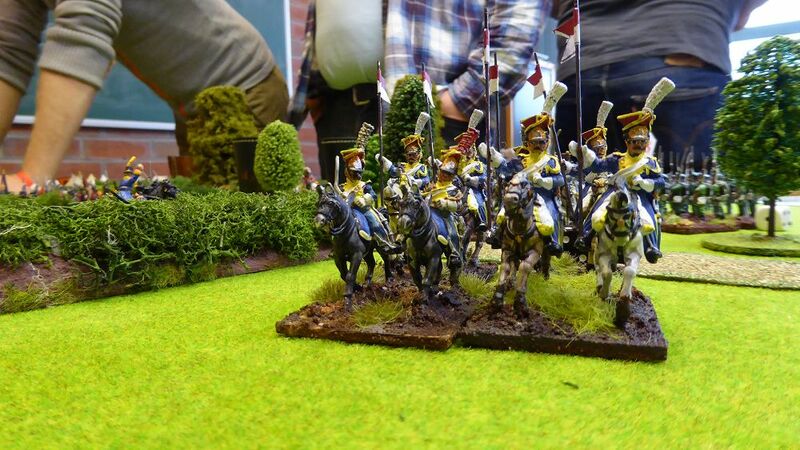 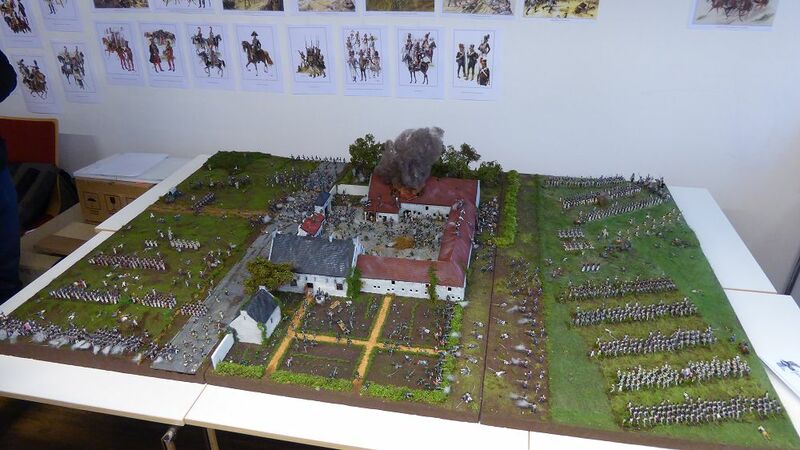 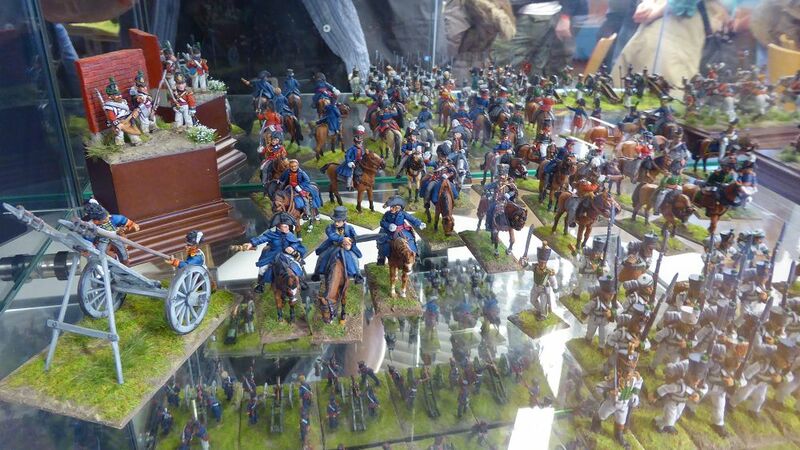 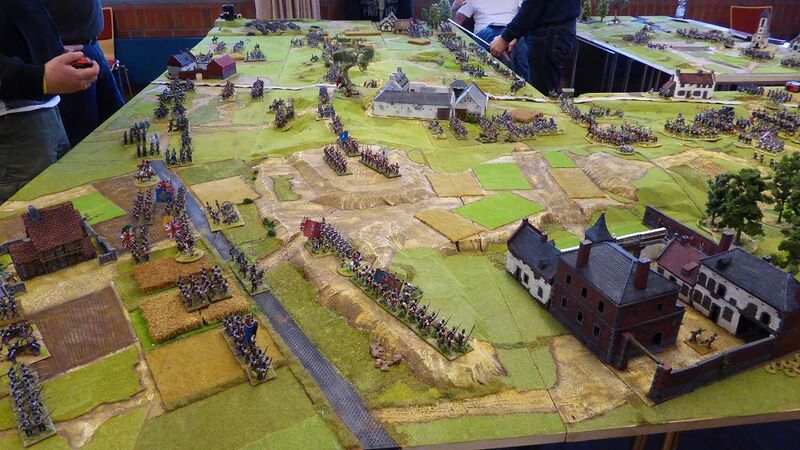 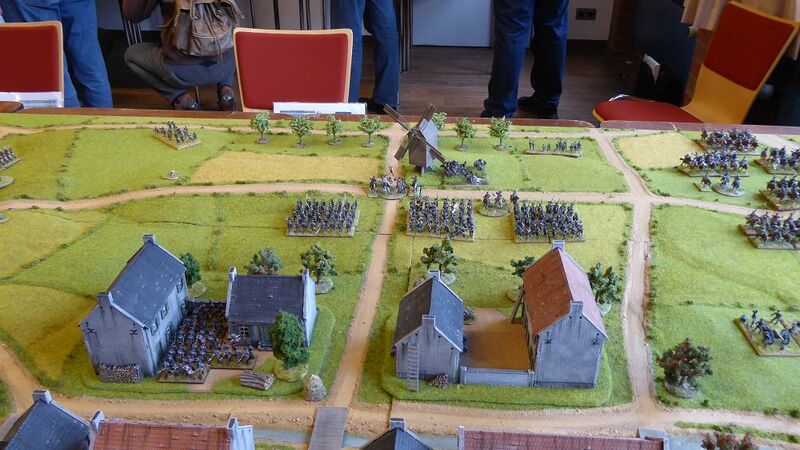 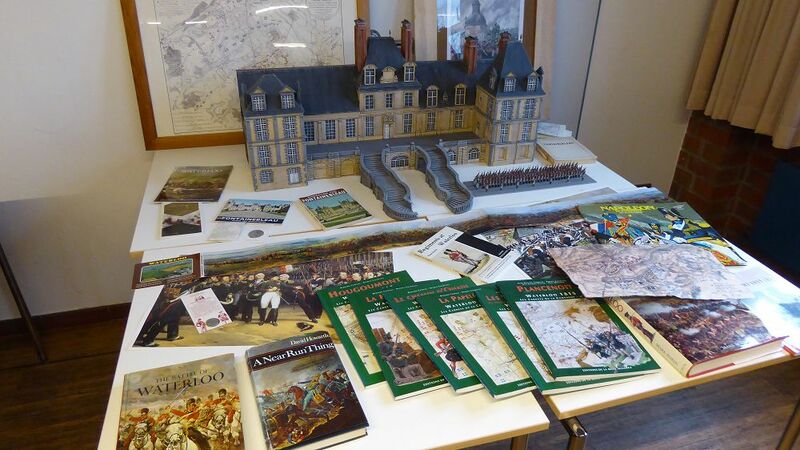 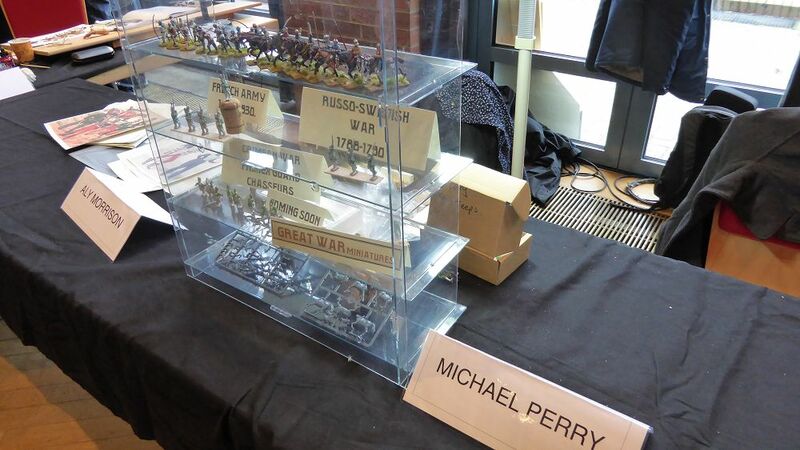 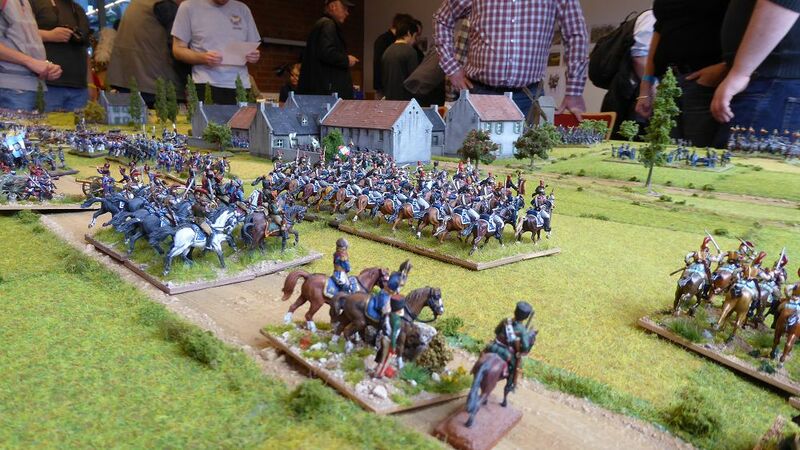 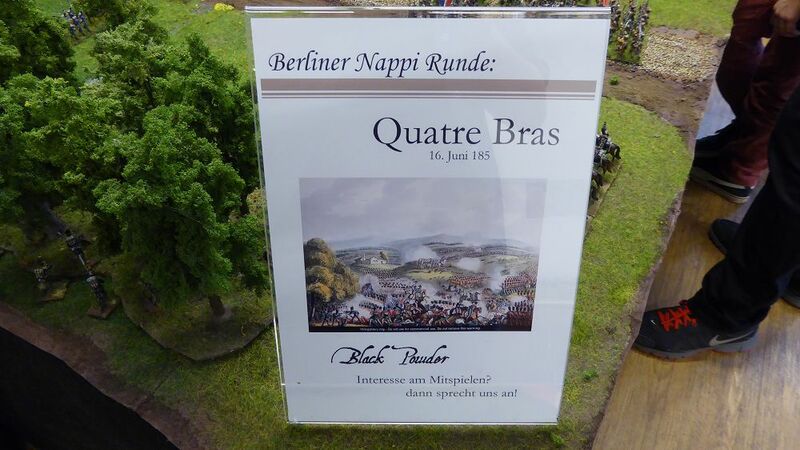 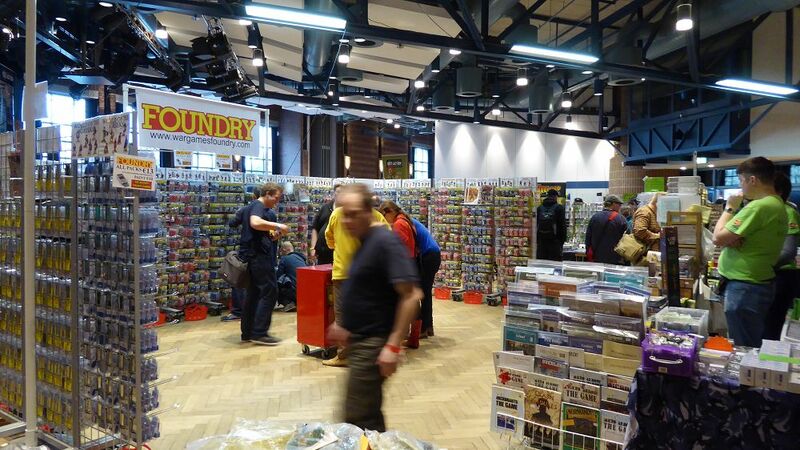 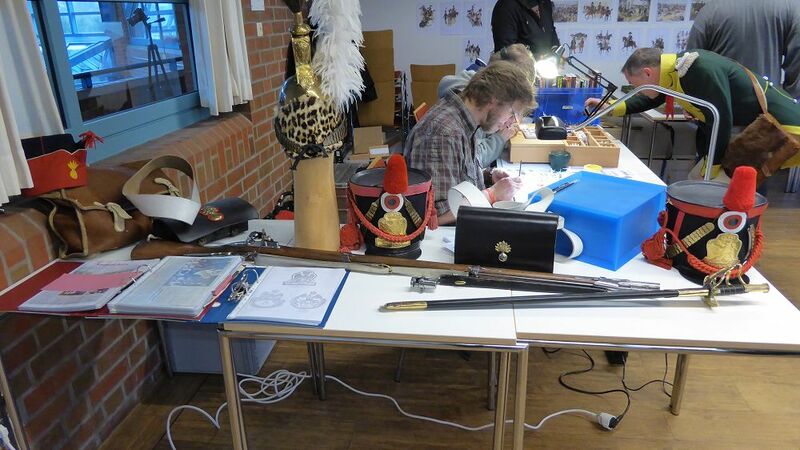 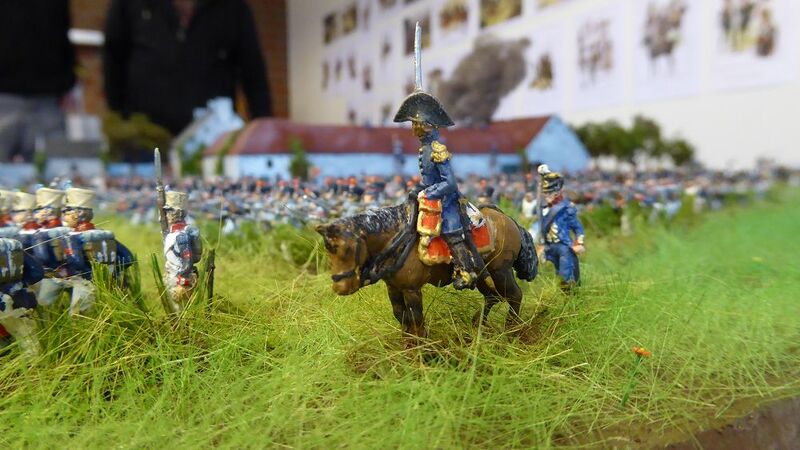 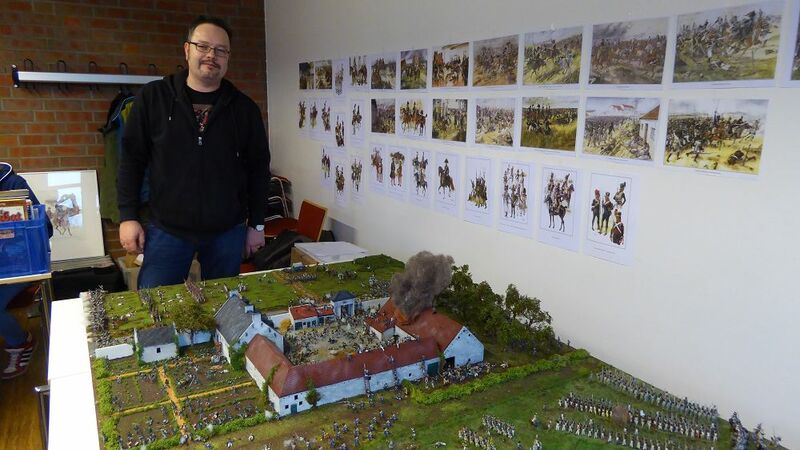 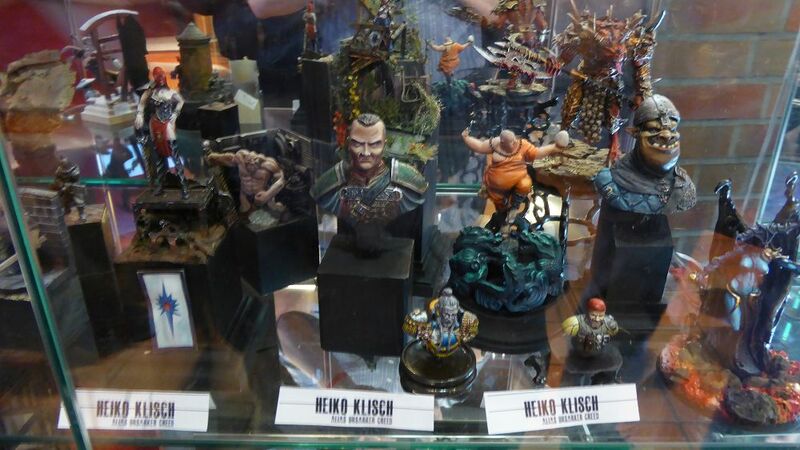 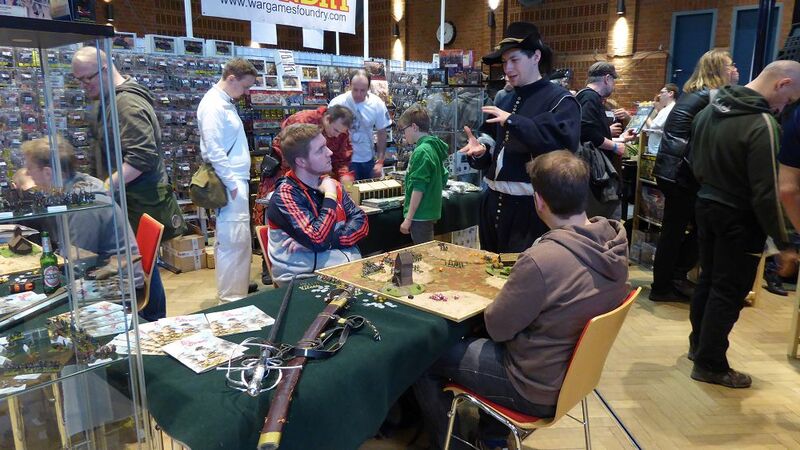 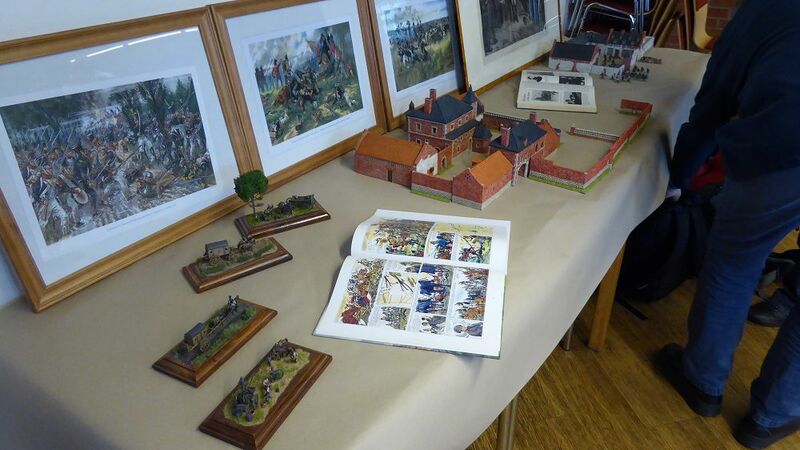 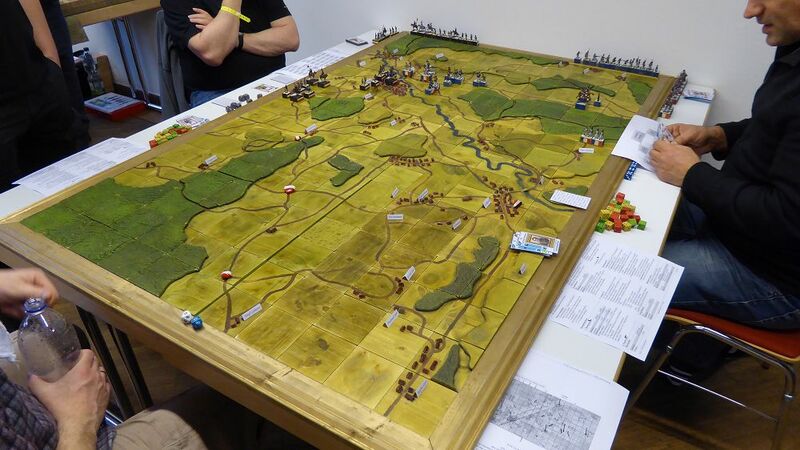 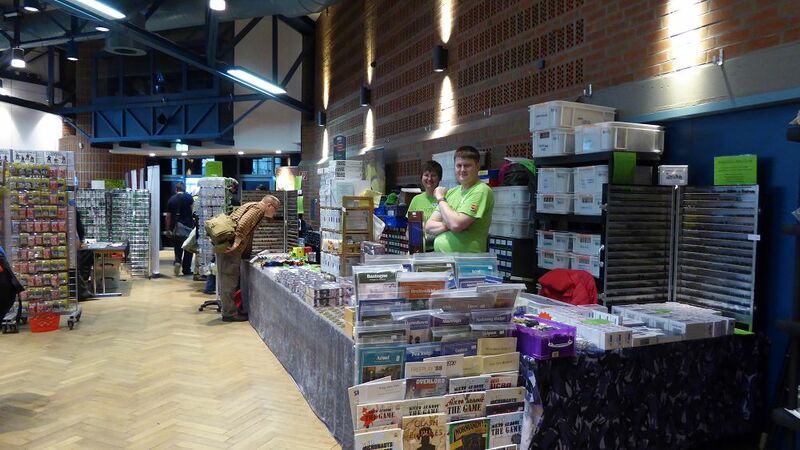 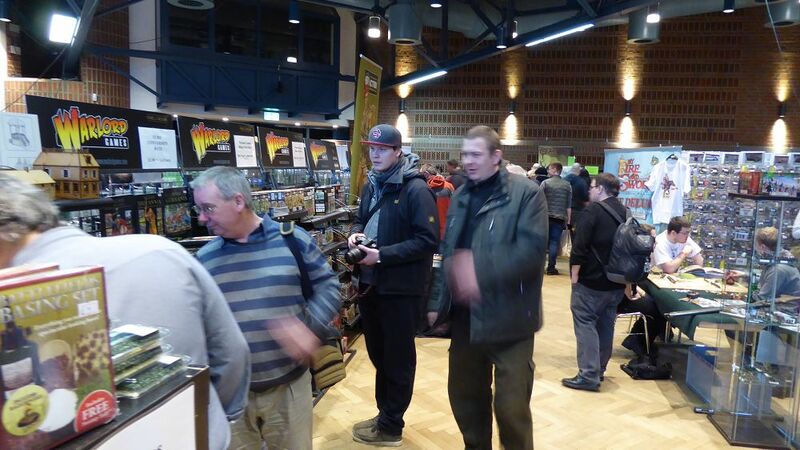 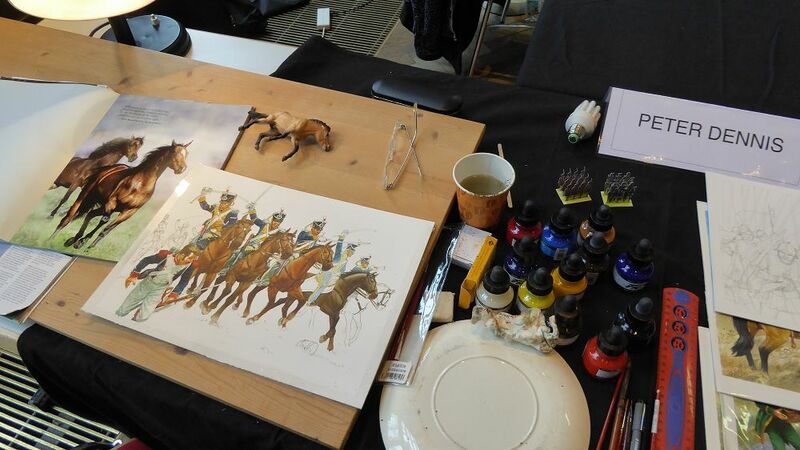 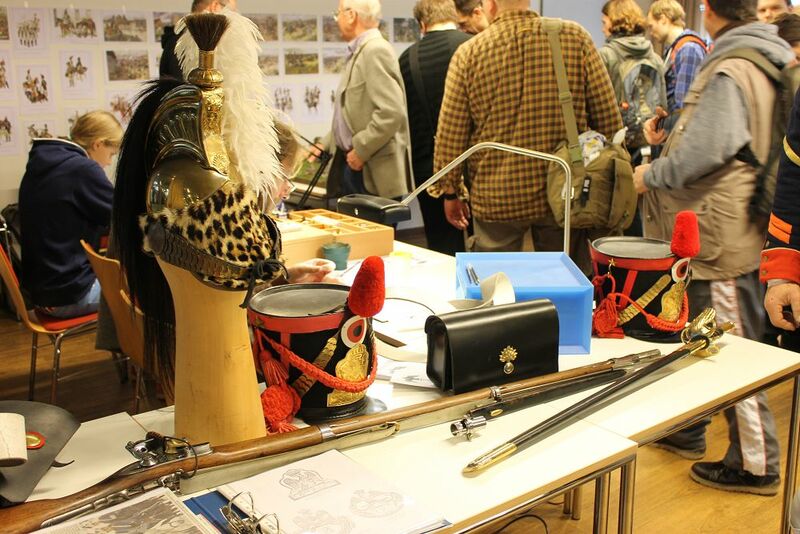 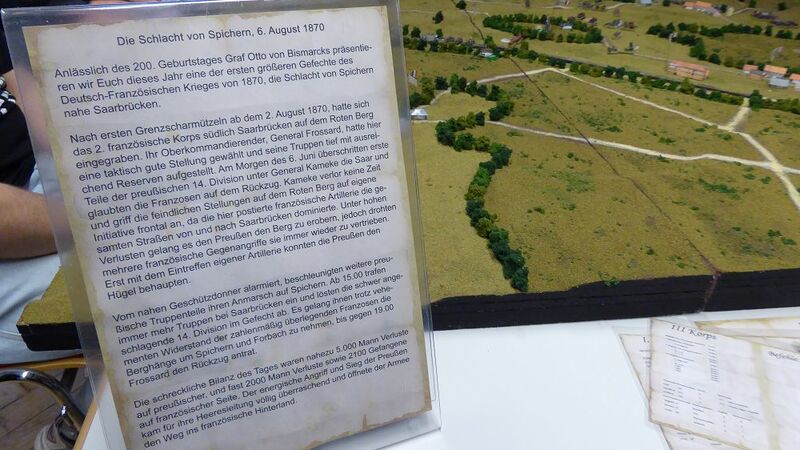 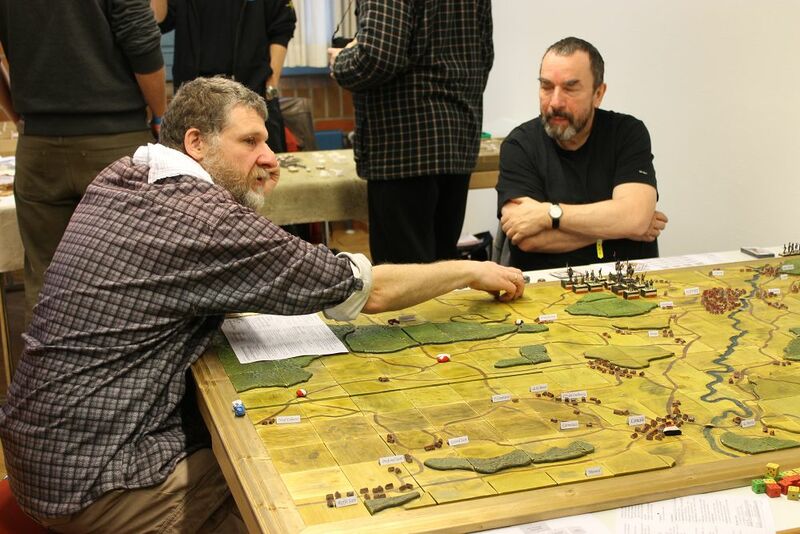 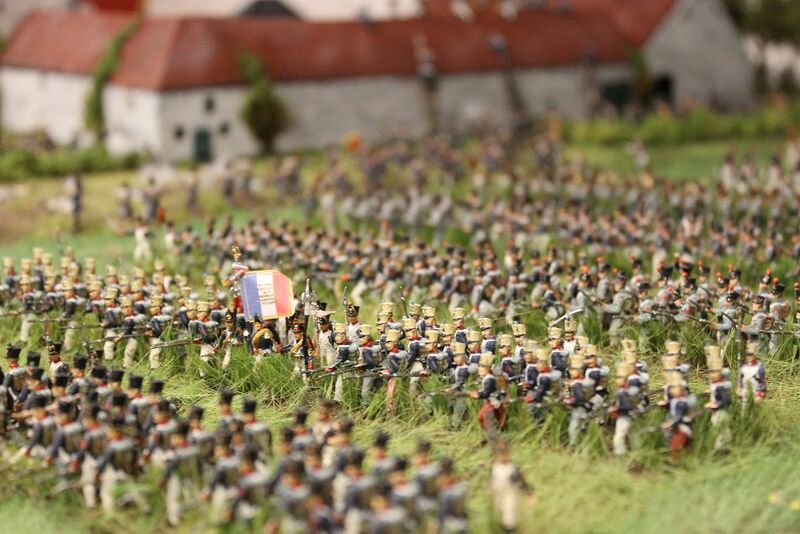 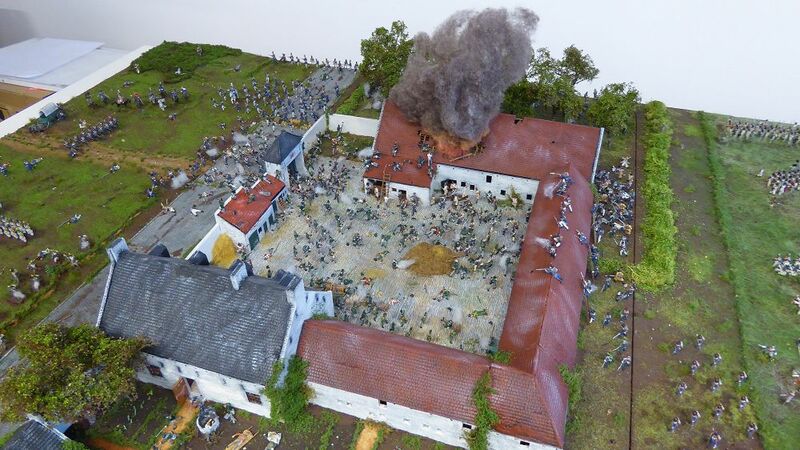 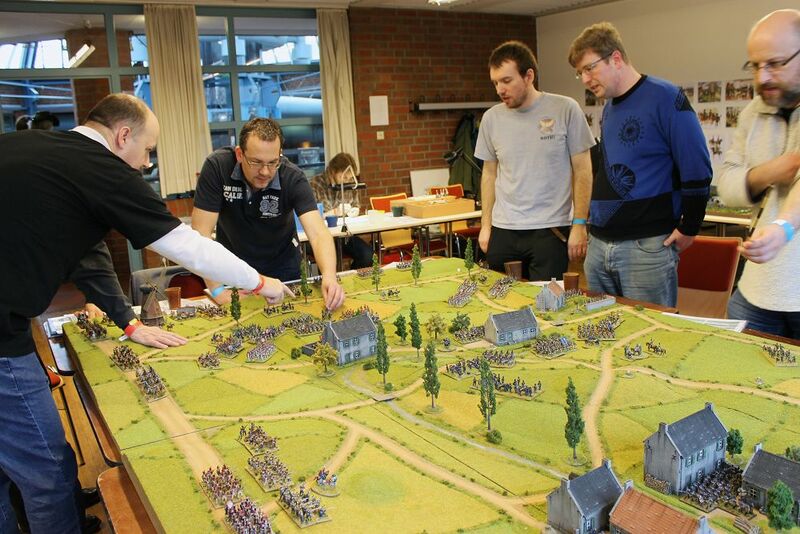 After the pictures of the special topic room “Waterloo” the will be a lot of pictures from all the presentations. 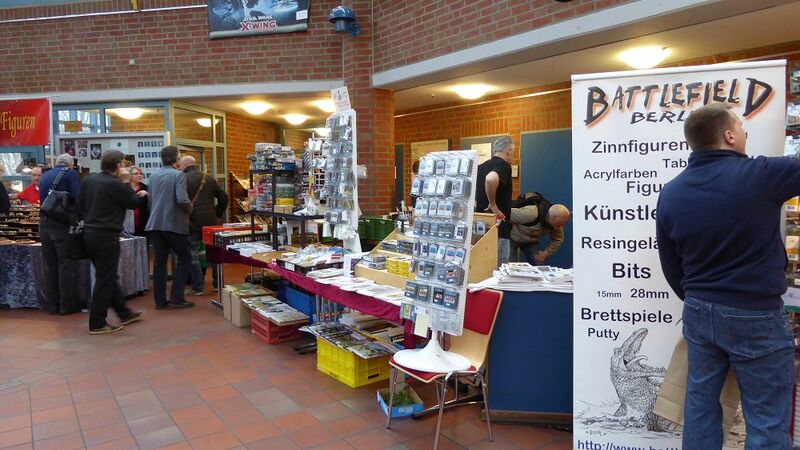 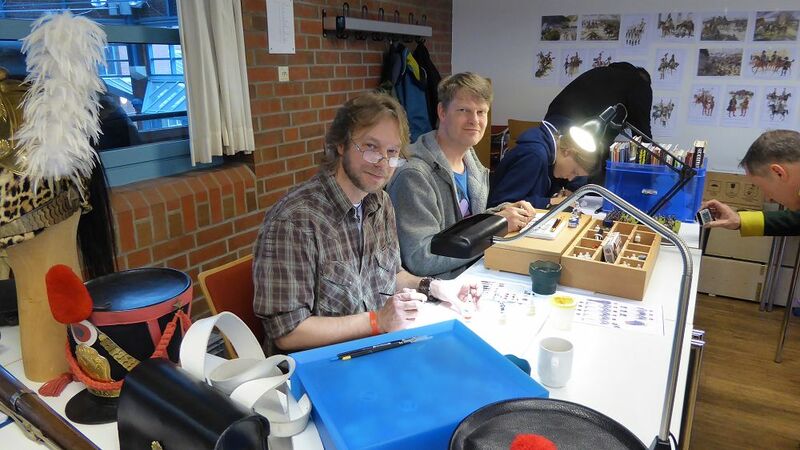 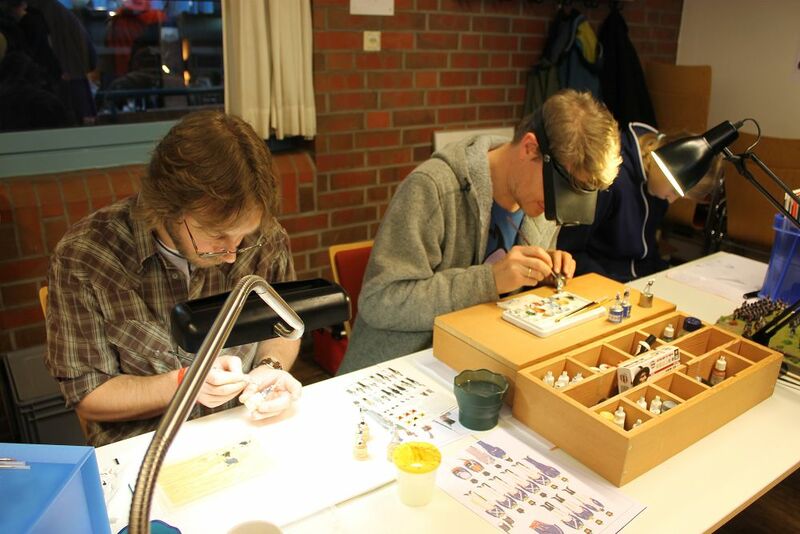 We’d like to thank our photographers Frank Becker und Ronald Bankert! 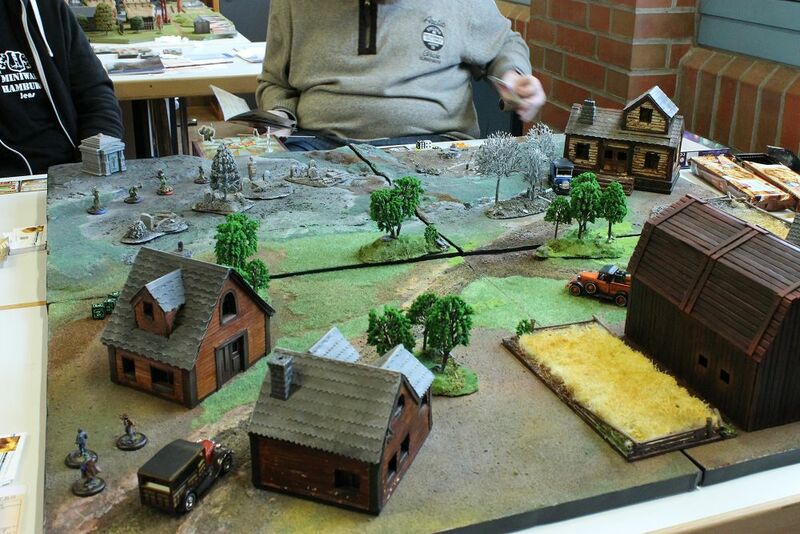 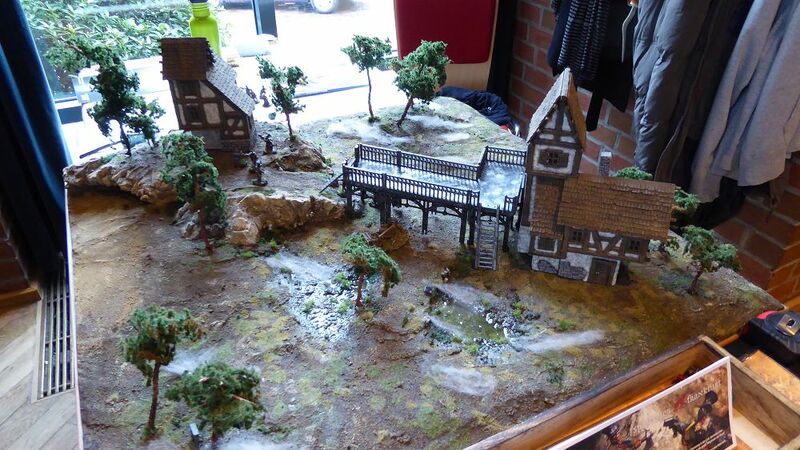 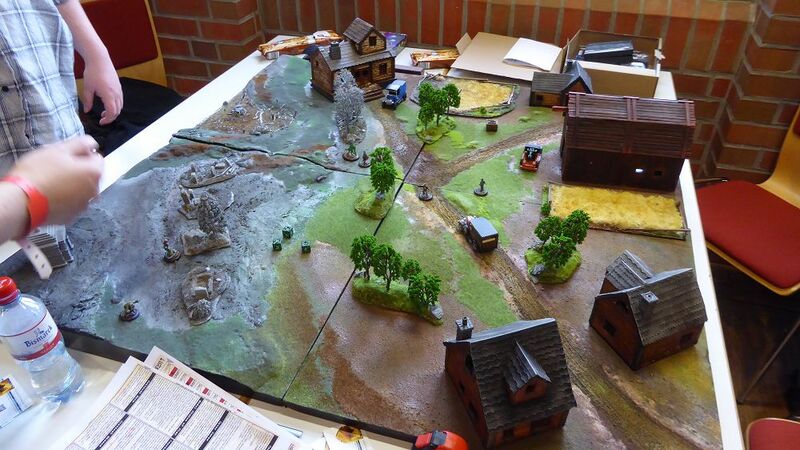 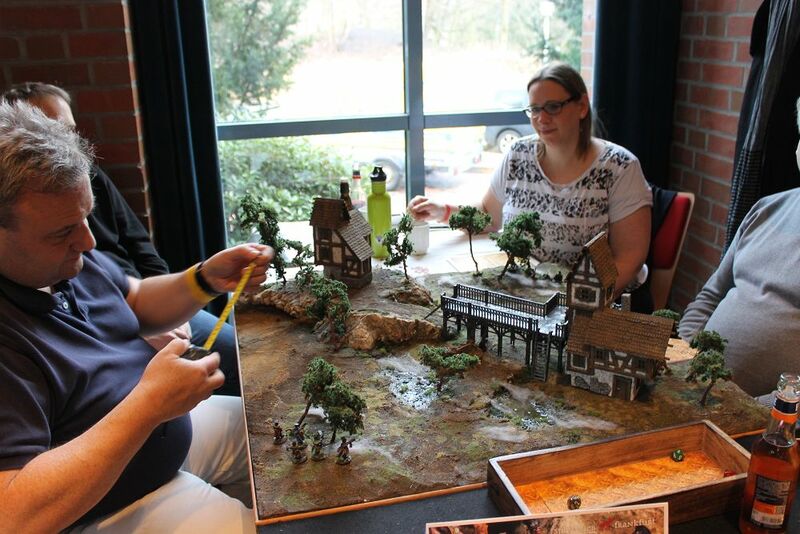 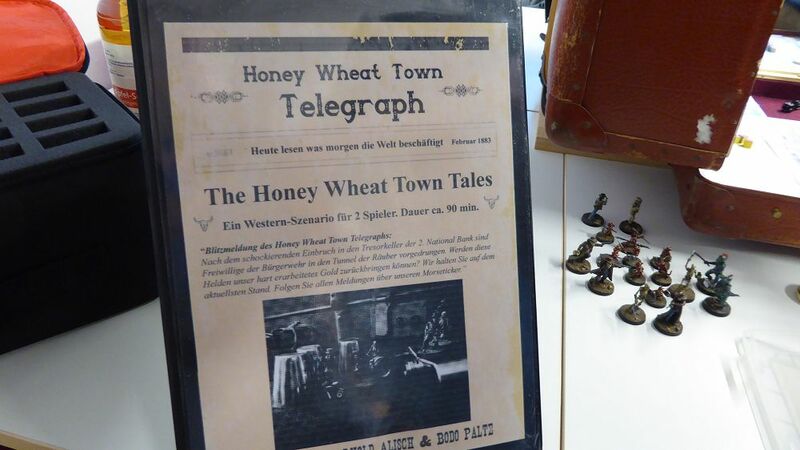 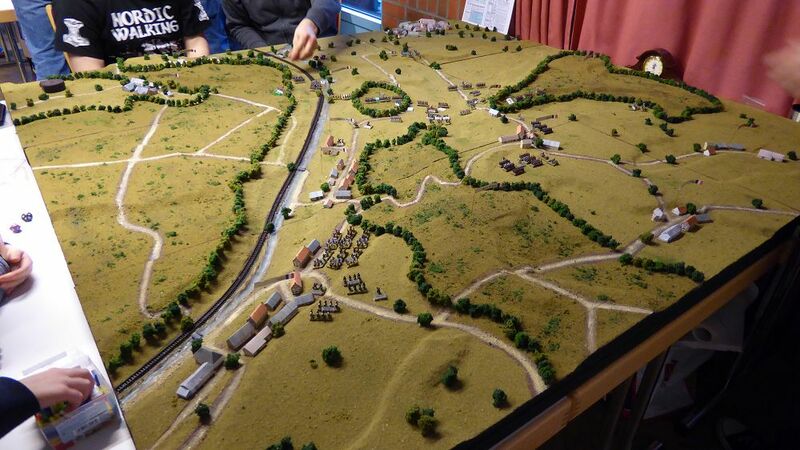 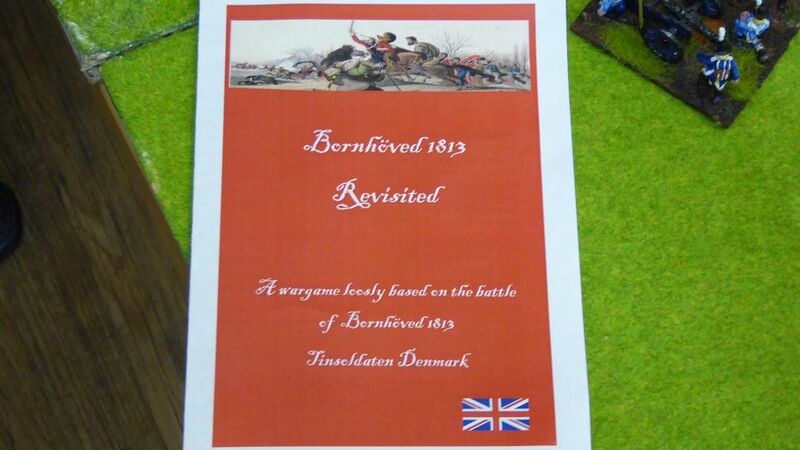 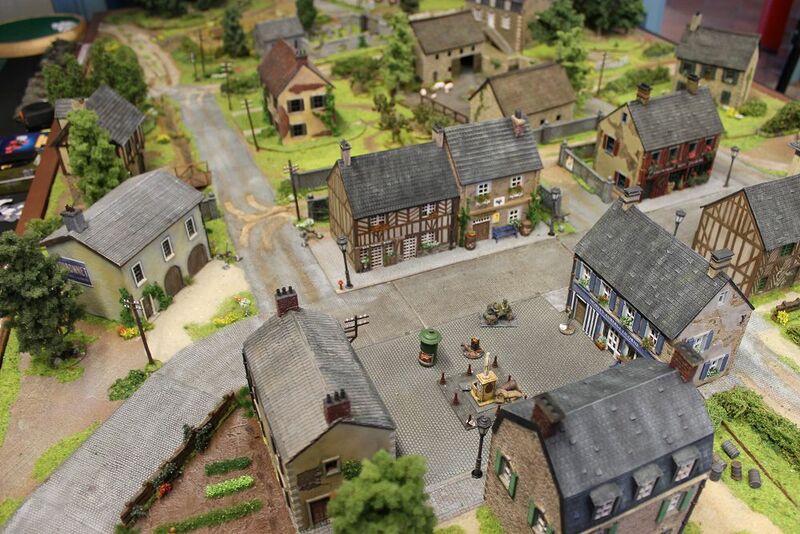 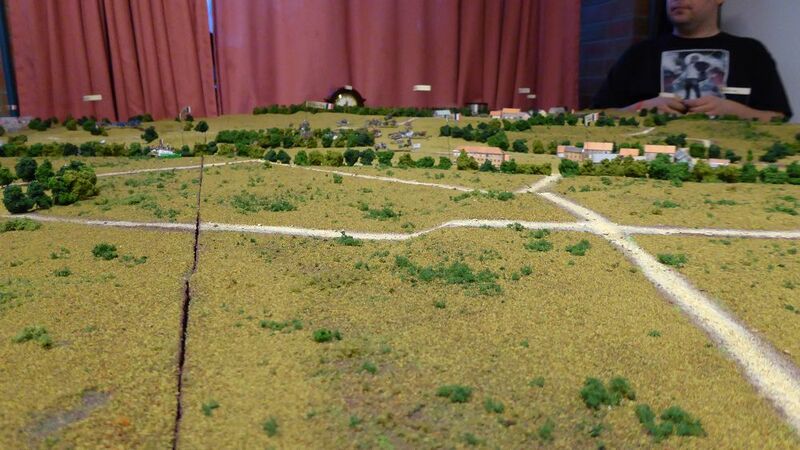 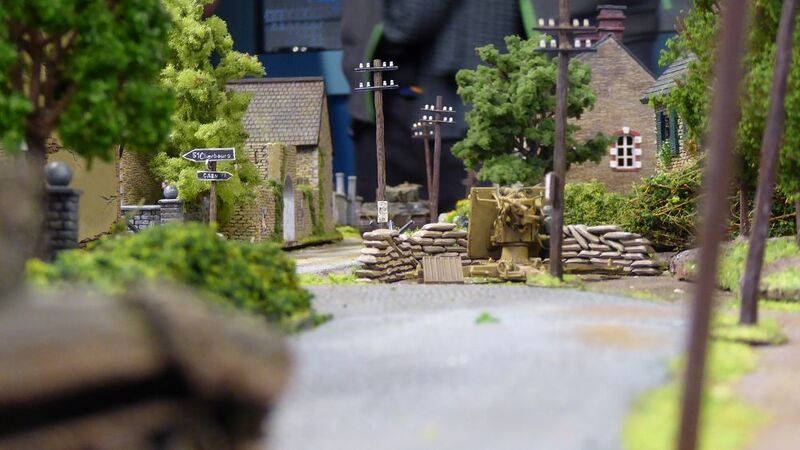 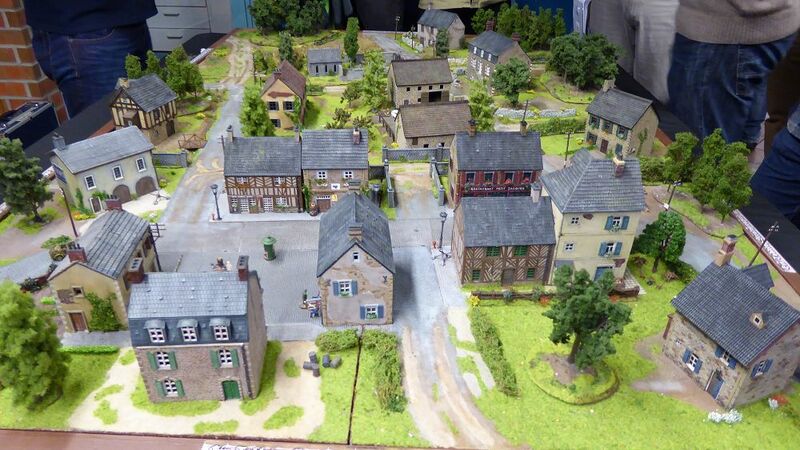 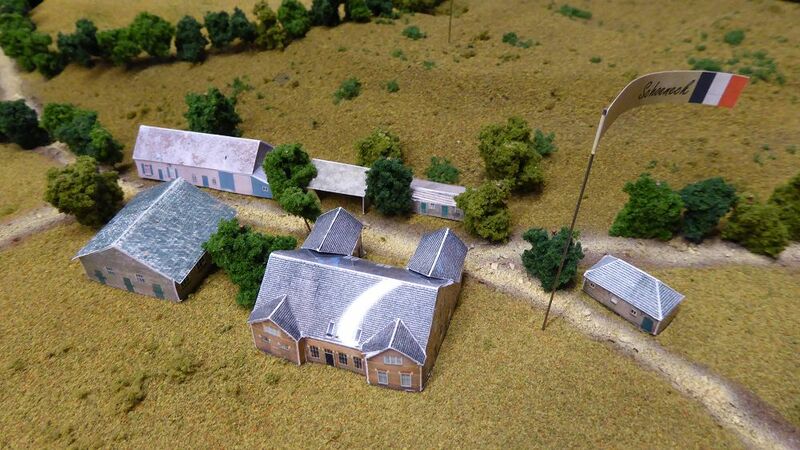 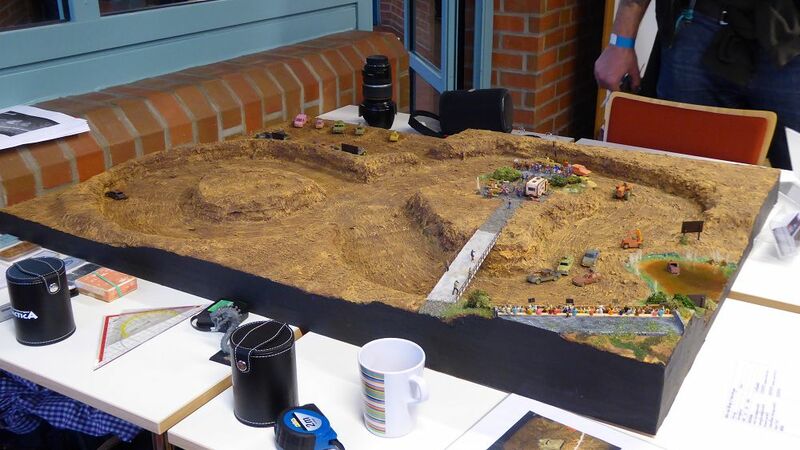 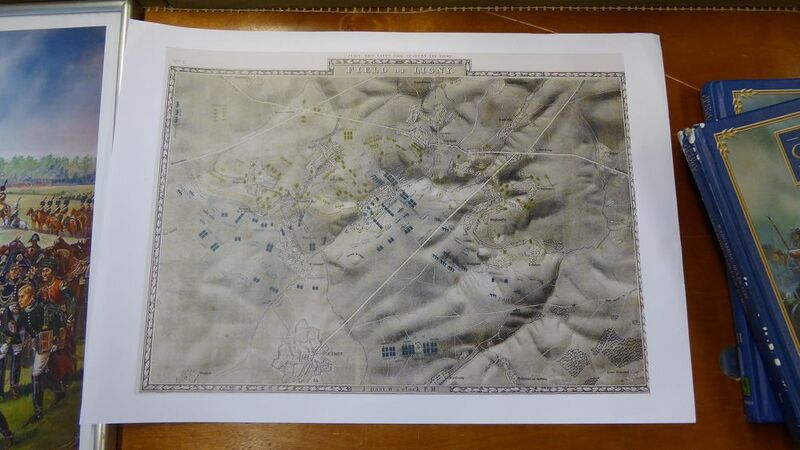 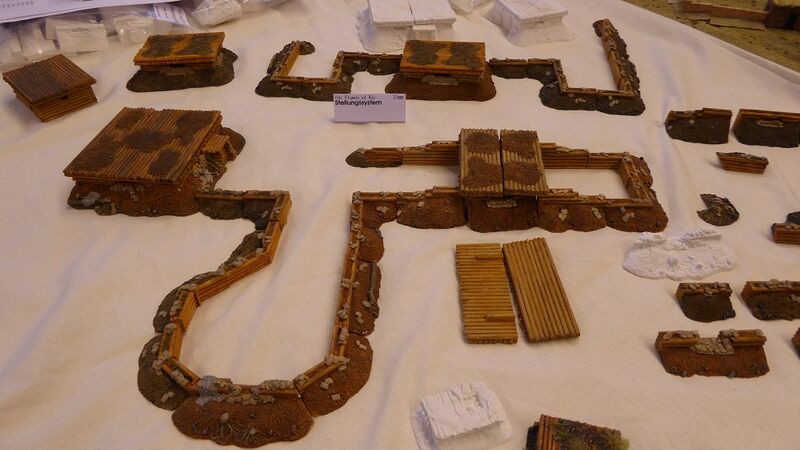 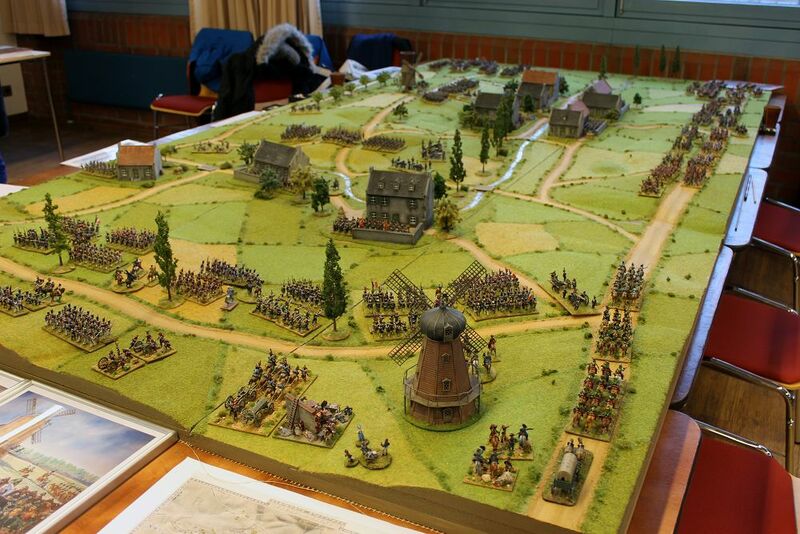 The Danish Auxiliary Corps is on its way back to Rendsburg and has set up camp in teh village of Bornhöved. 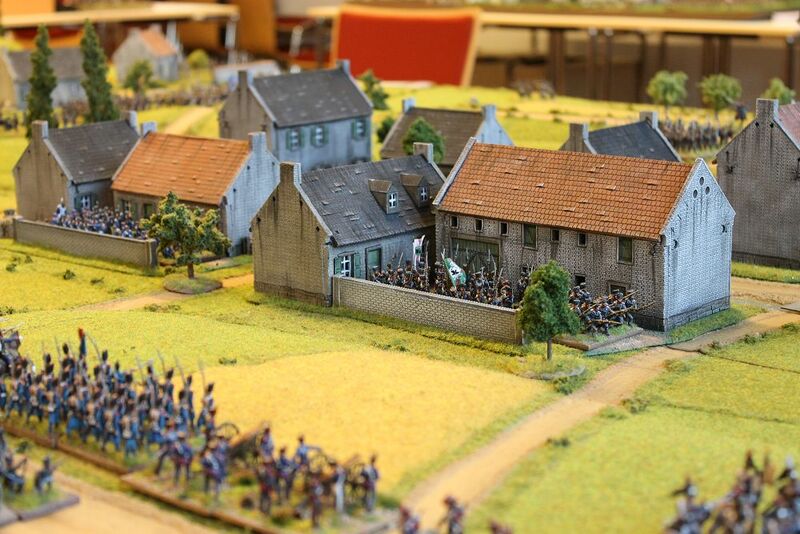 One brigade is behind the village to the North, one brigade is in the village itself, and one is still on the march. 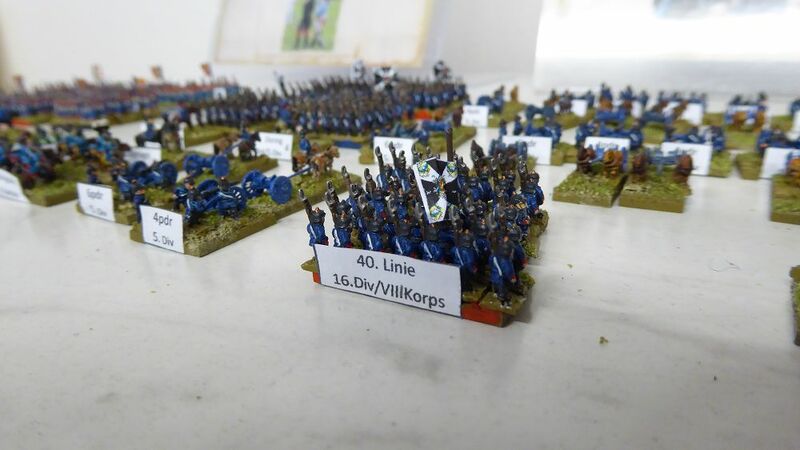 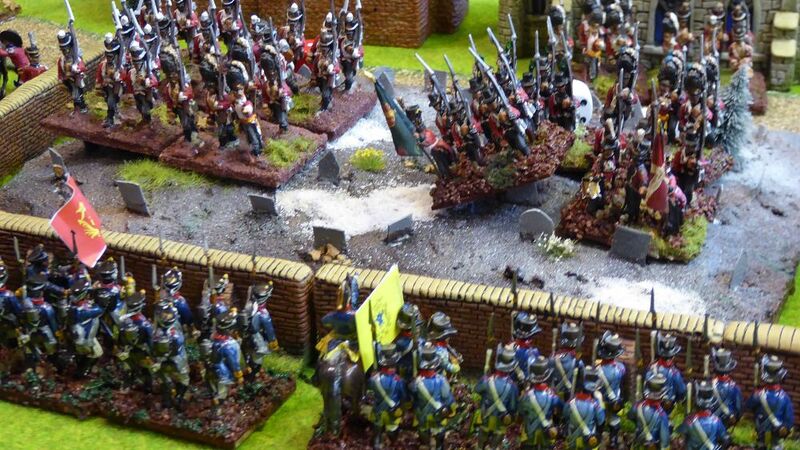 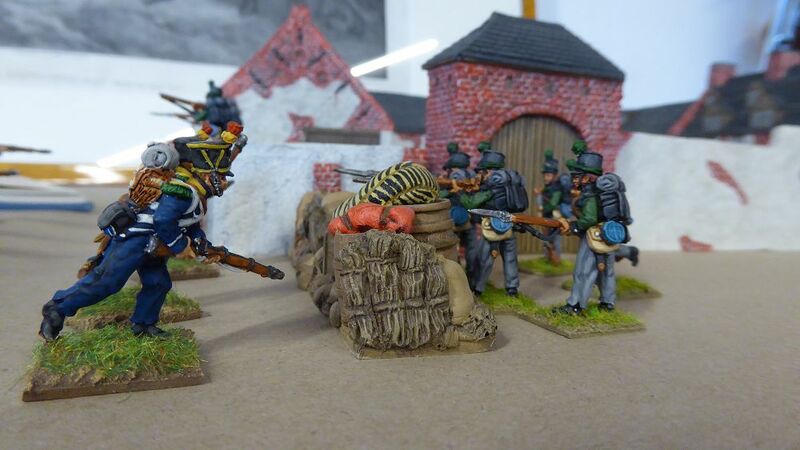 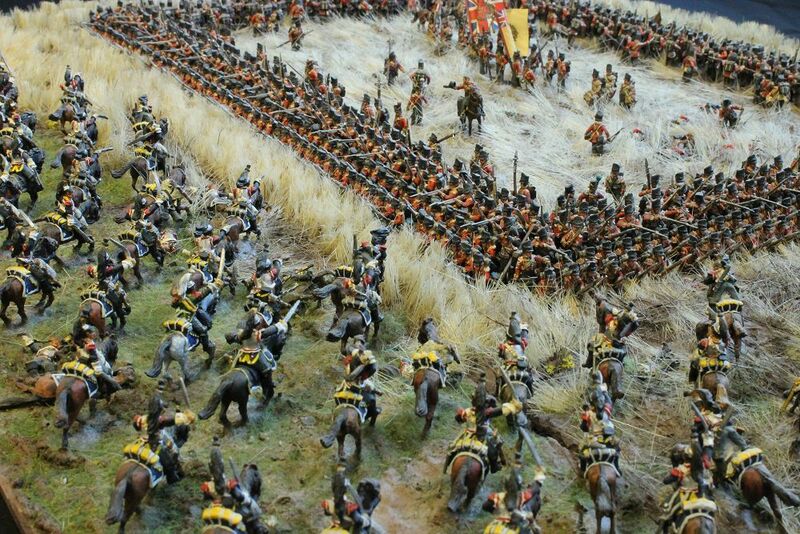 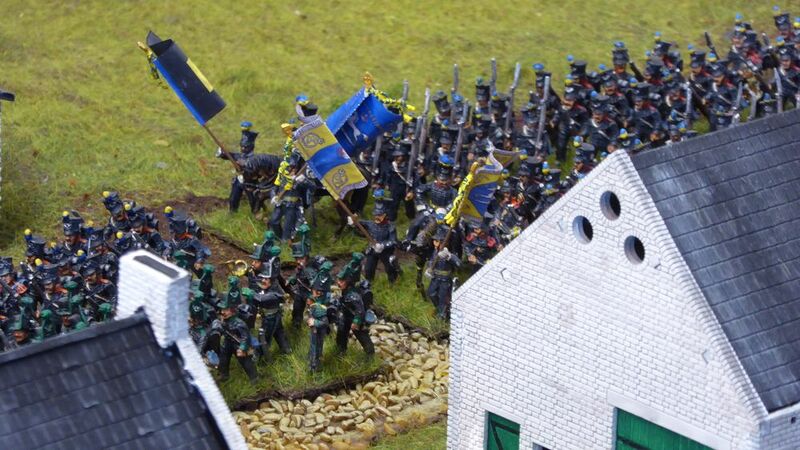 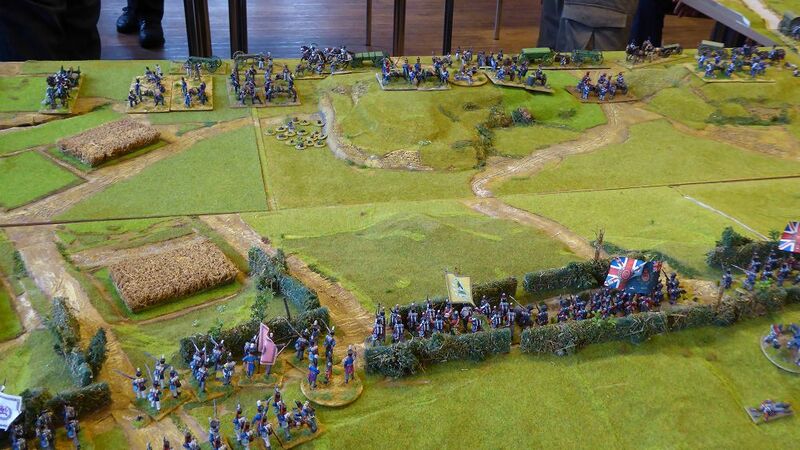 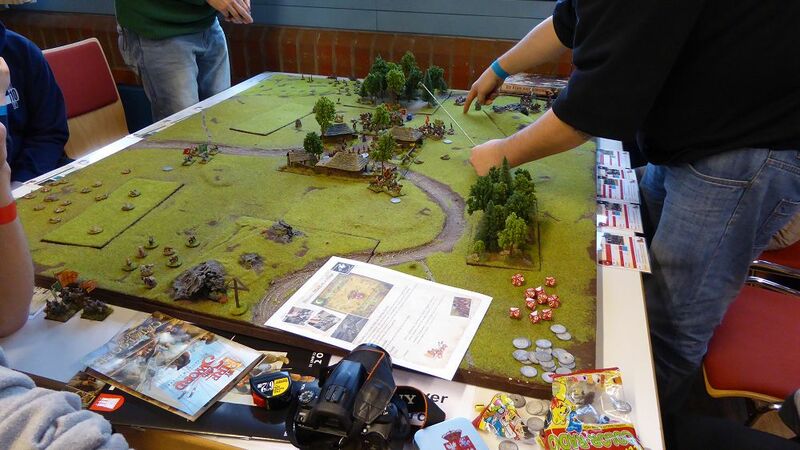 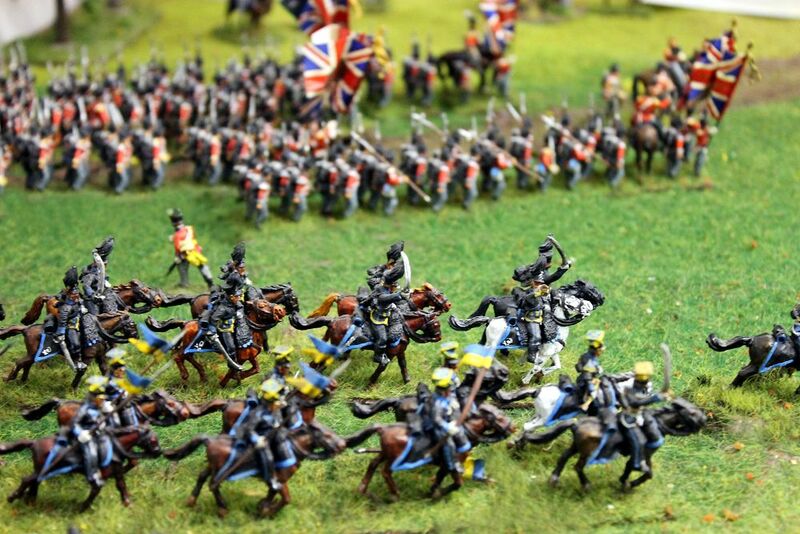 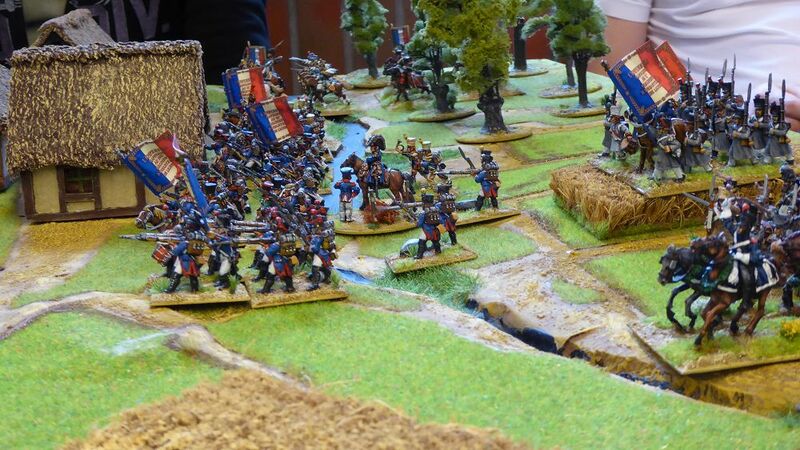 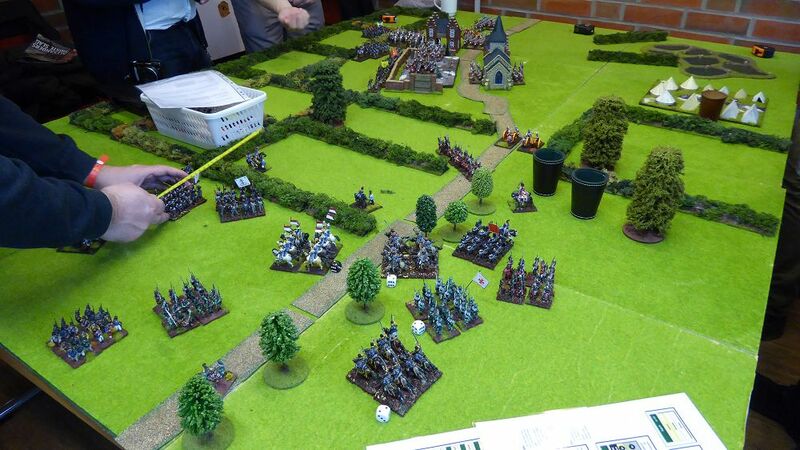 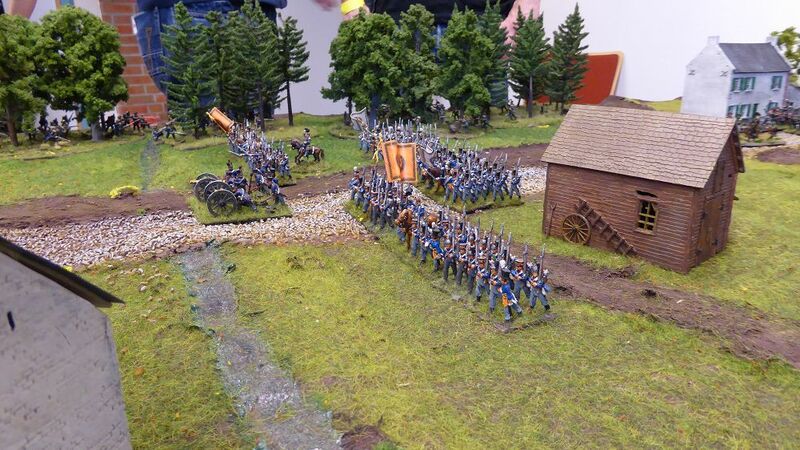 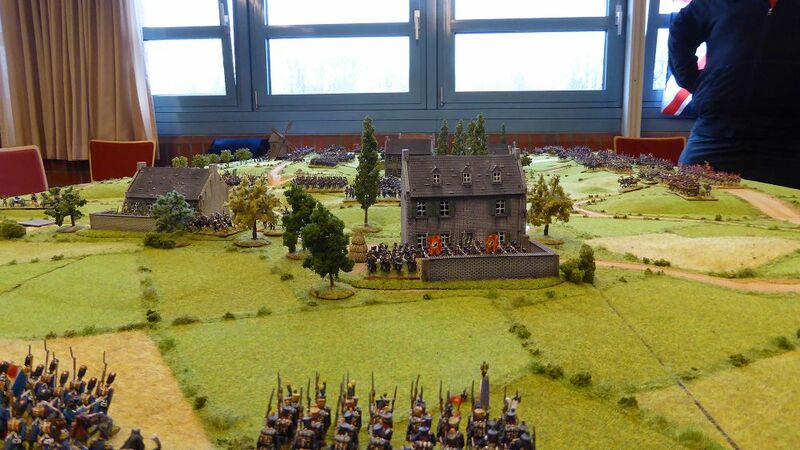 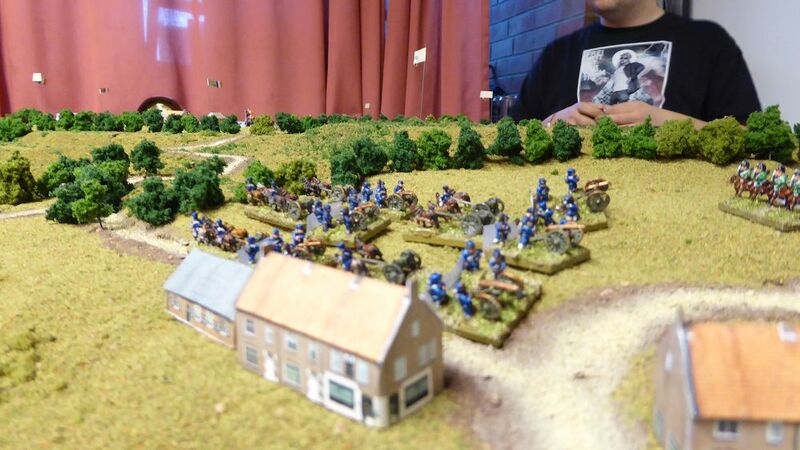 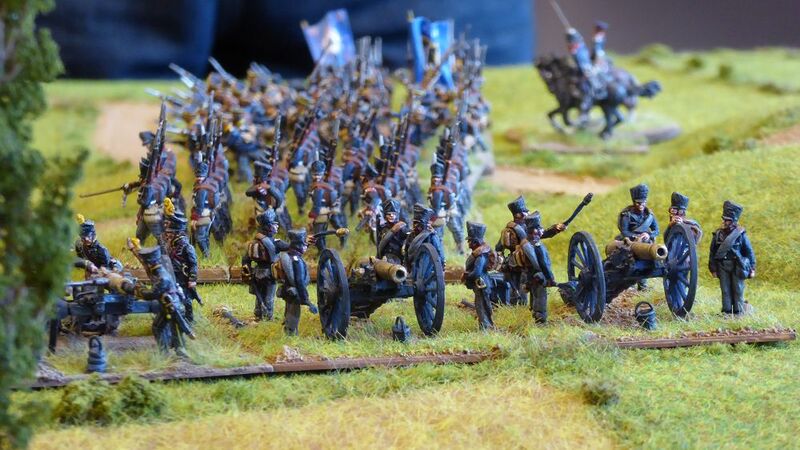 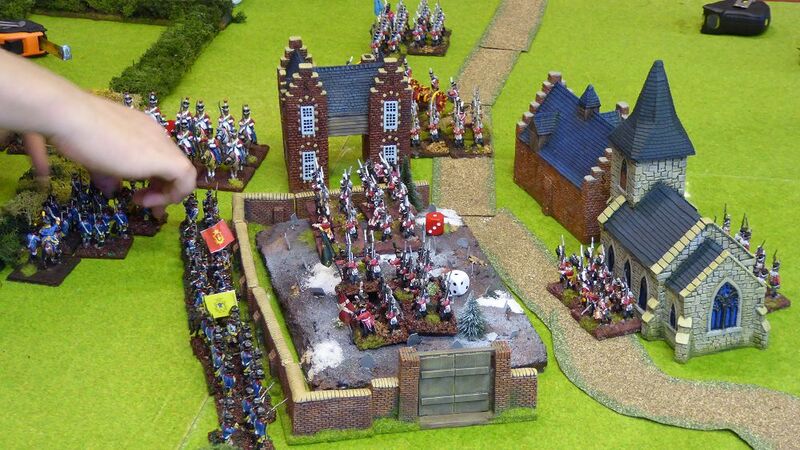 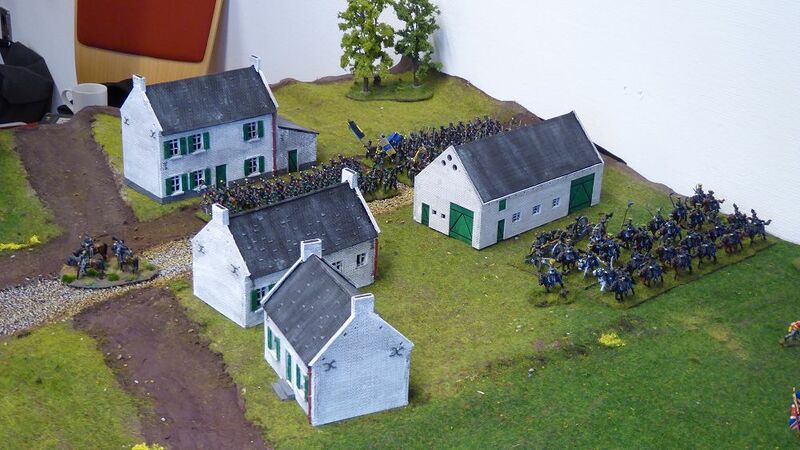 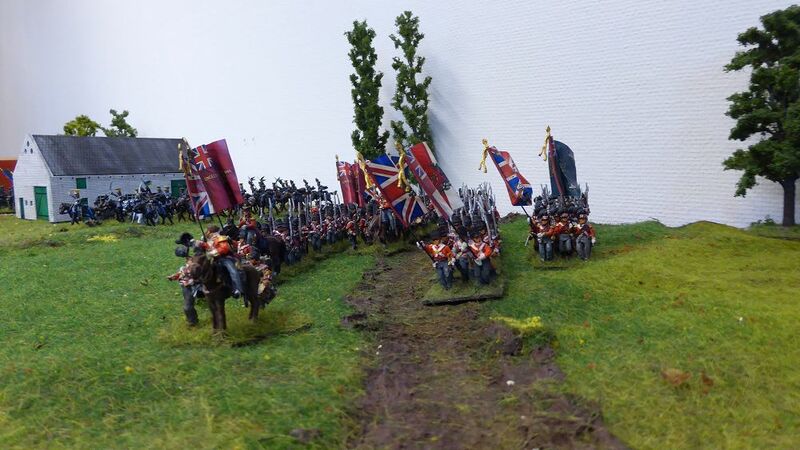 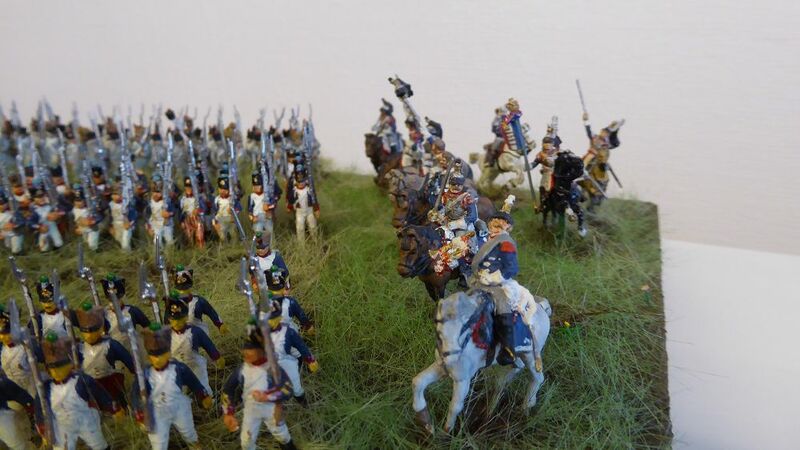 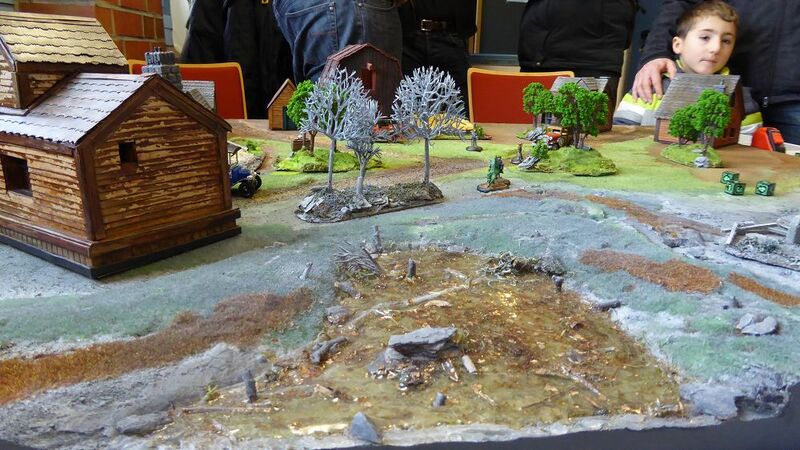 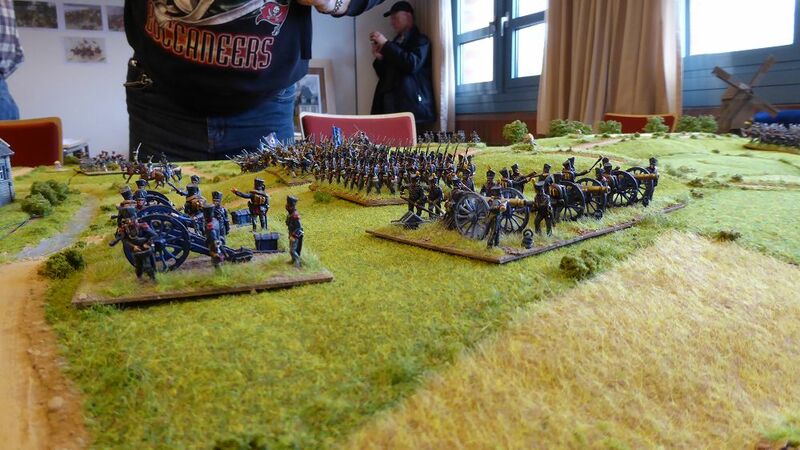 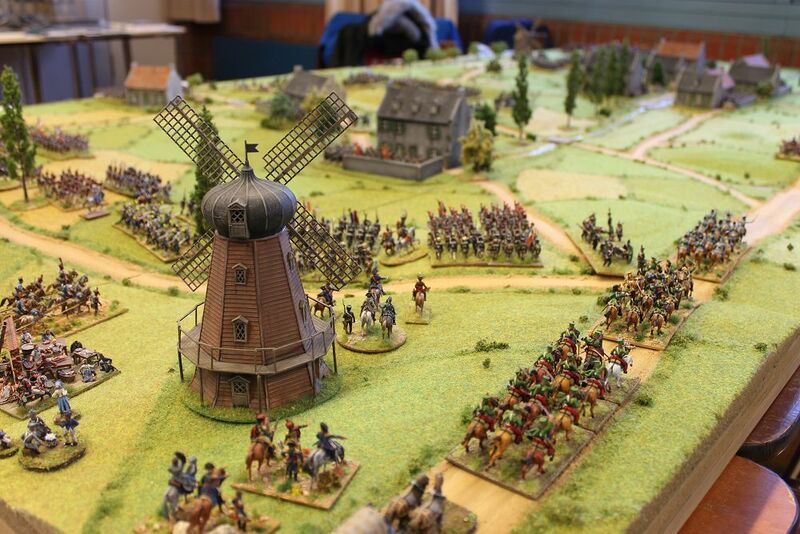 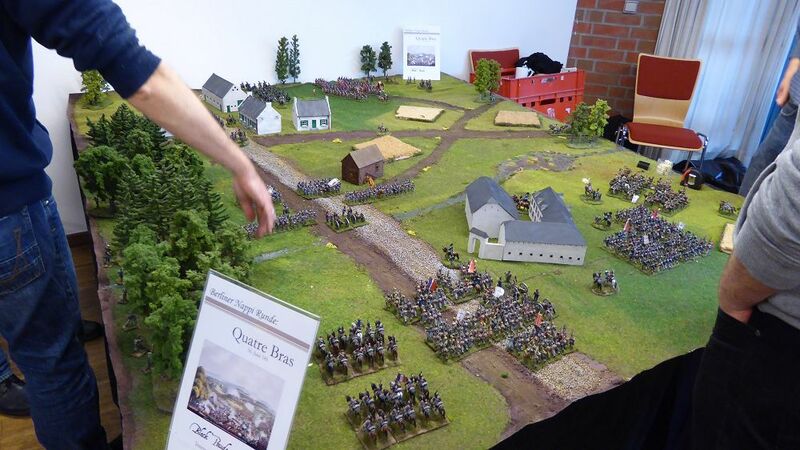 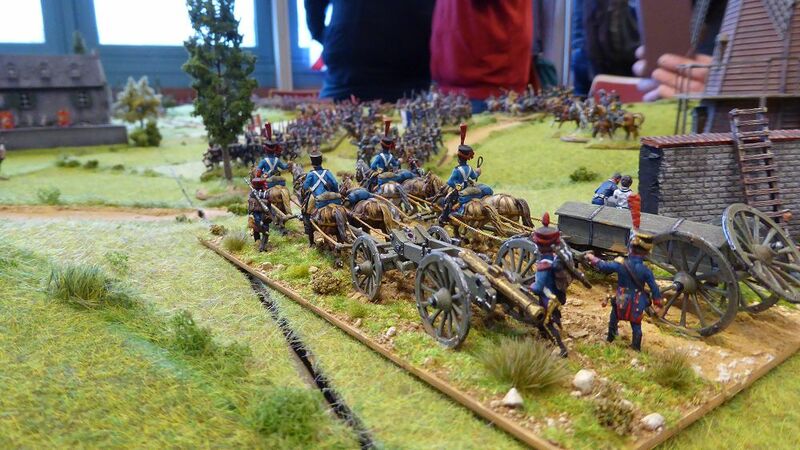 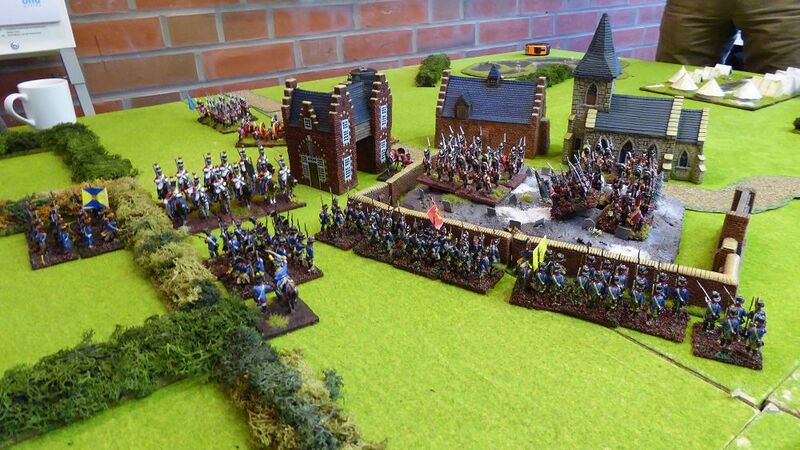 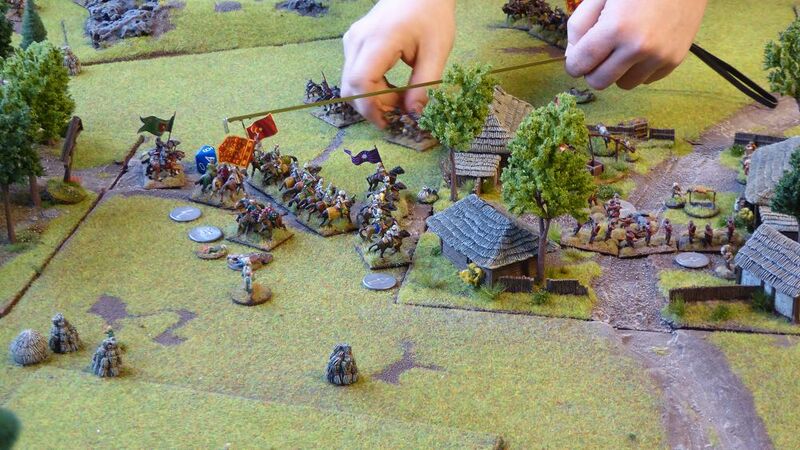 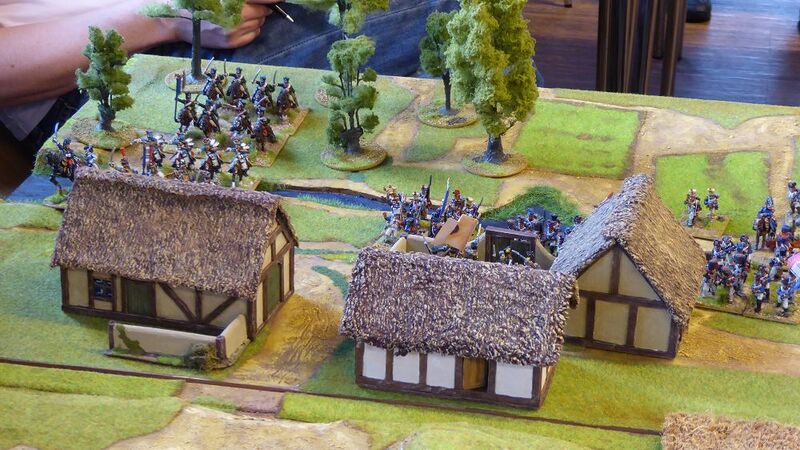 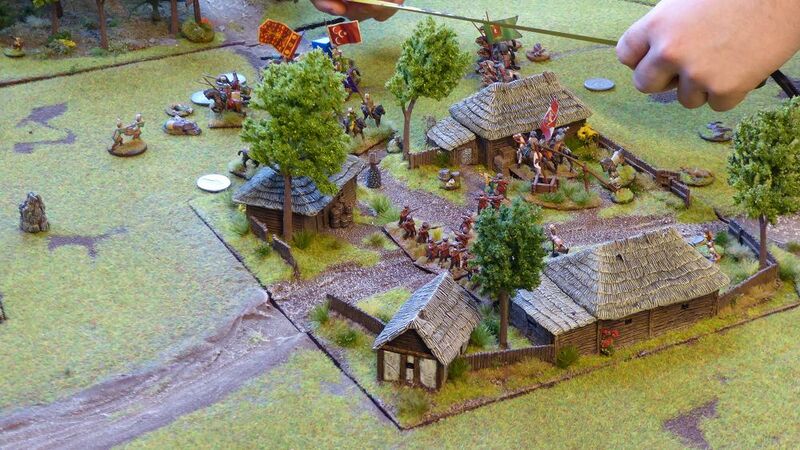 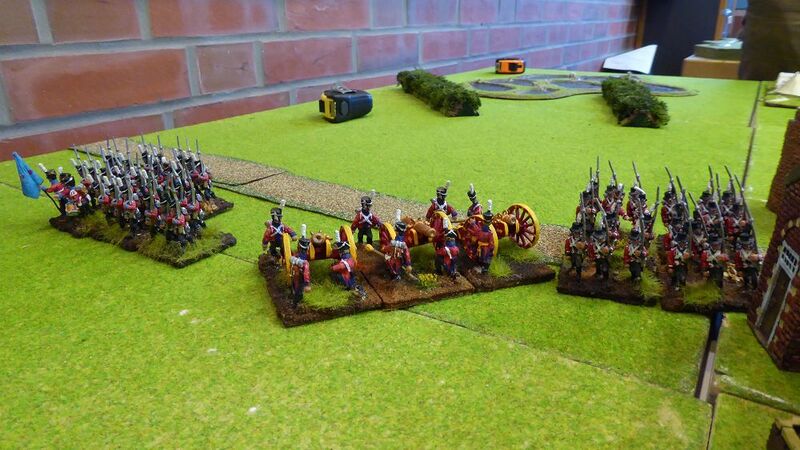 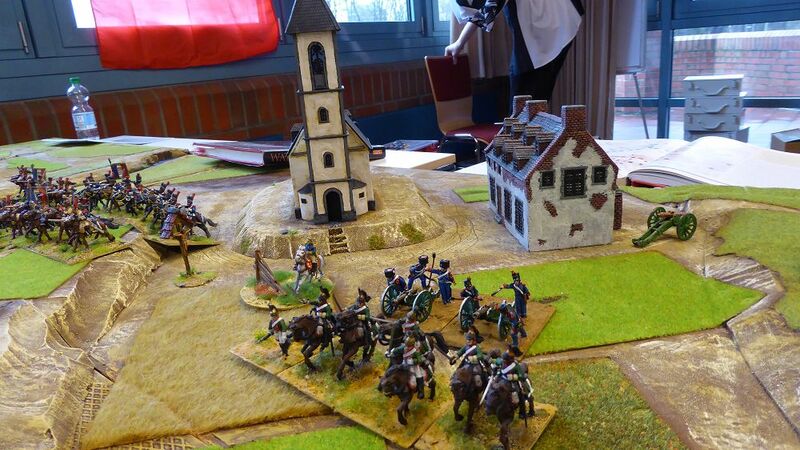 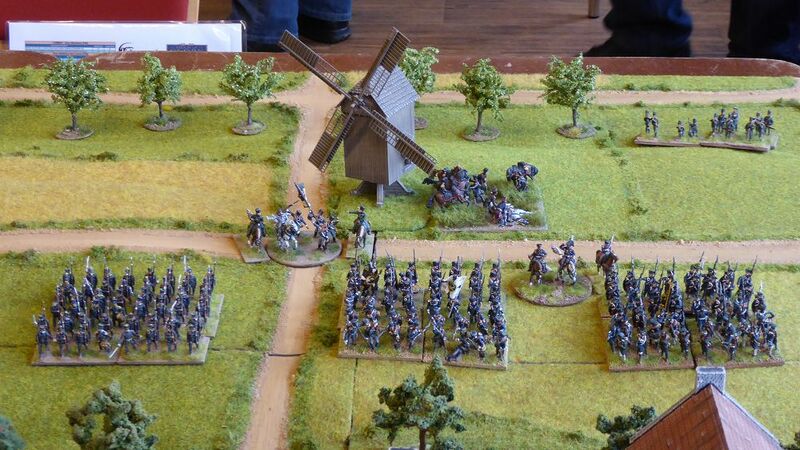 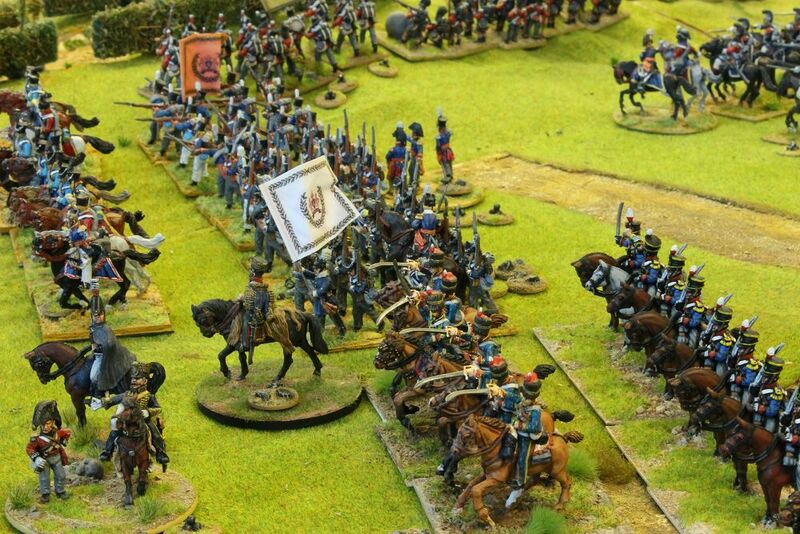 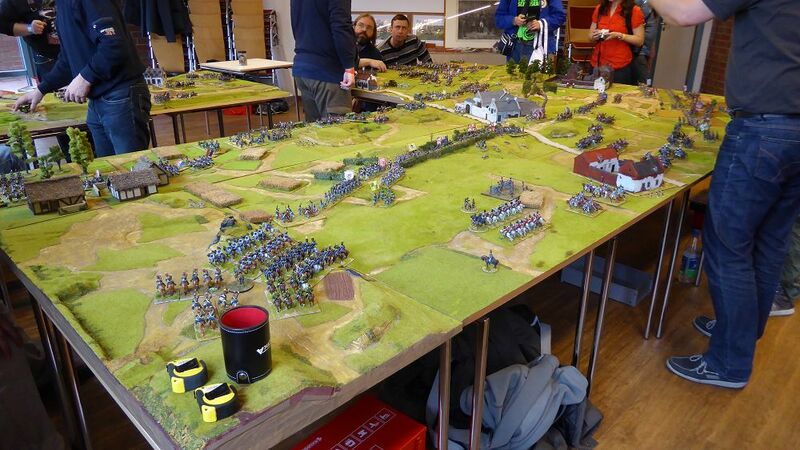 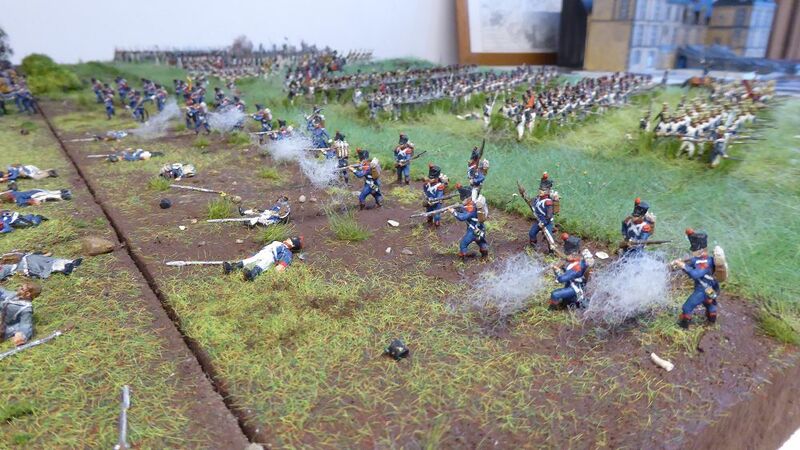 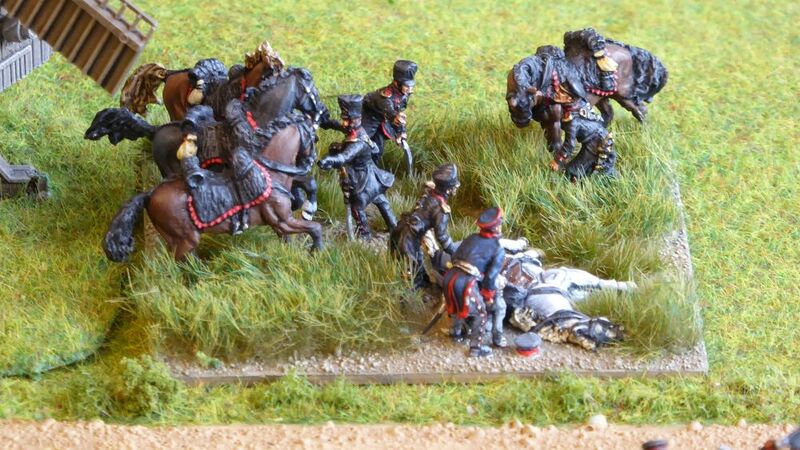 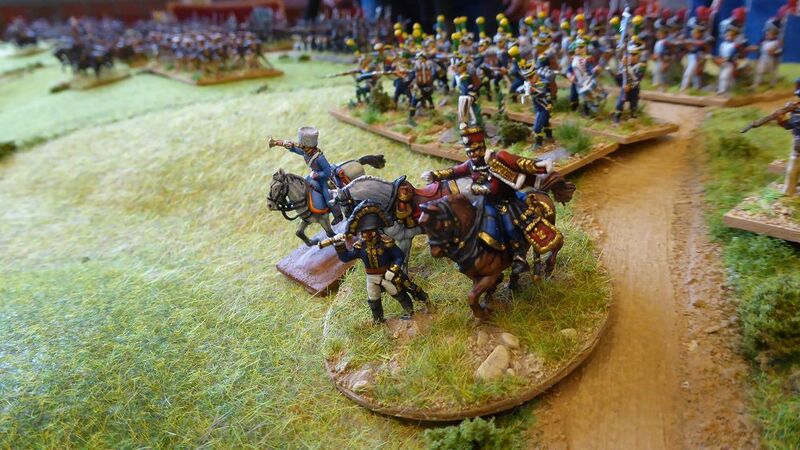 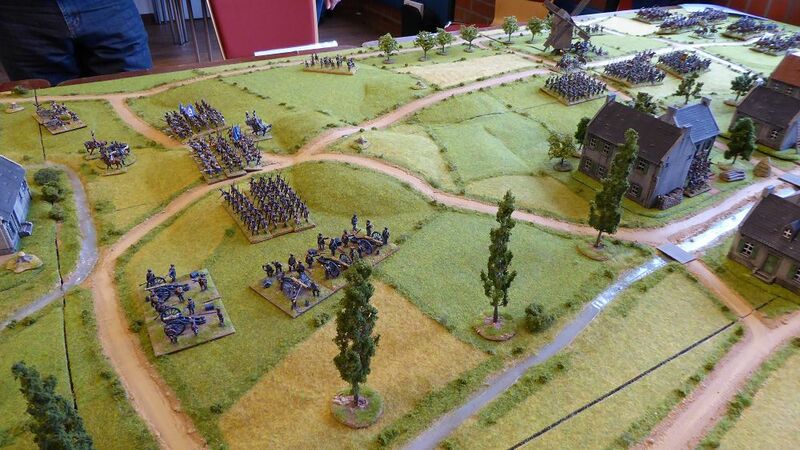 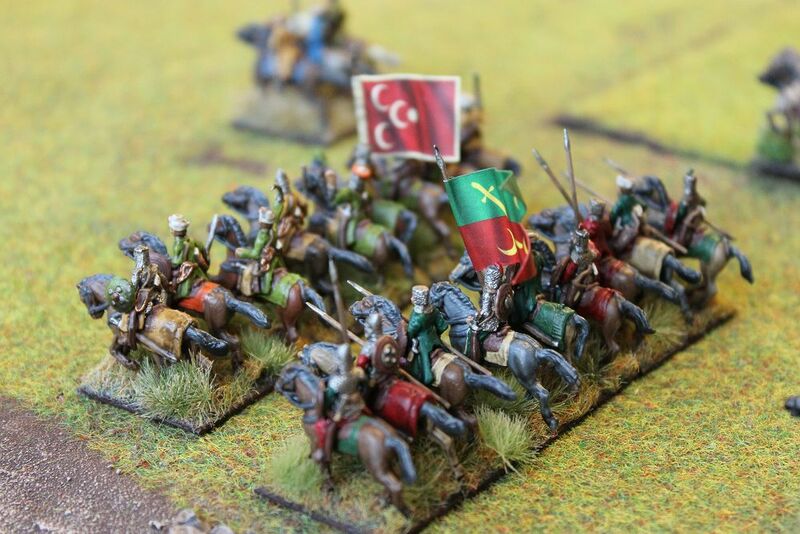 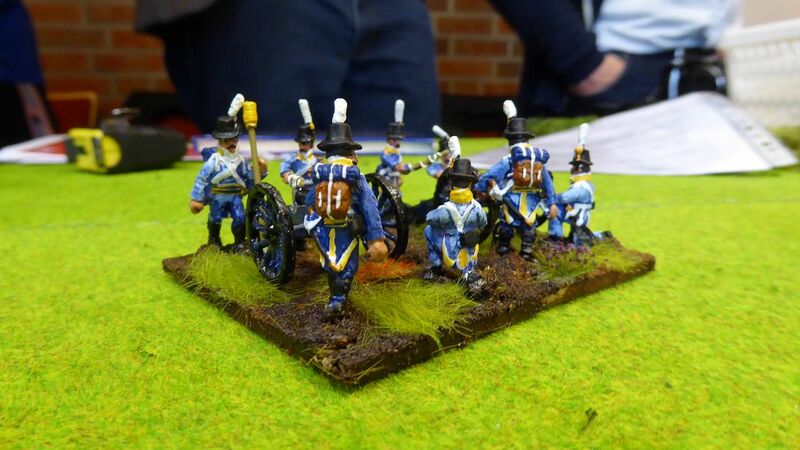 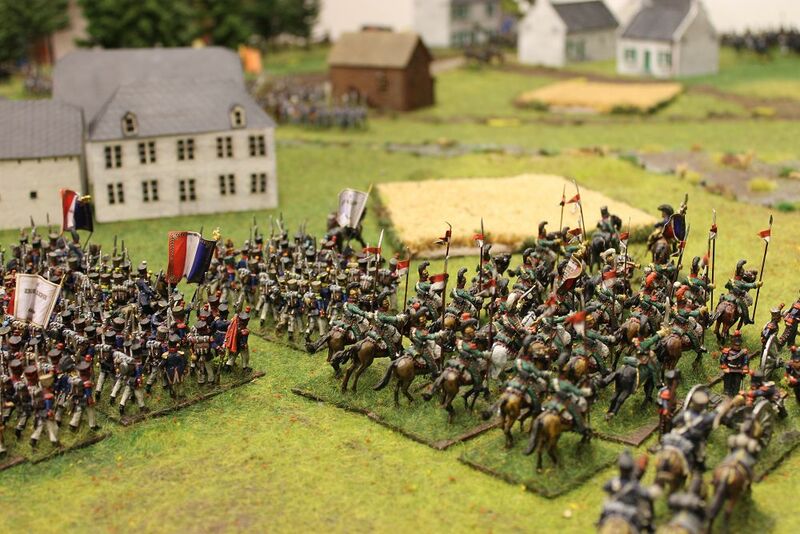 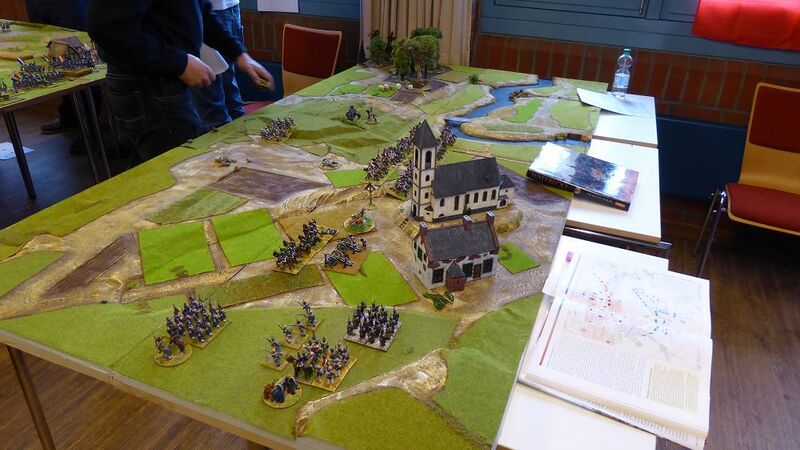 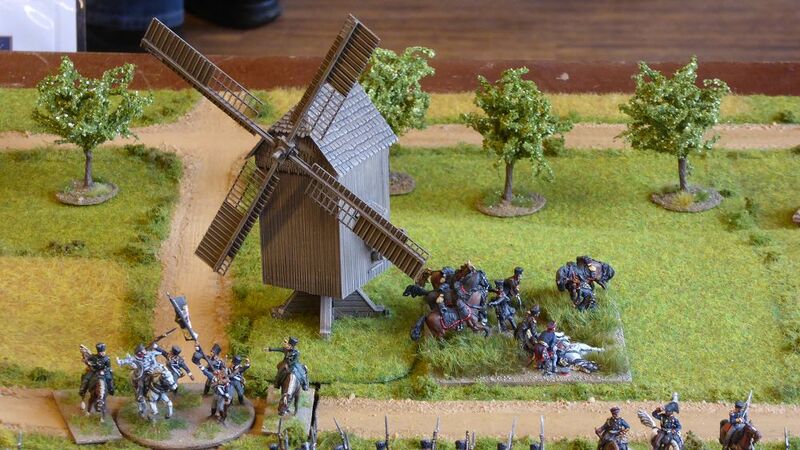 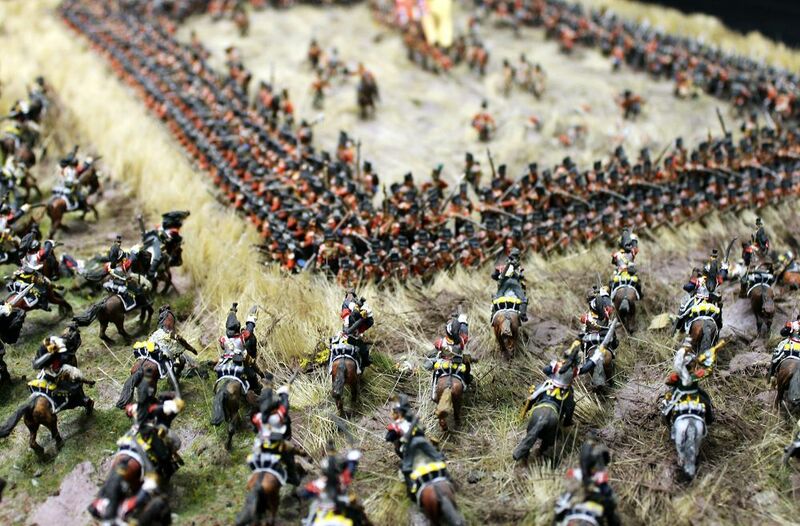 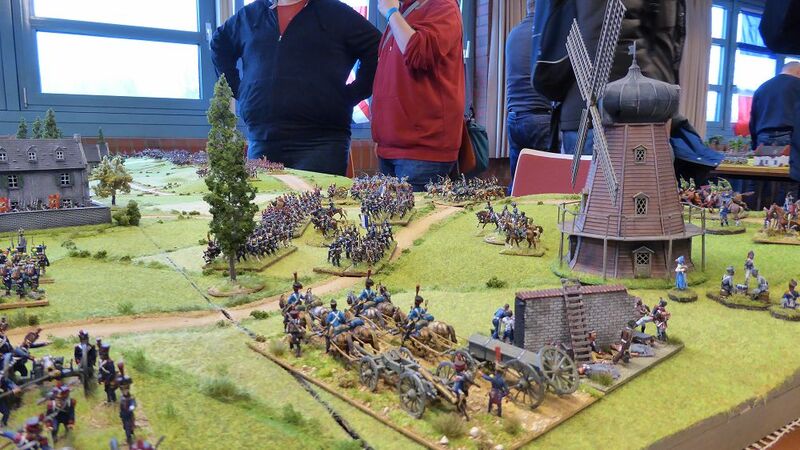 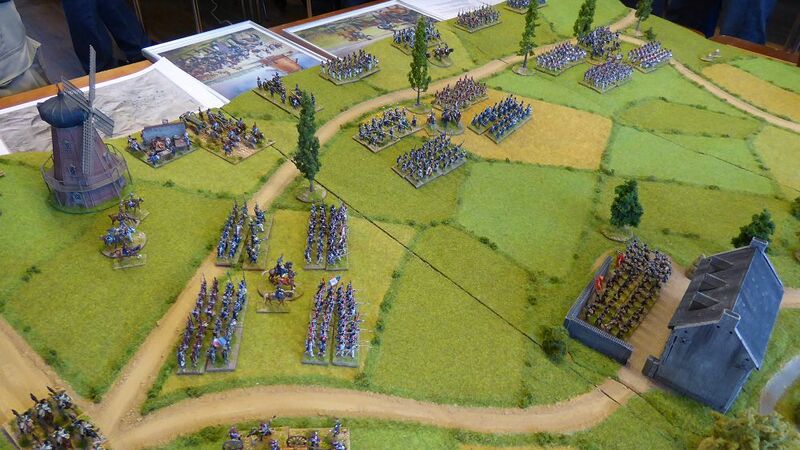 This brigade is hit by a surprise attack of Swedish Hussars and has to fight its way to the Danish troops. 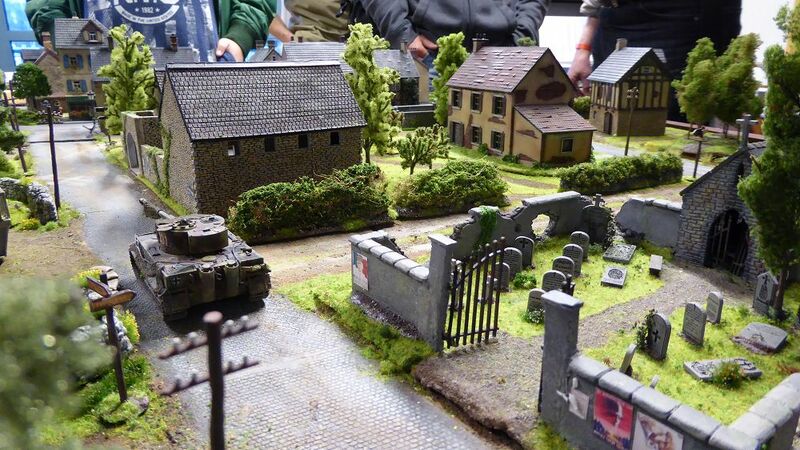 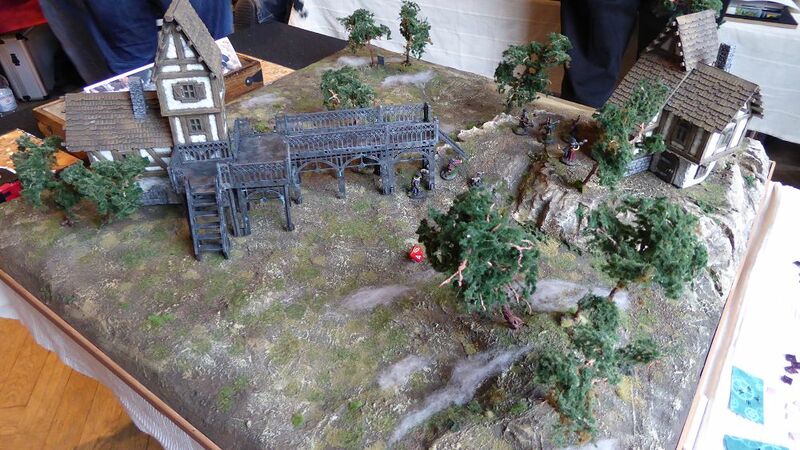 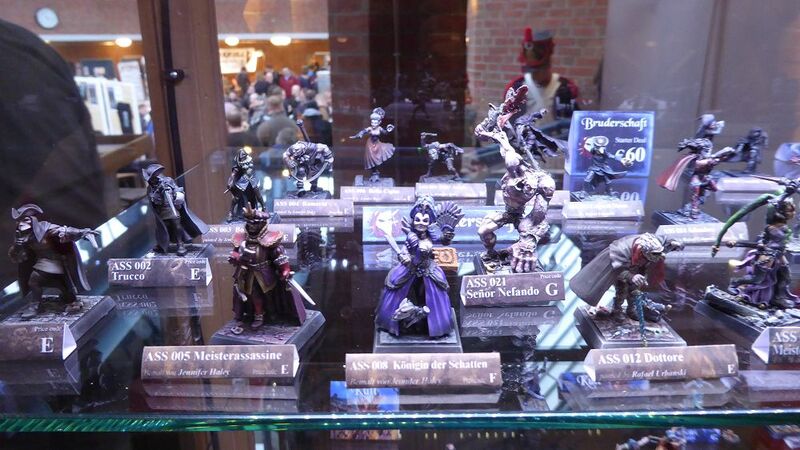 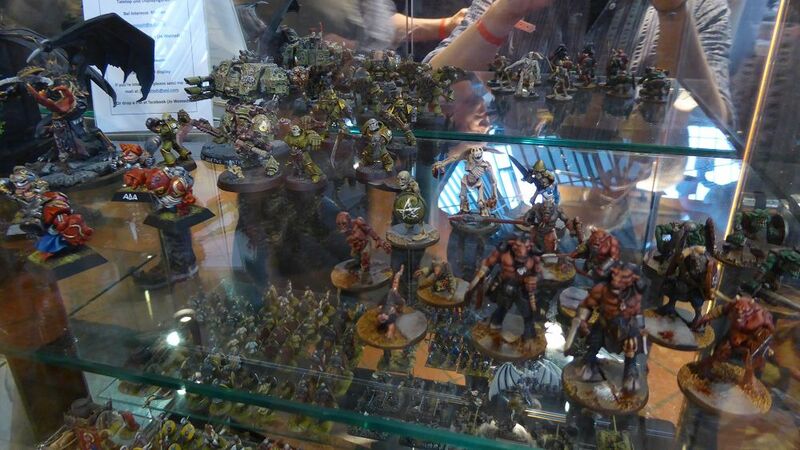 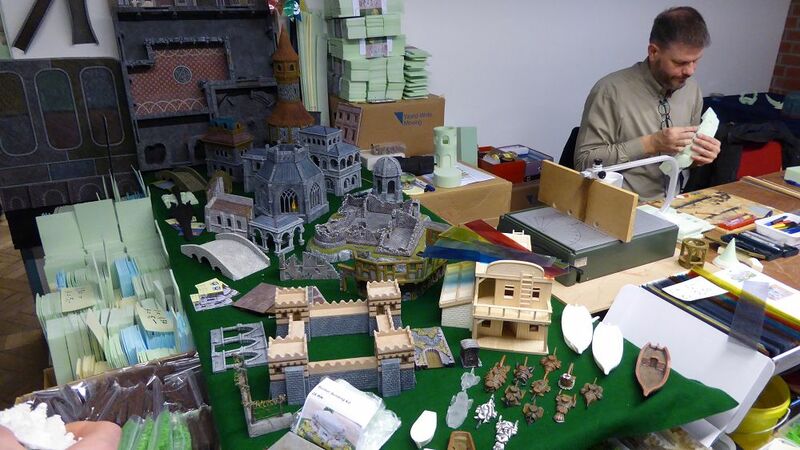 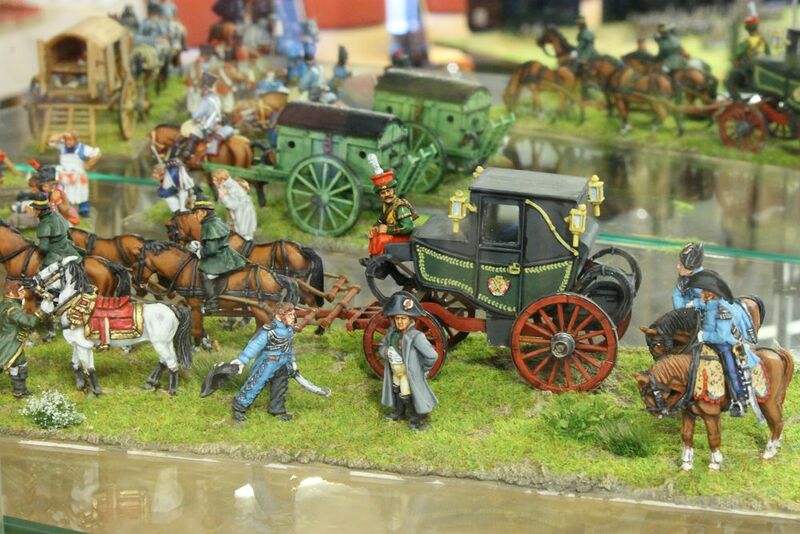 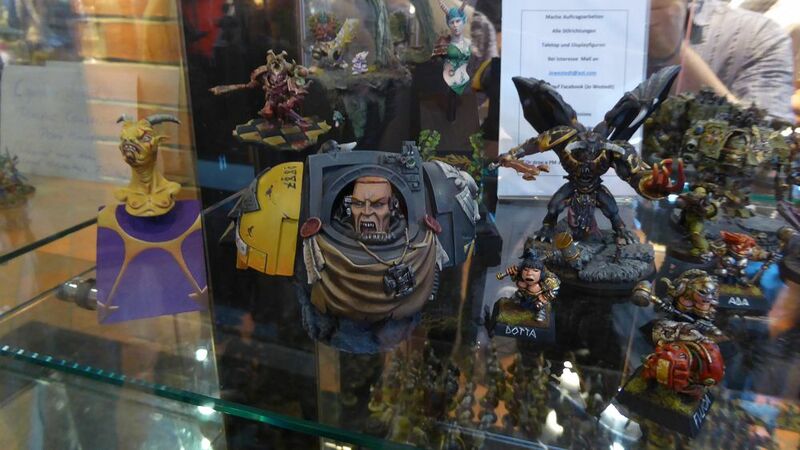 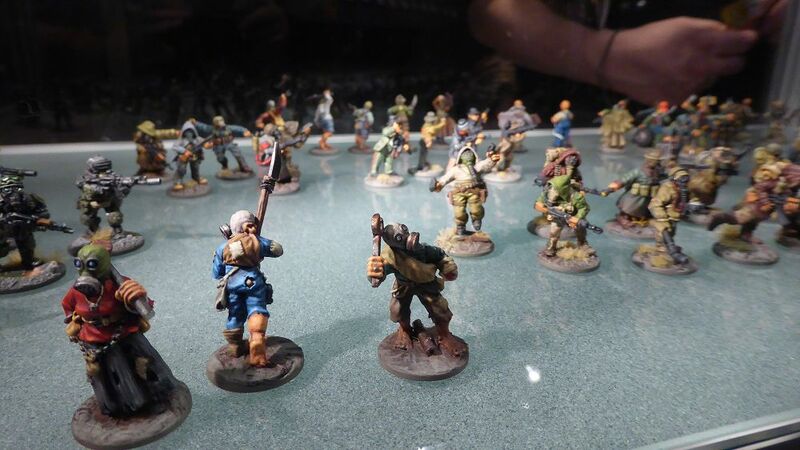 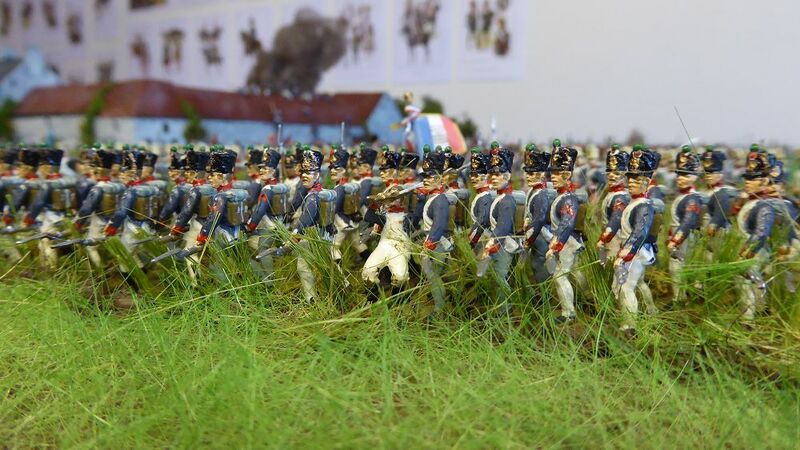 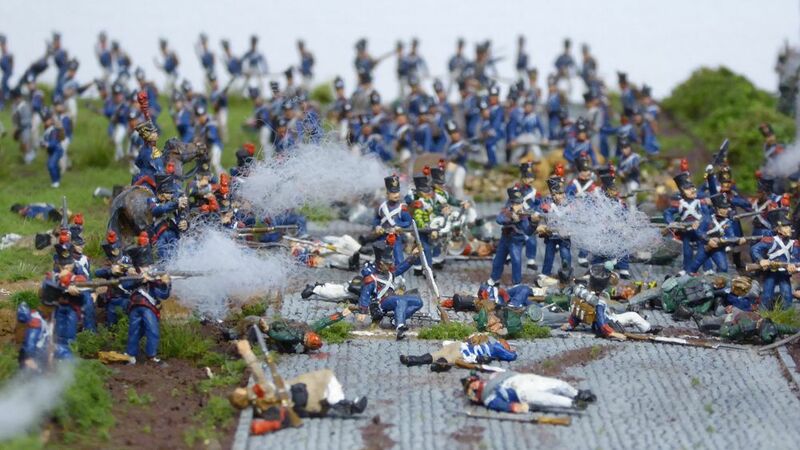 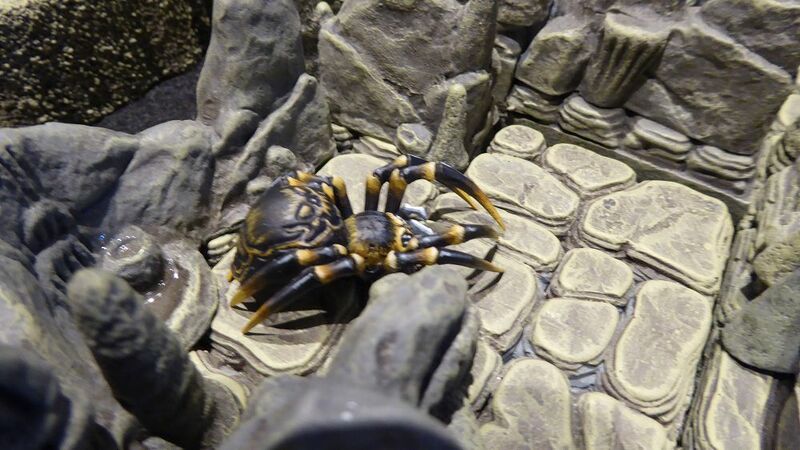 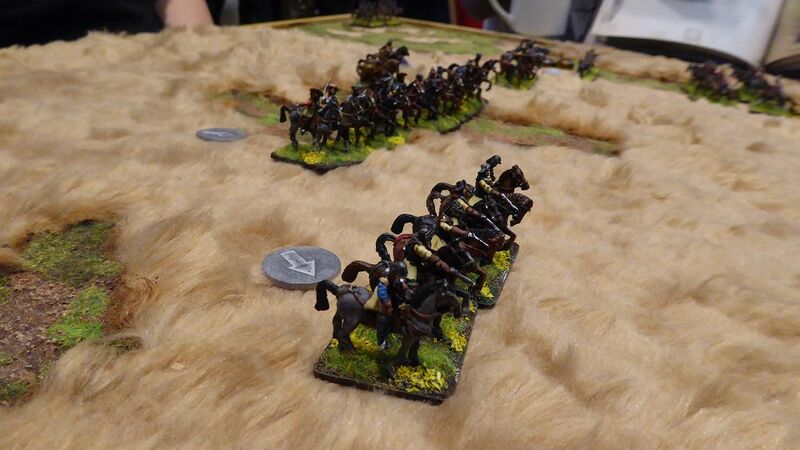 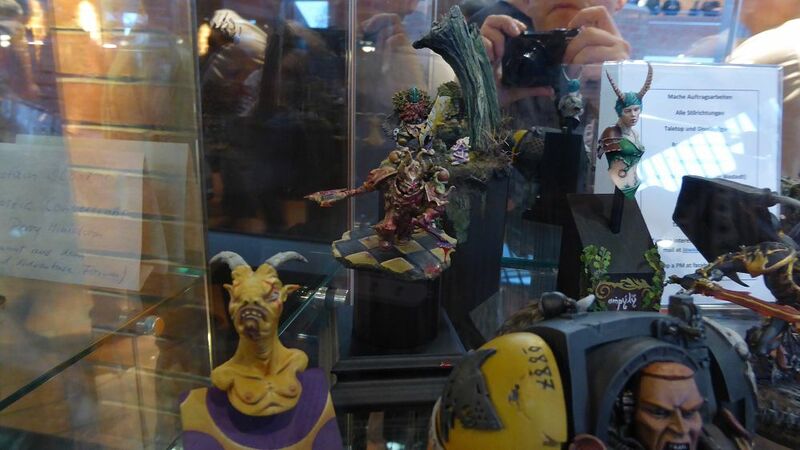 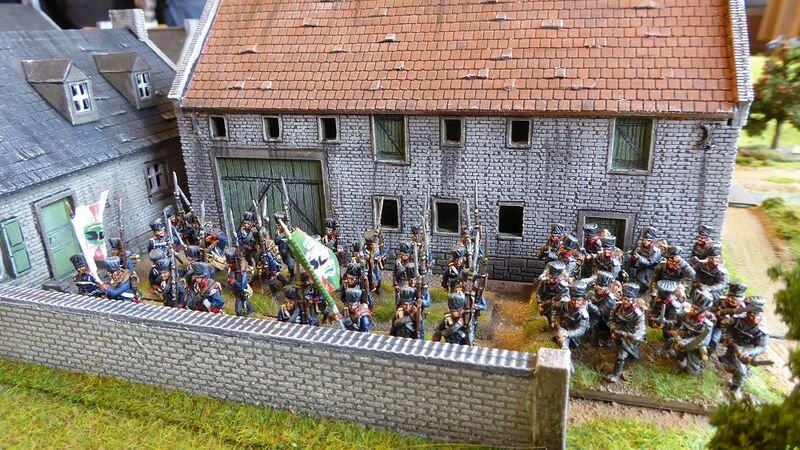 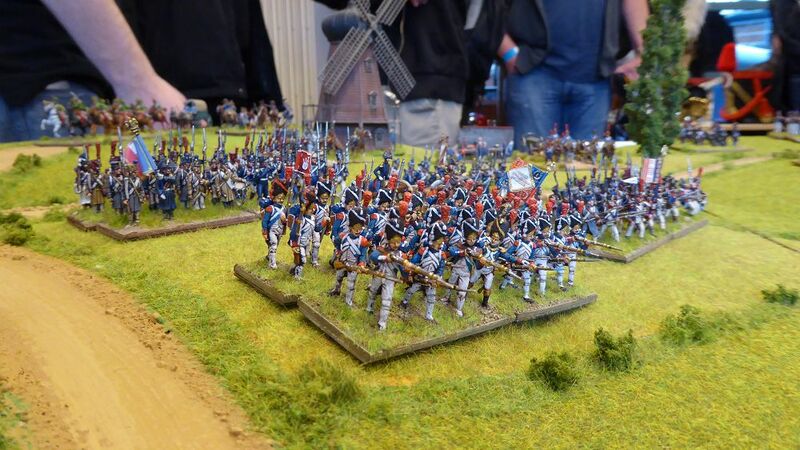 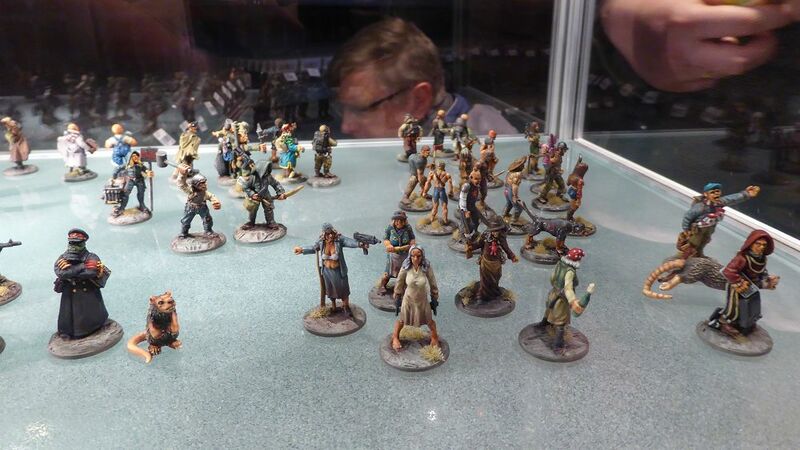 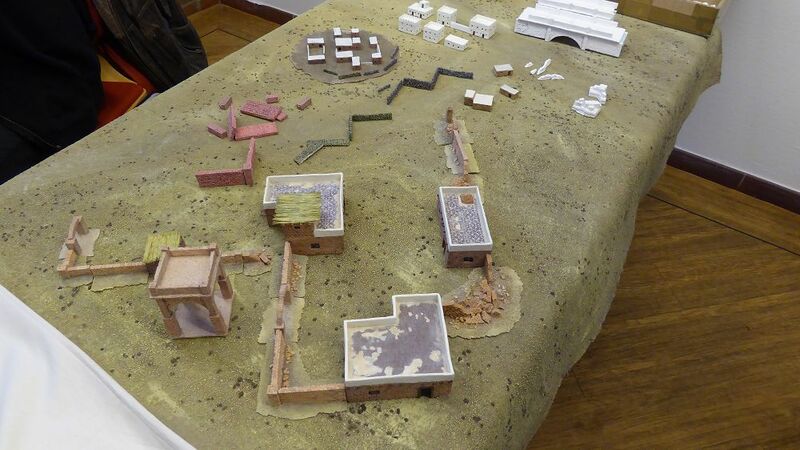 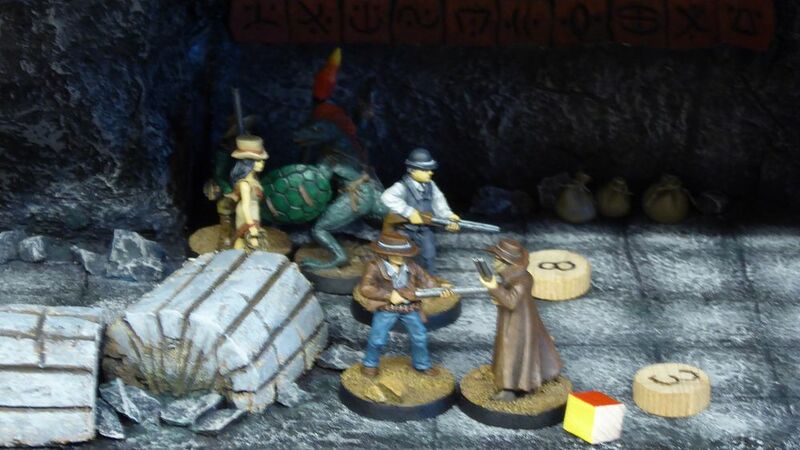 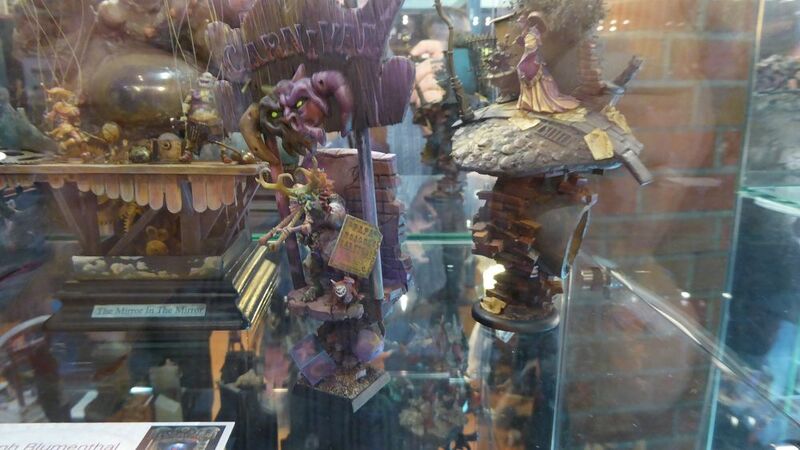 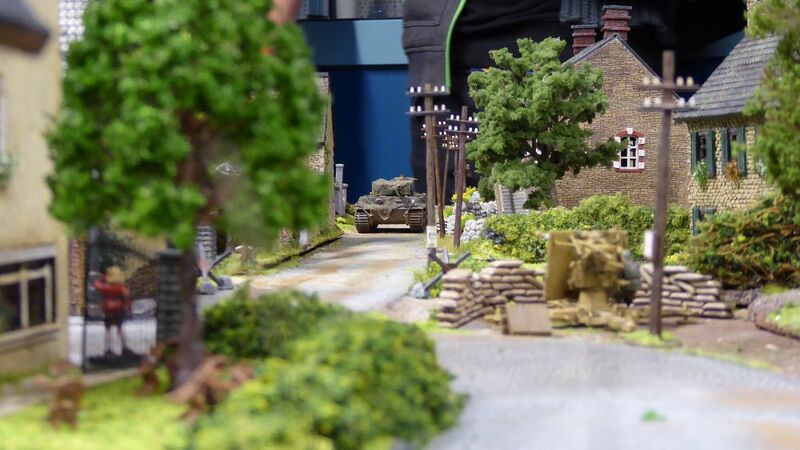 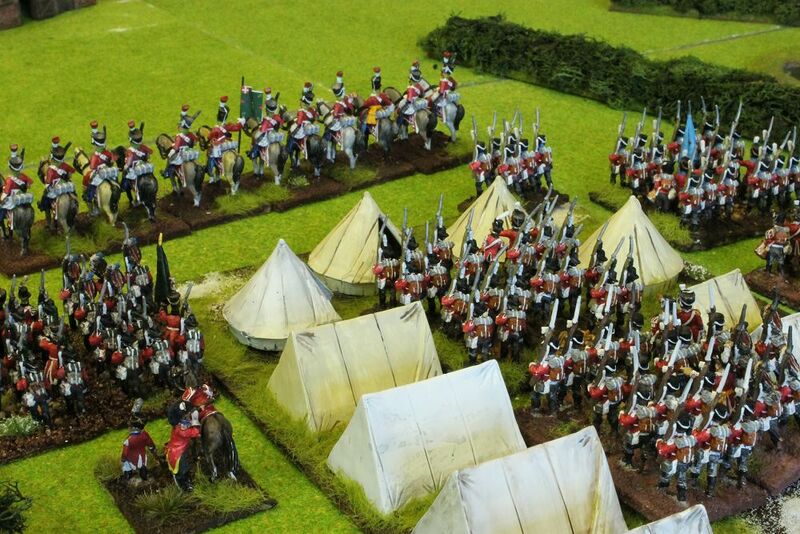 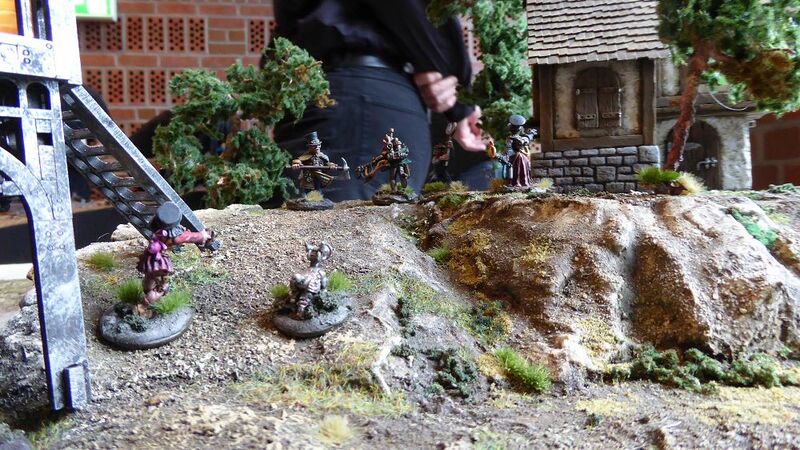 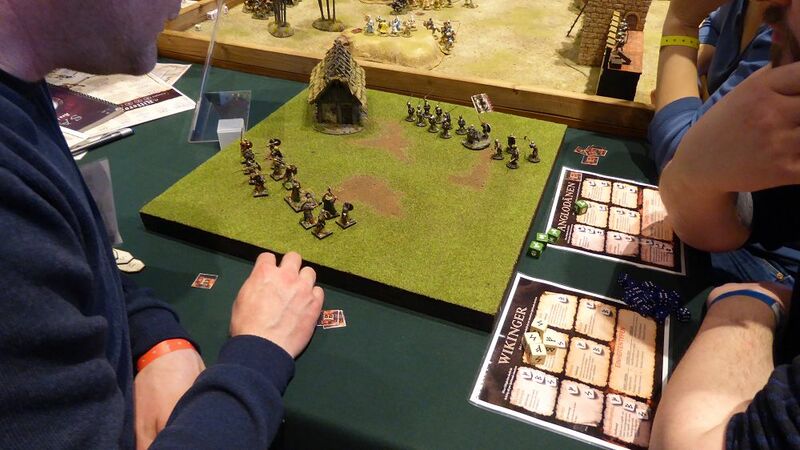 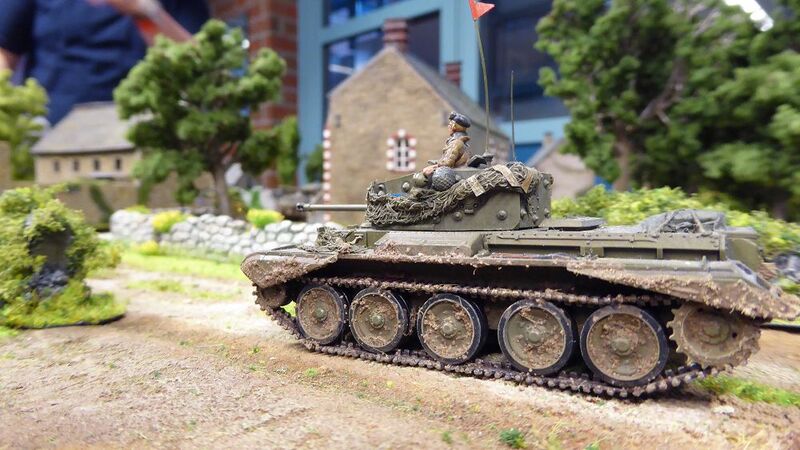 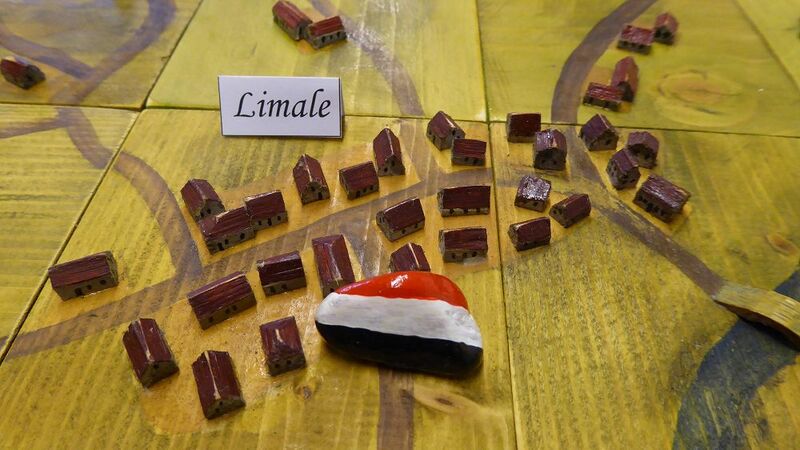 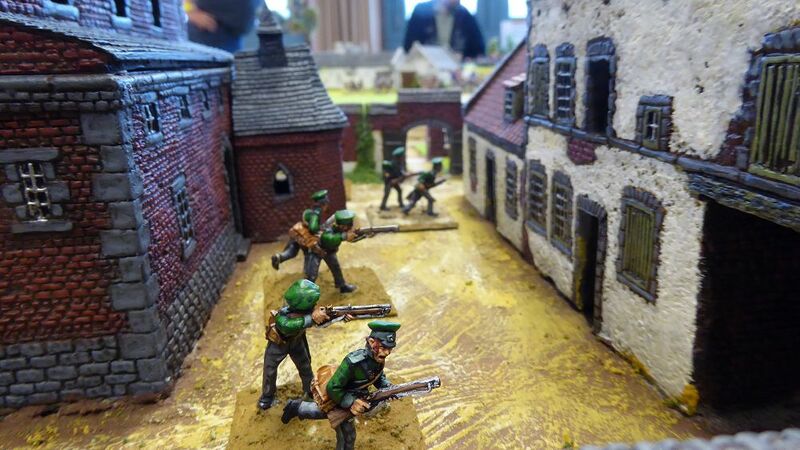 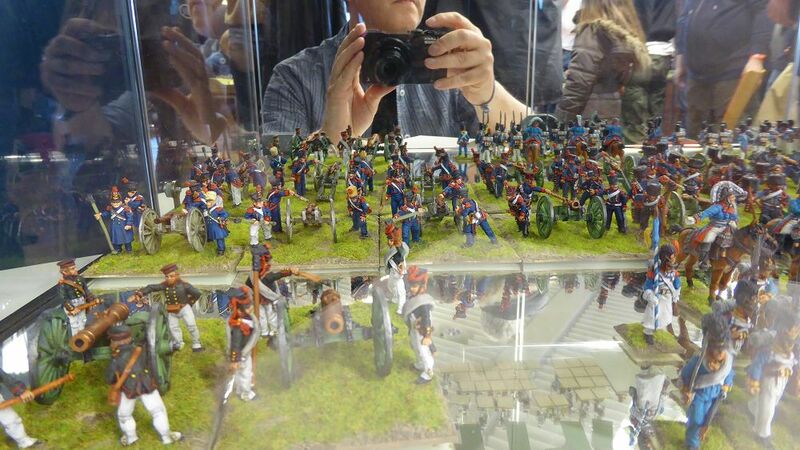 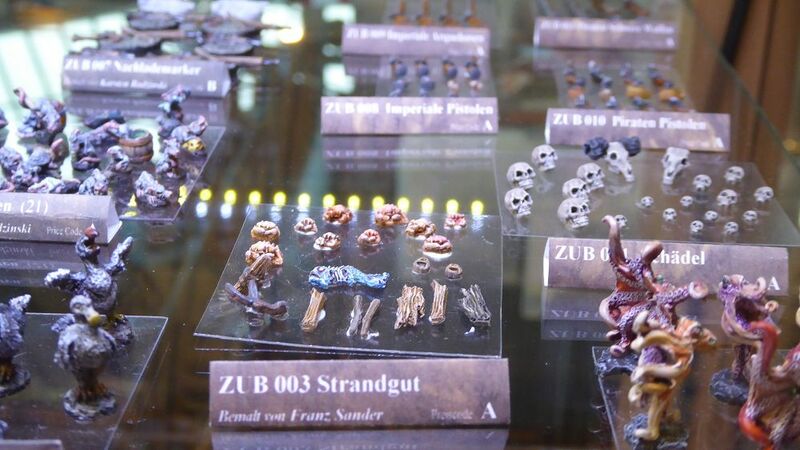 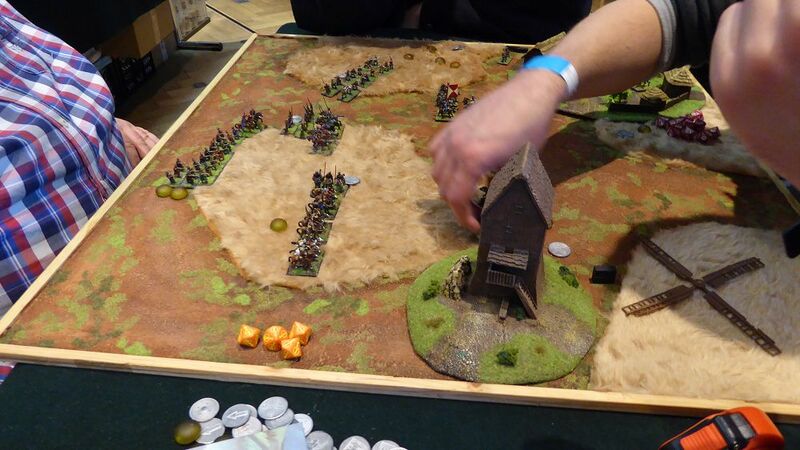 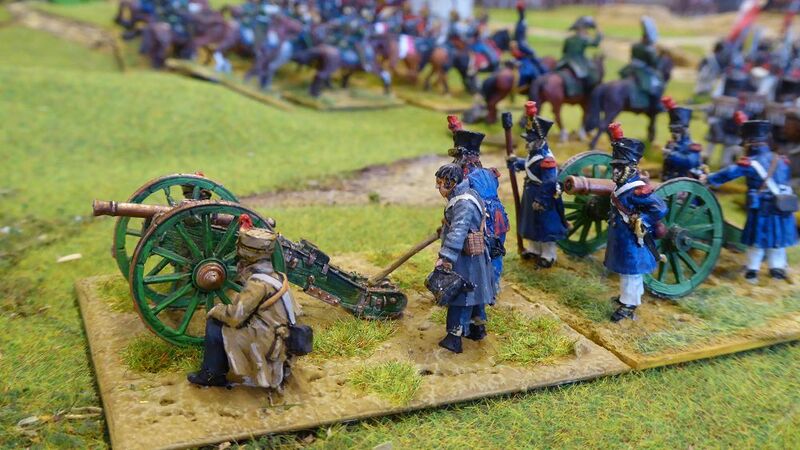 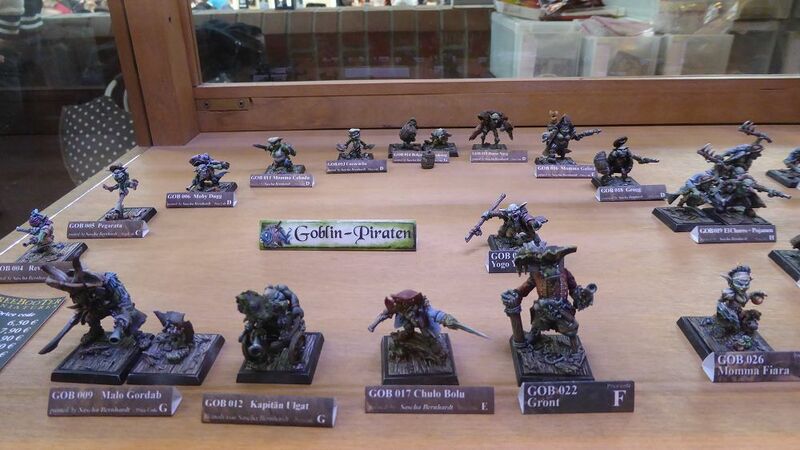 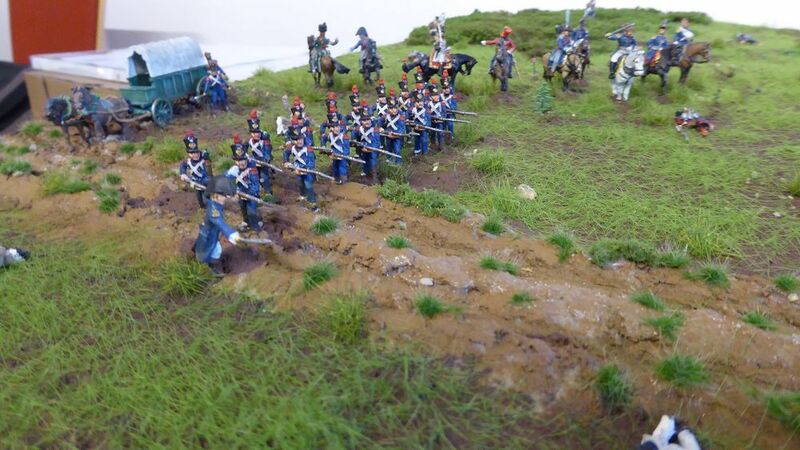 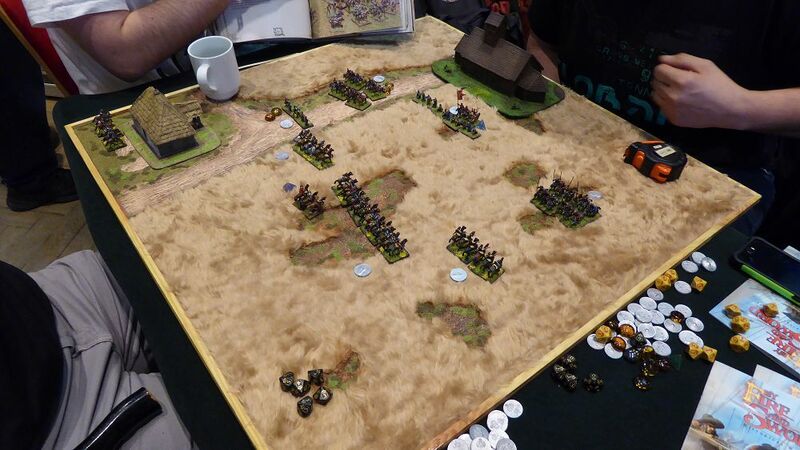 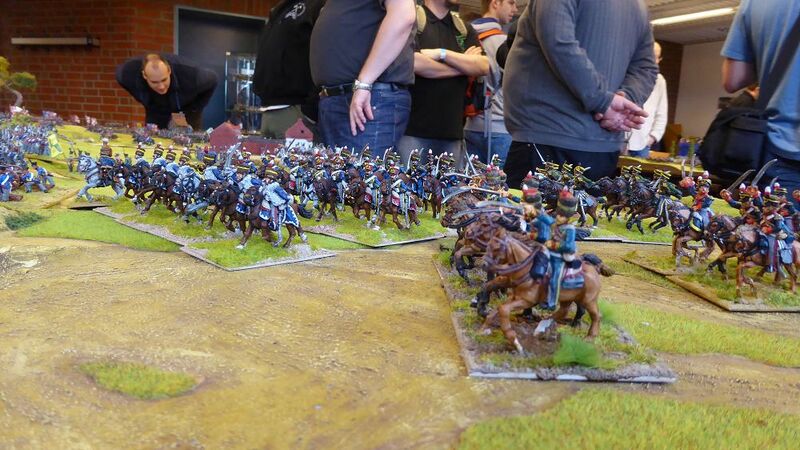 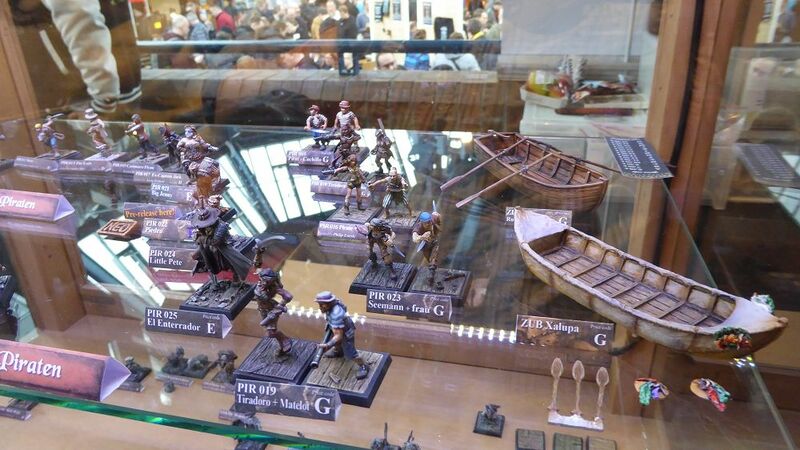 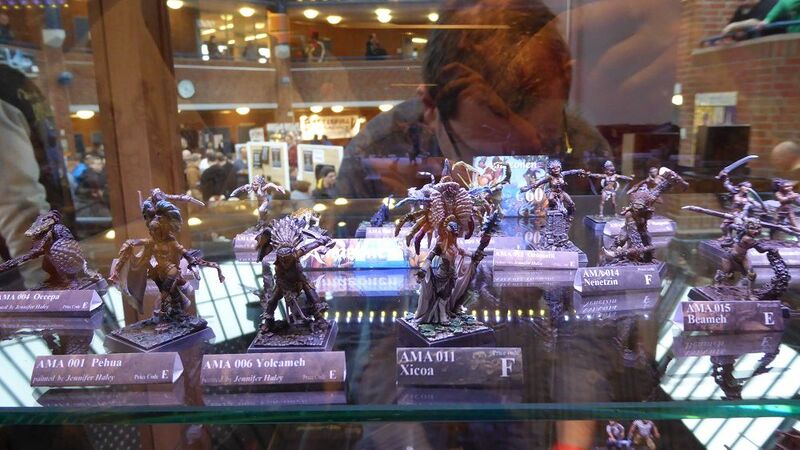 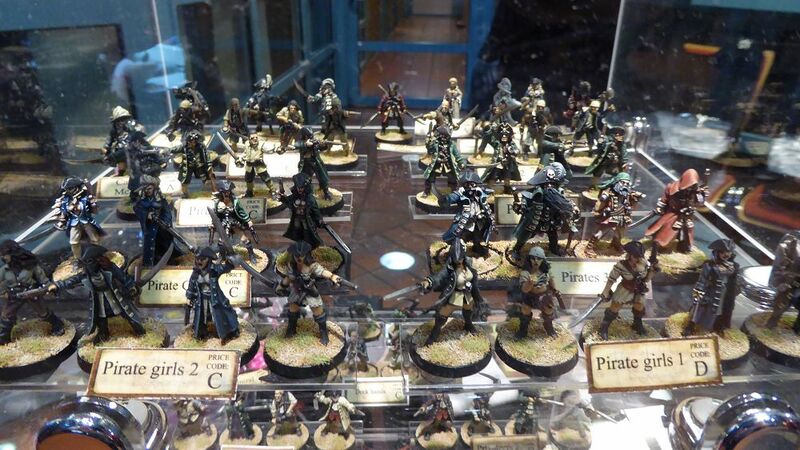 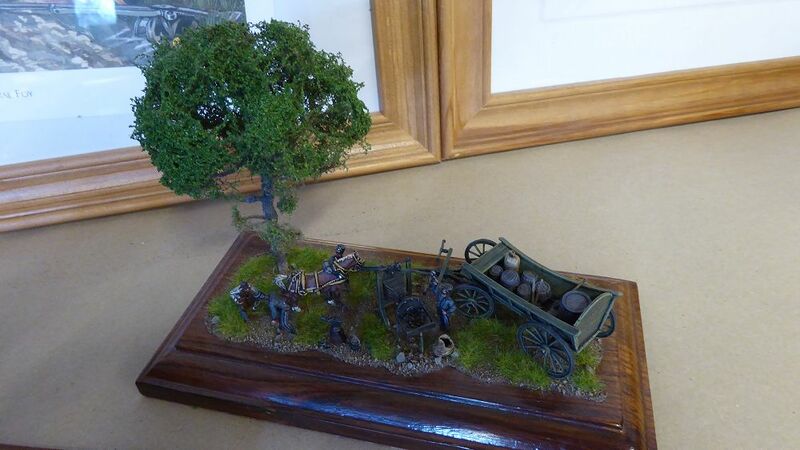 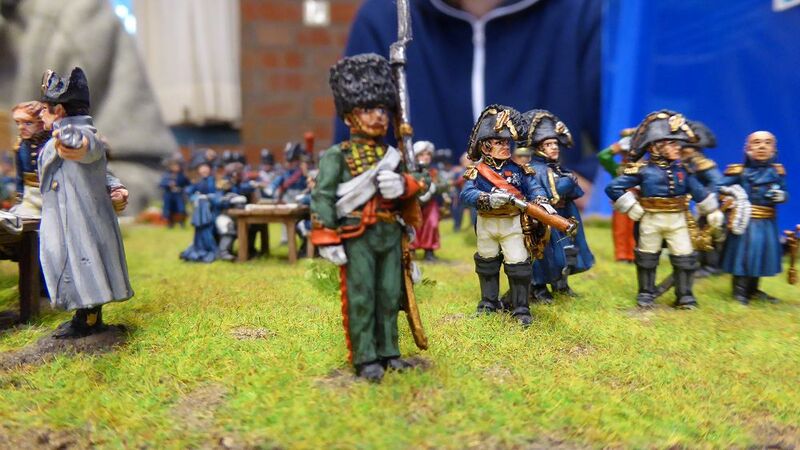 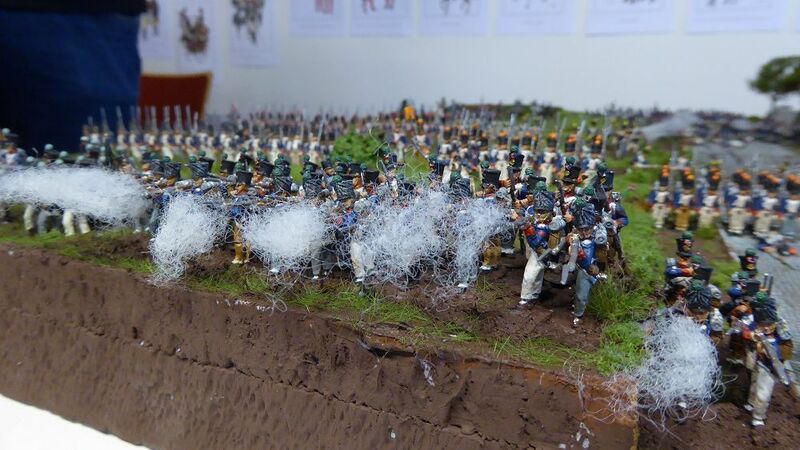 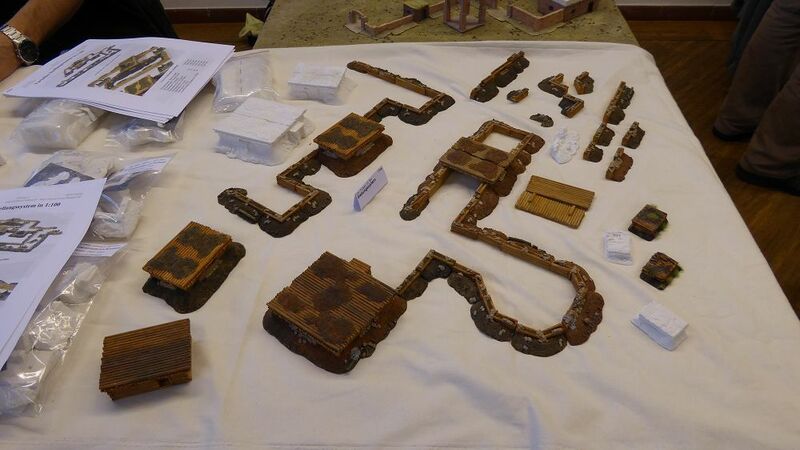 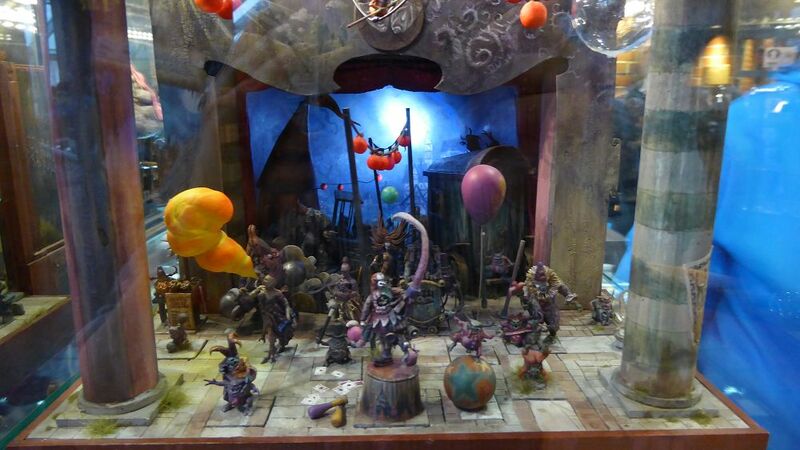 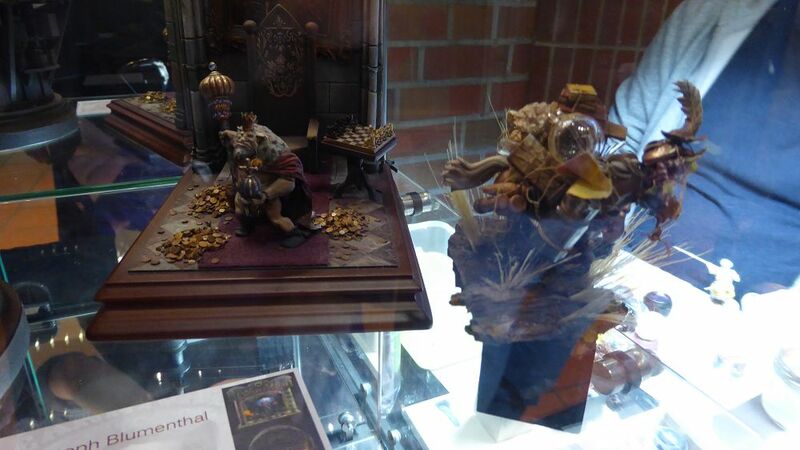 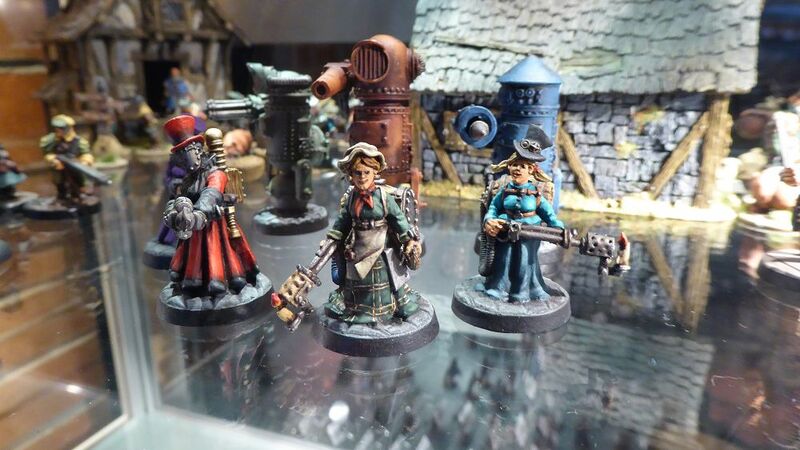 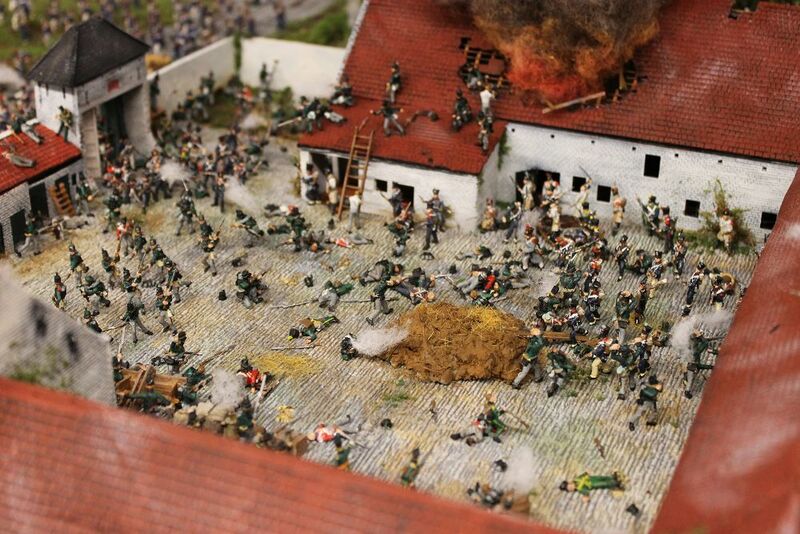 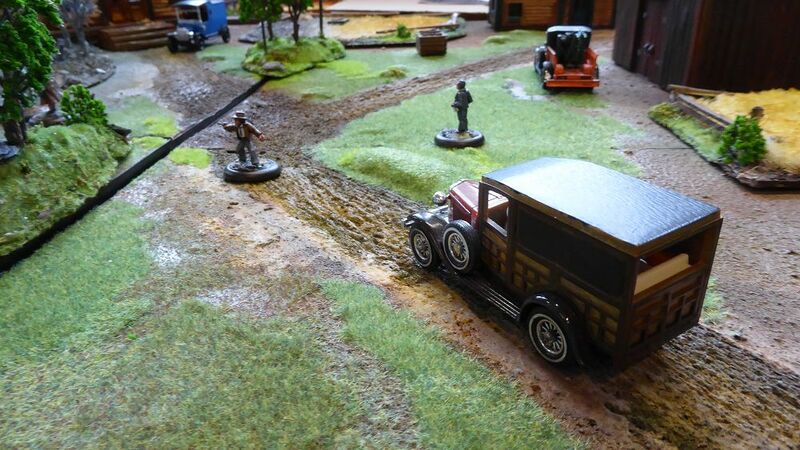 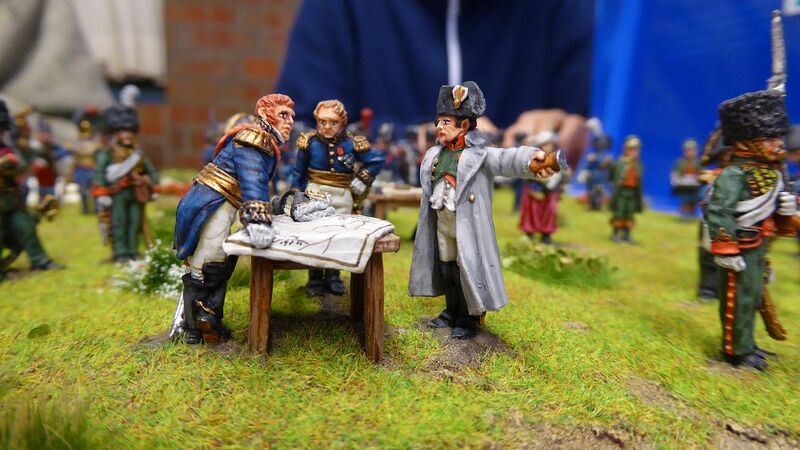 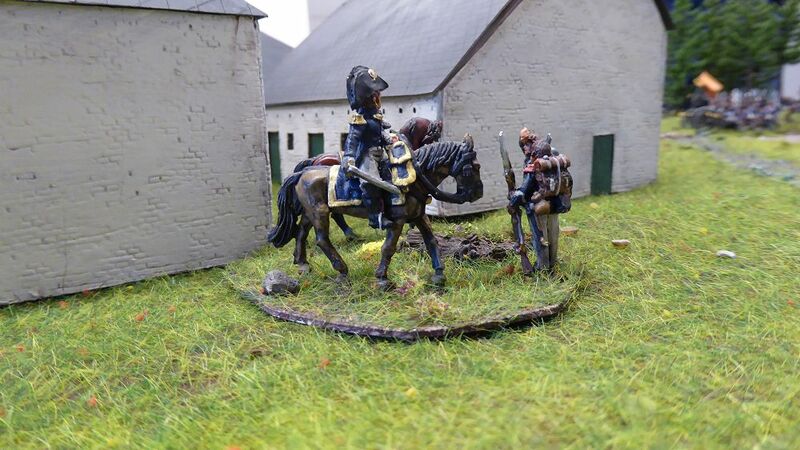 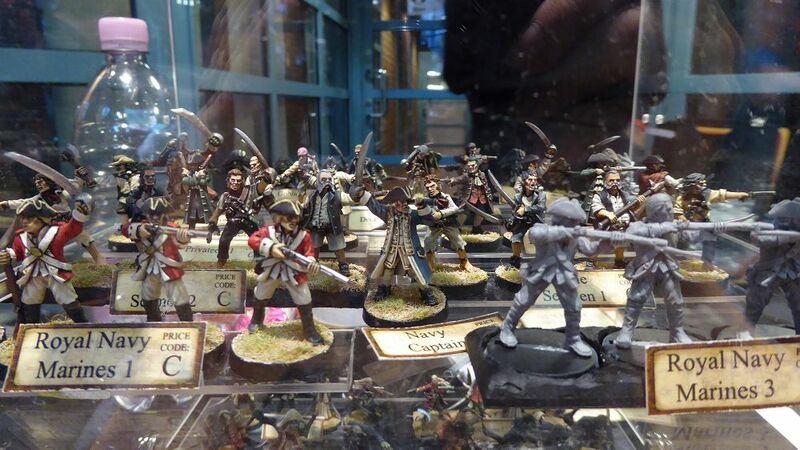 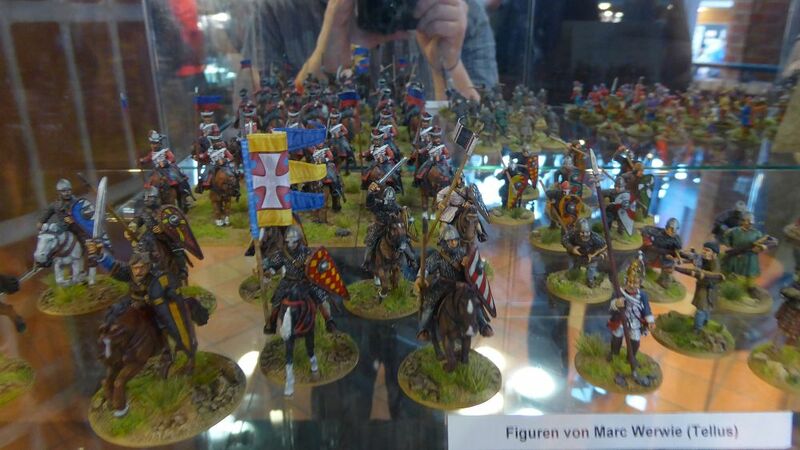 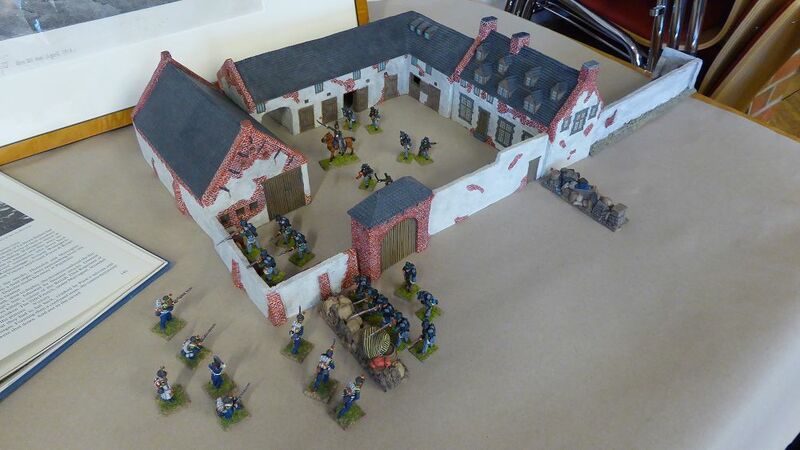 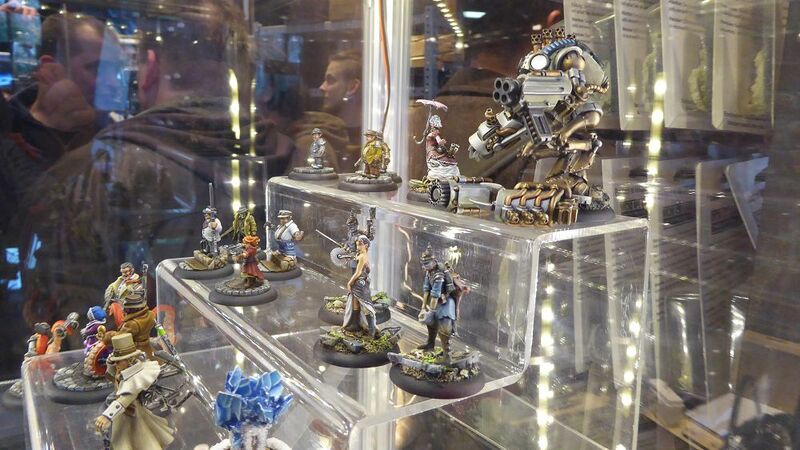 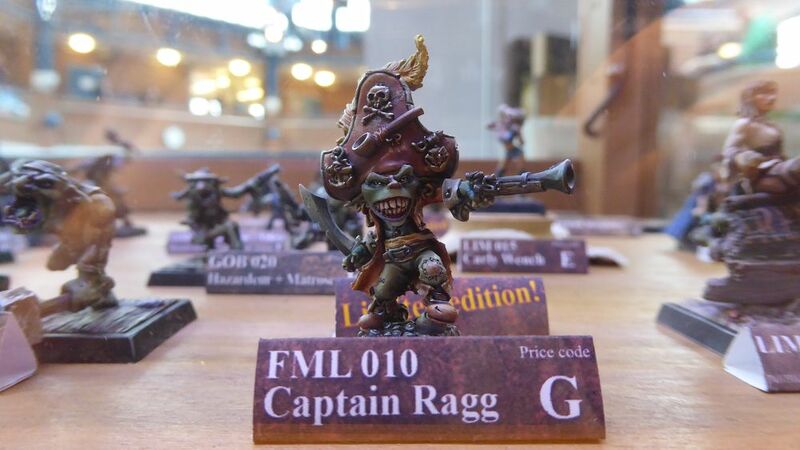 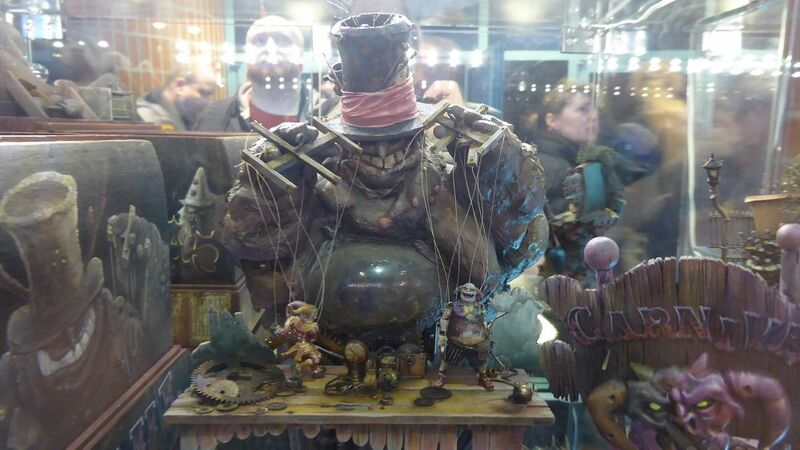 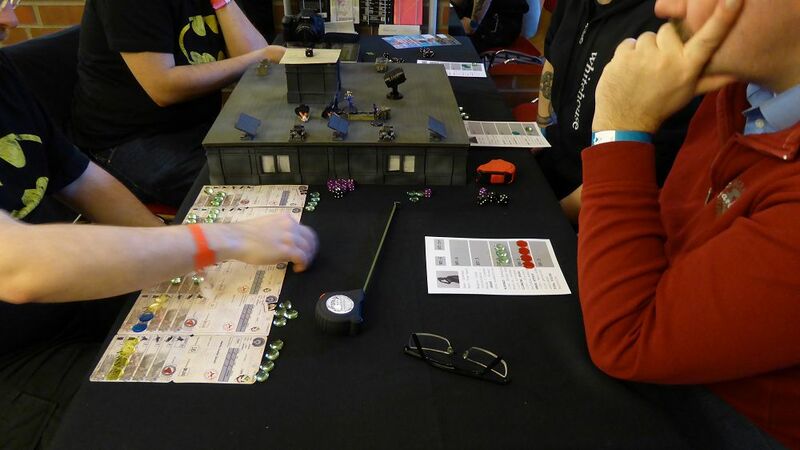 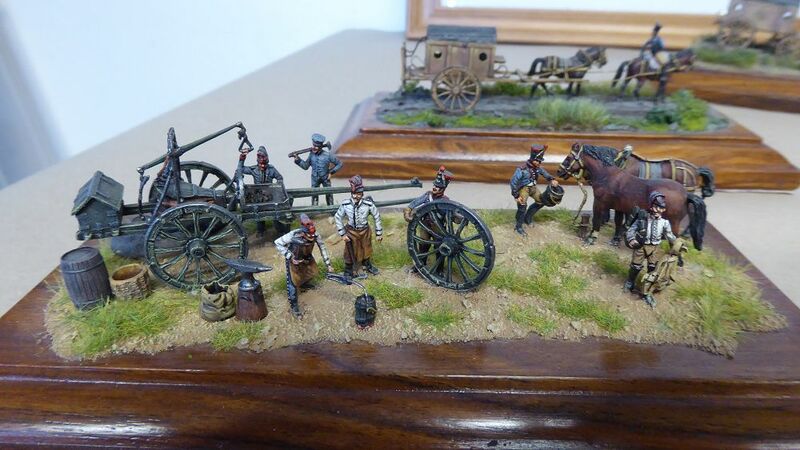 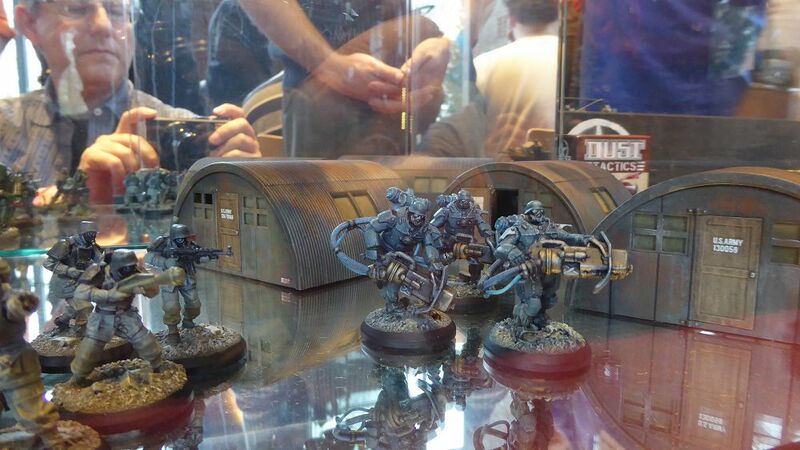 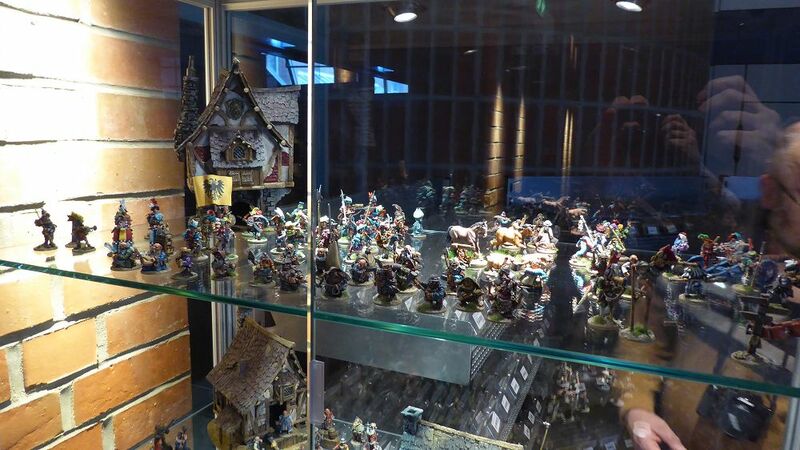 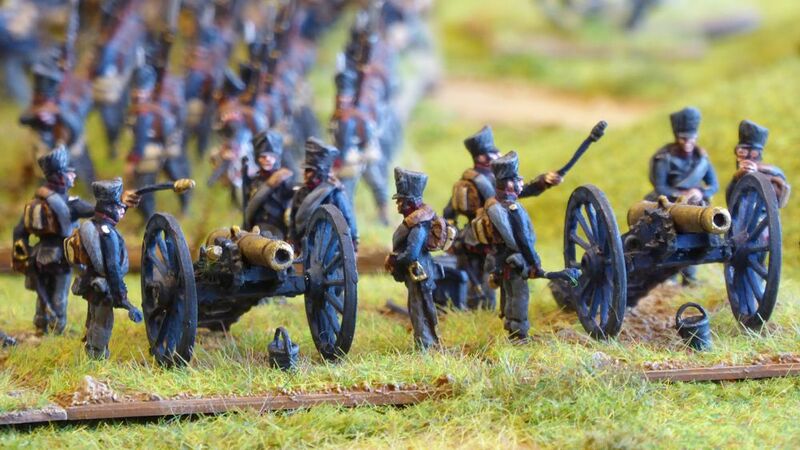 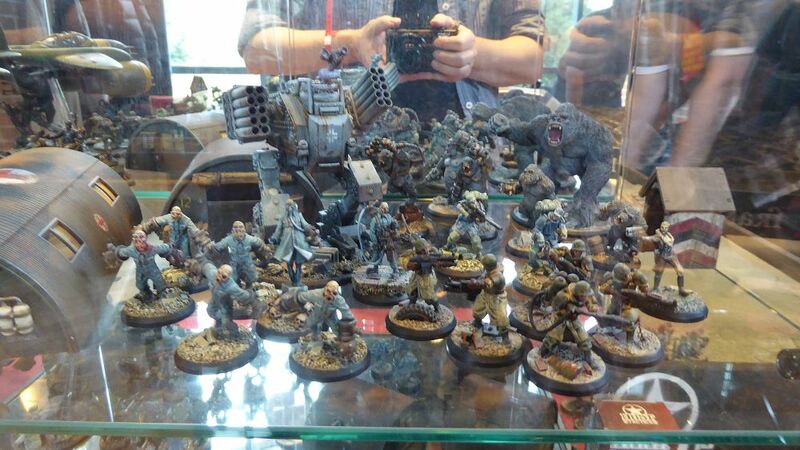 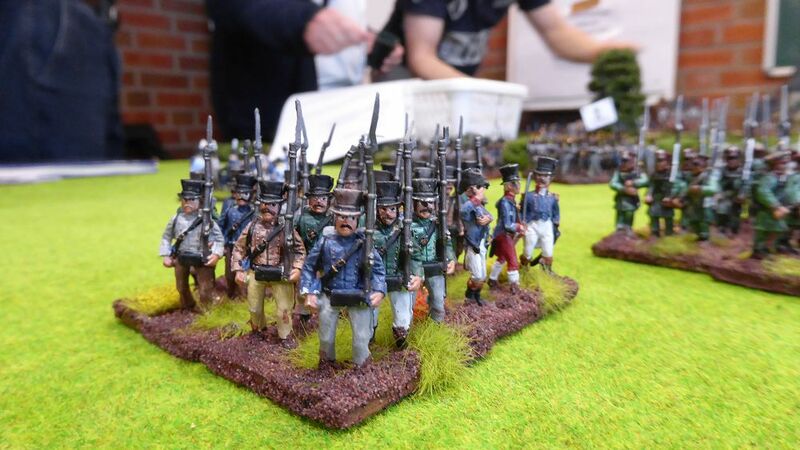 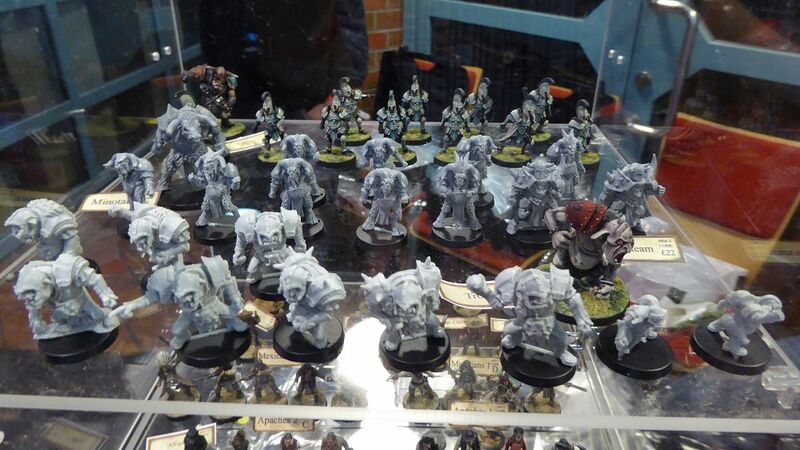 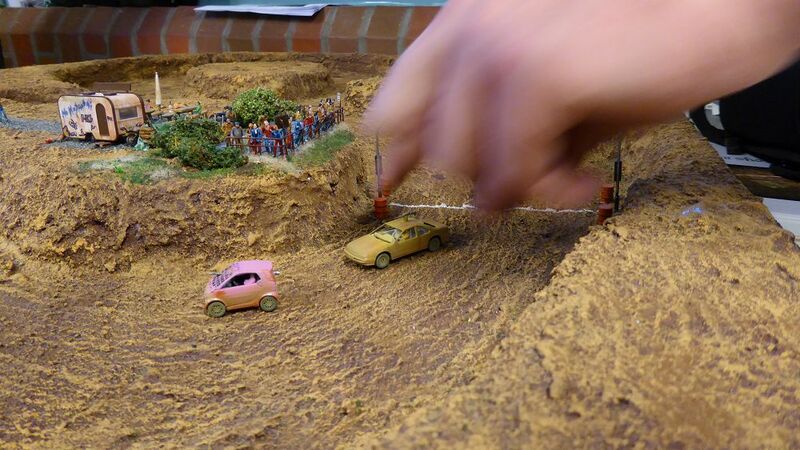 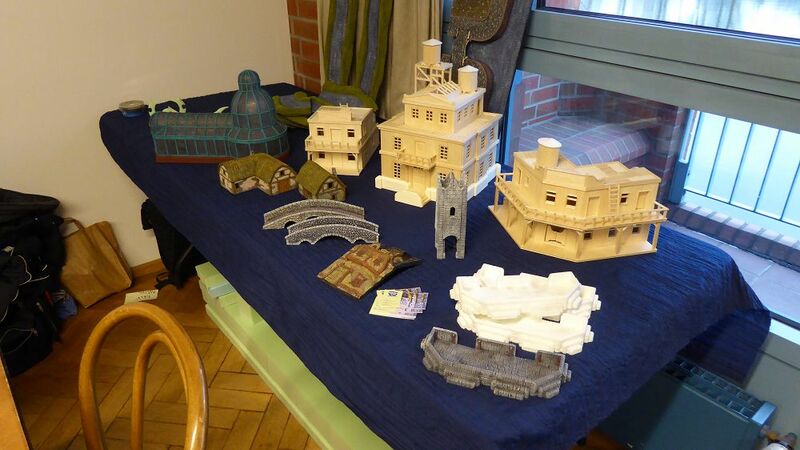 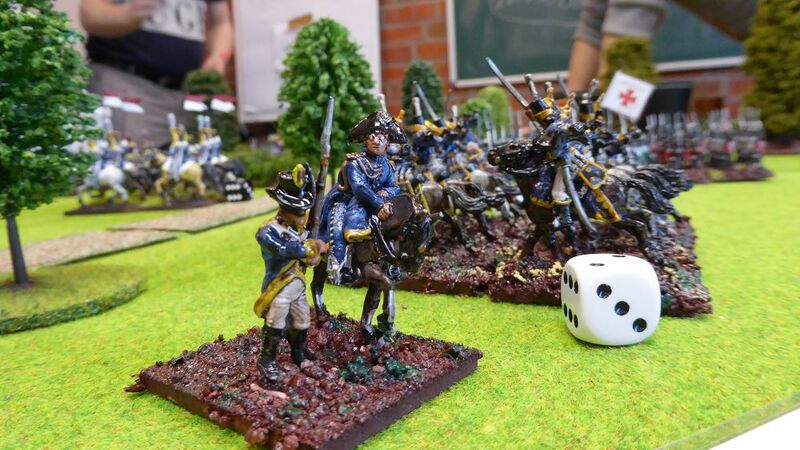 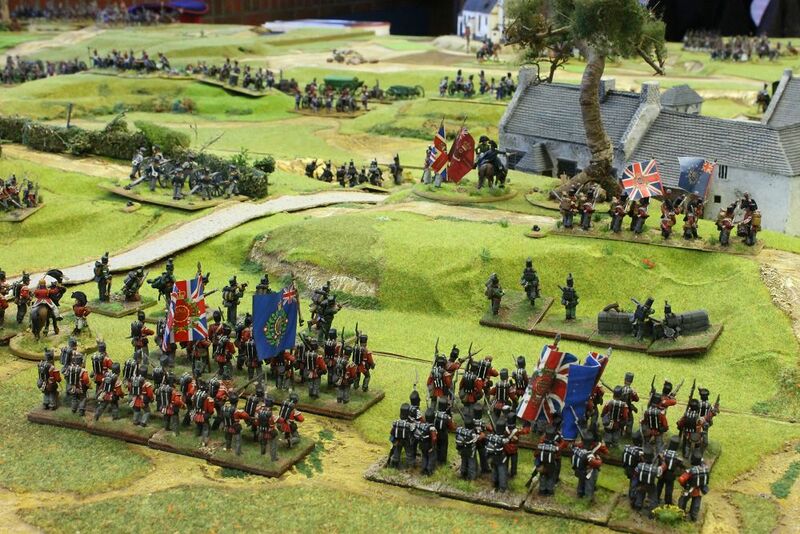 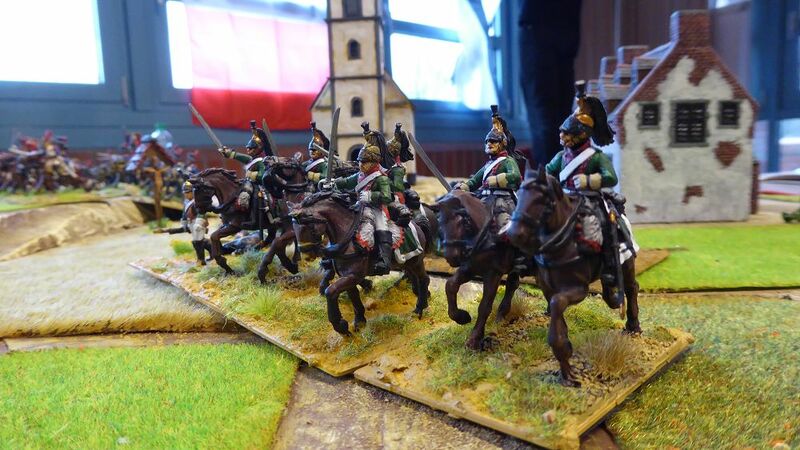 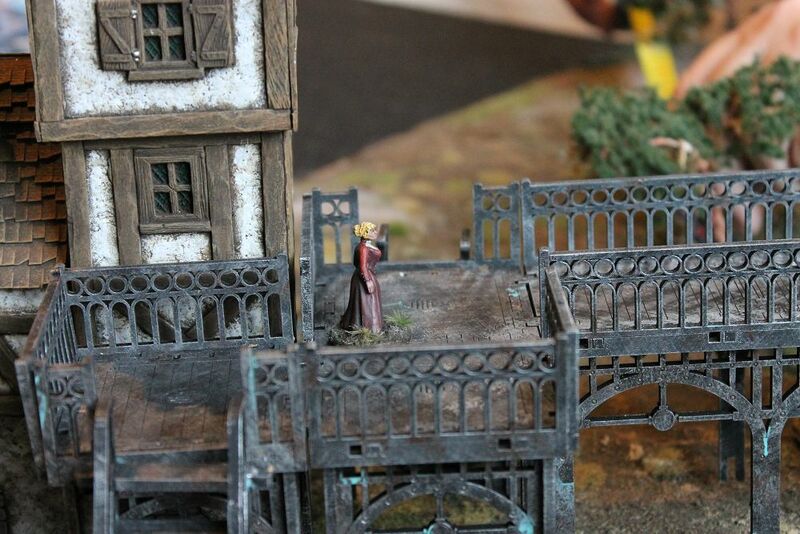 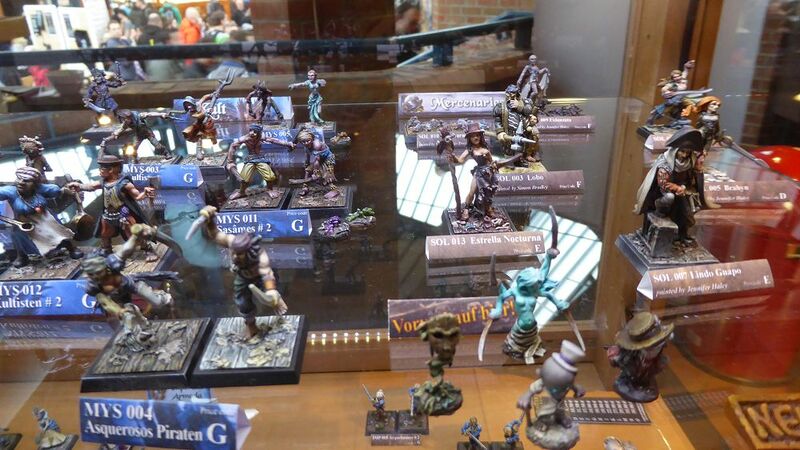 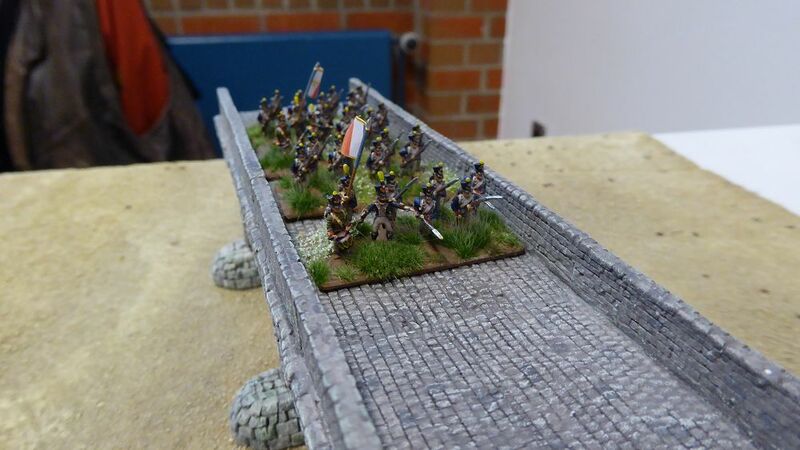 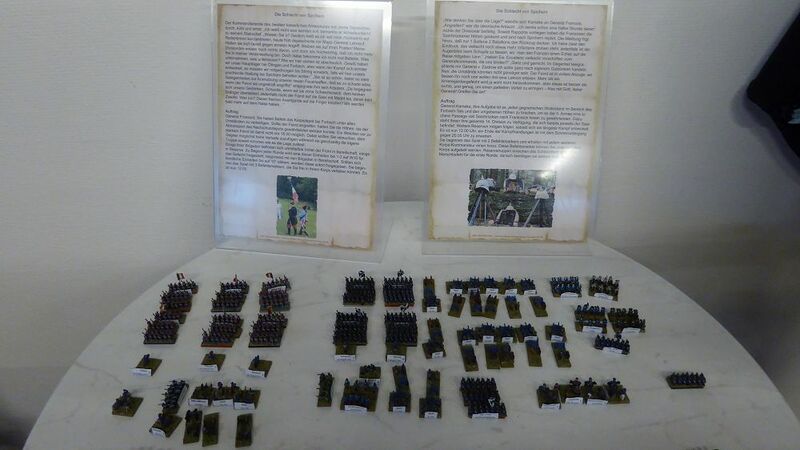 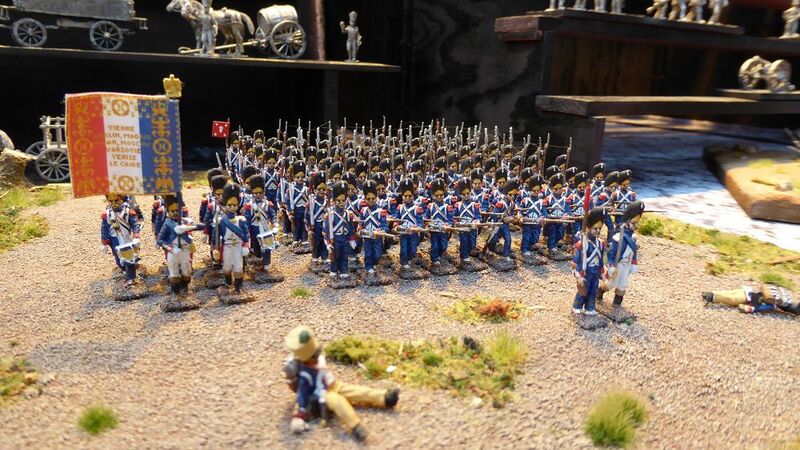 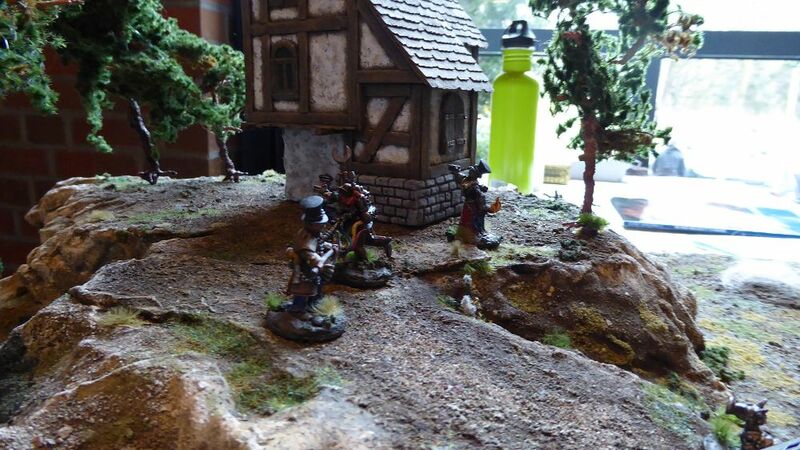 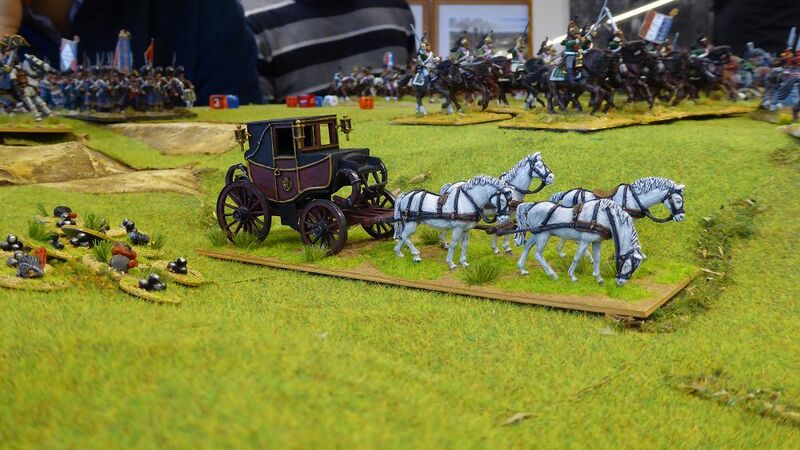 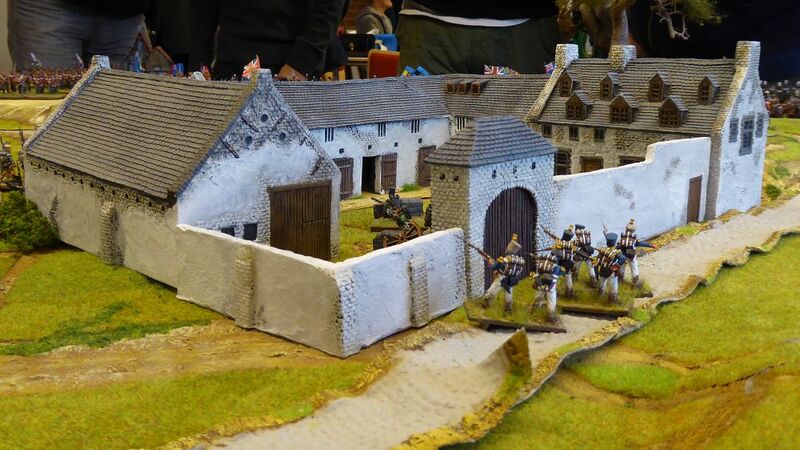 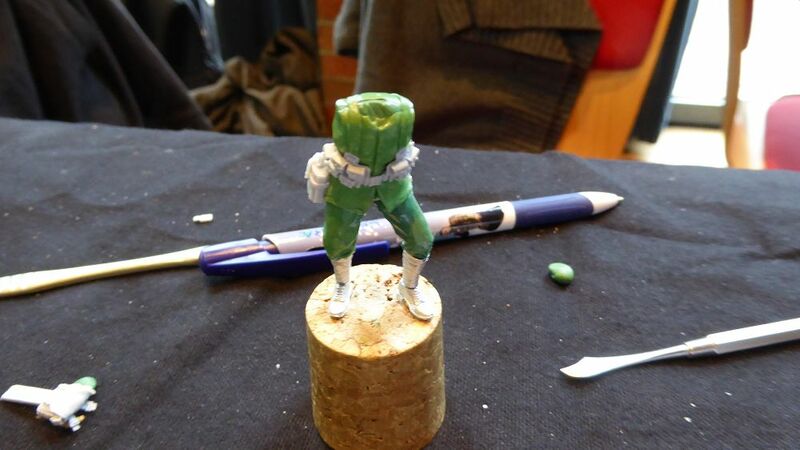 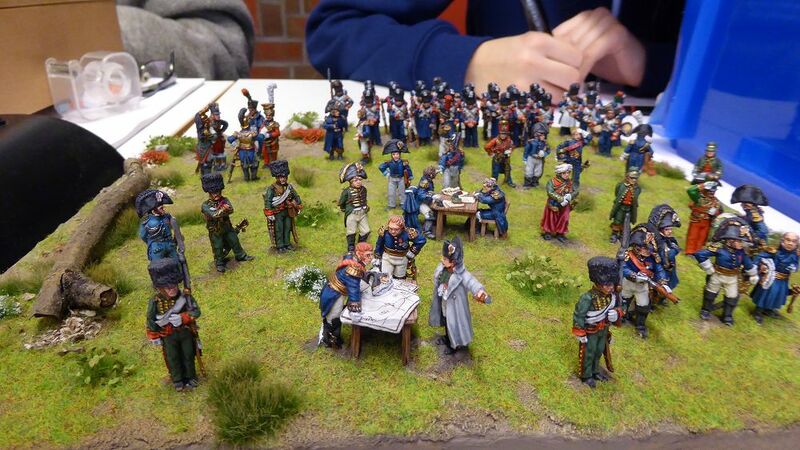 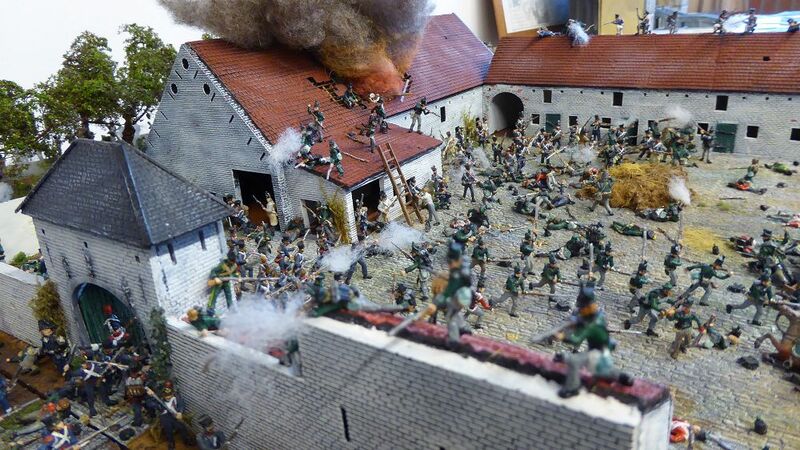 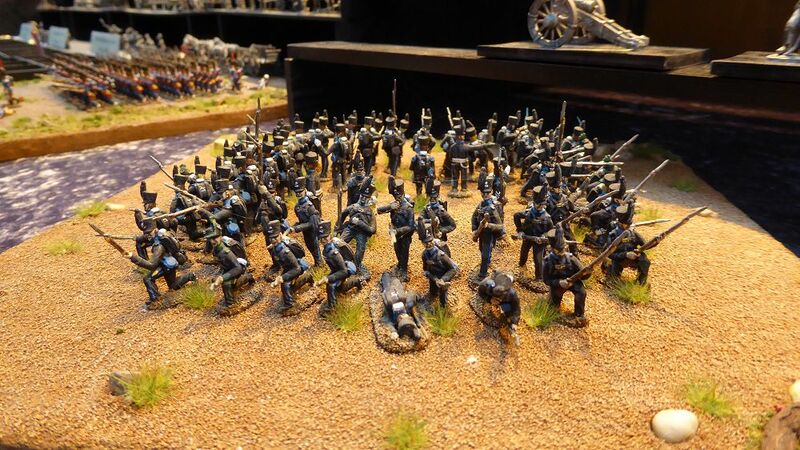 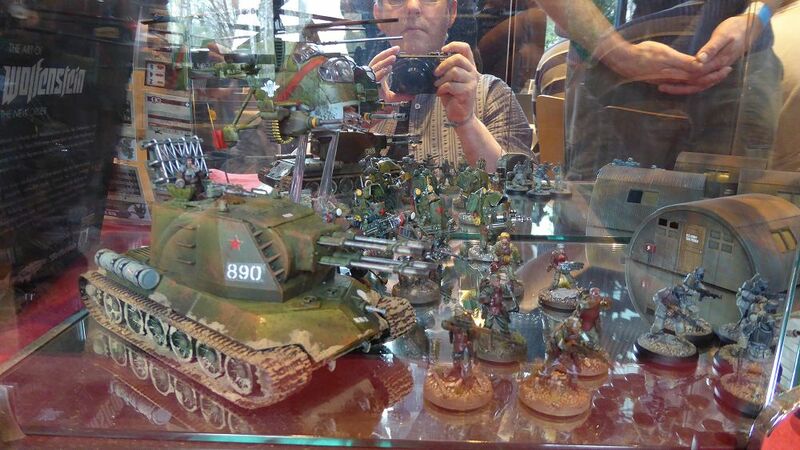 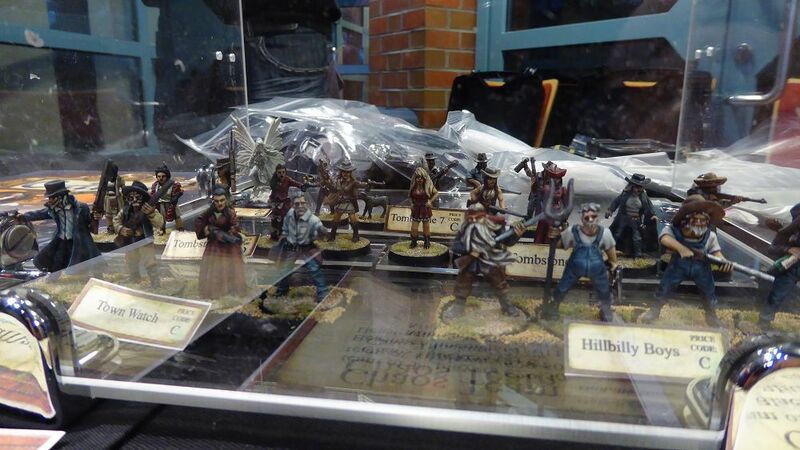 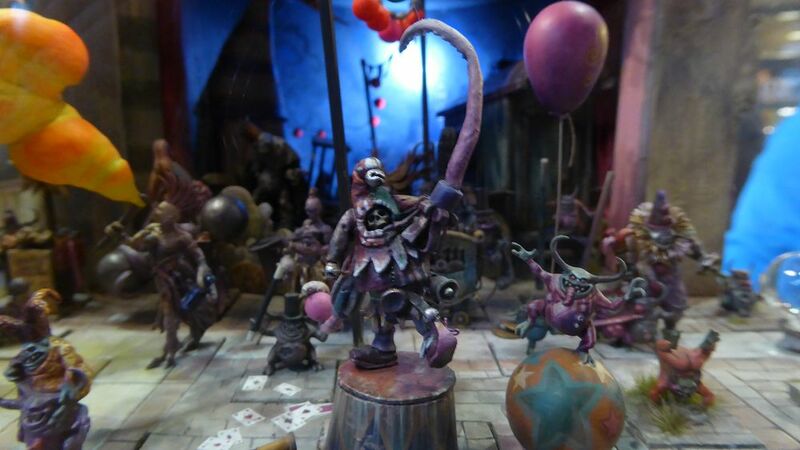 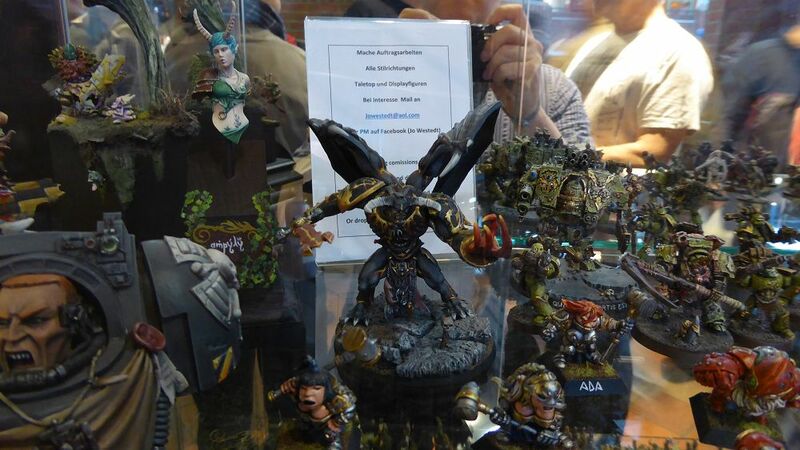 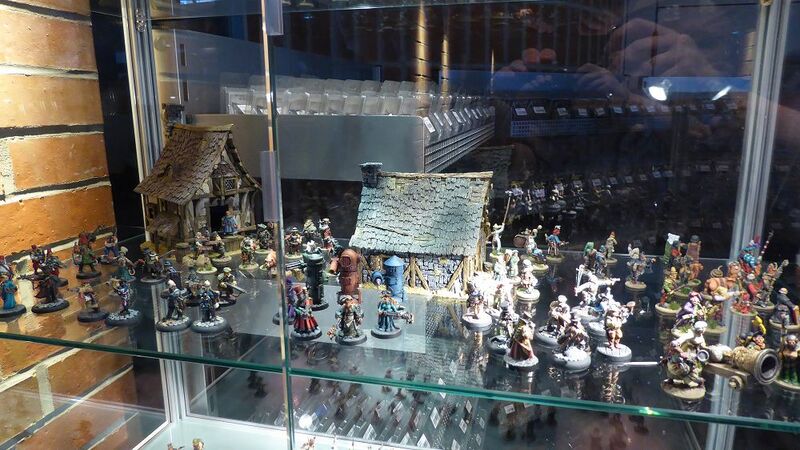 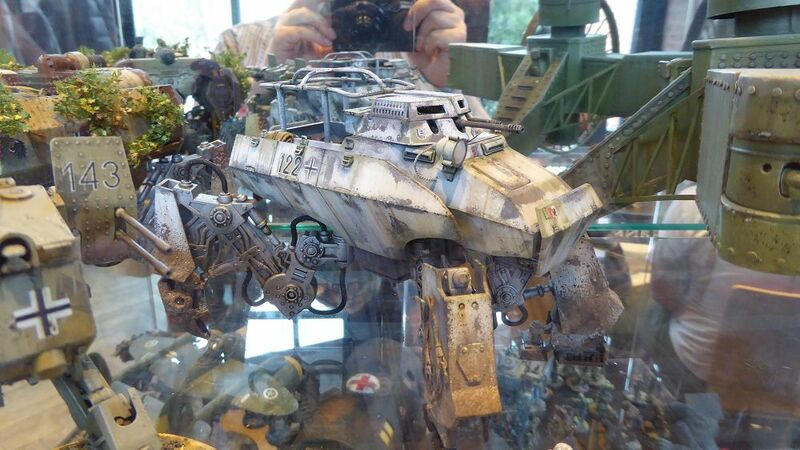 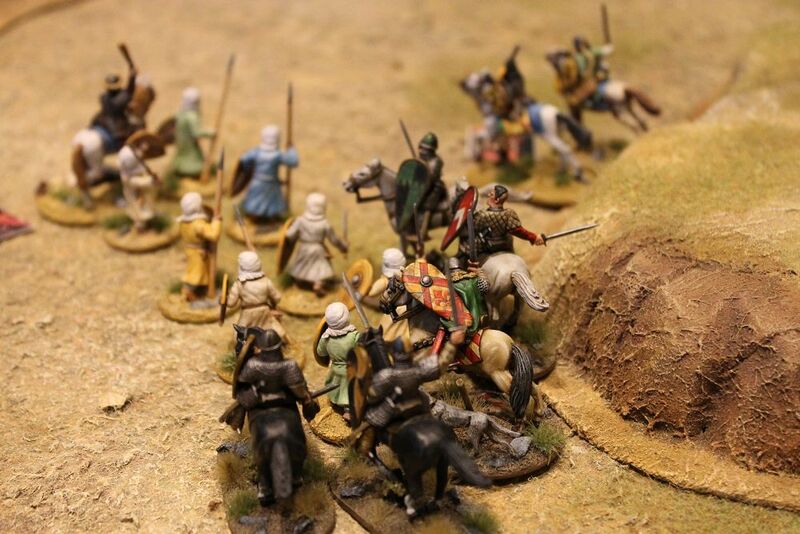 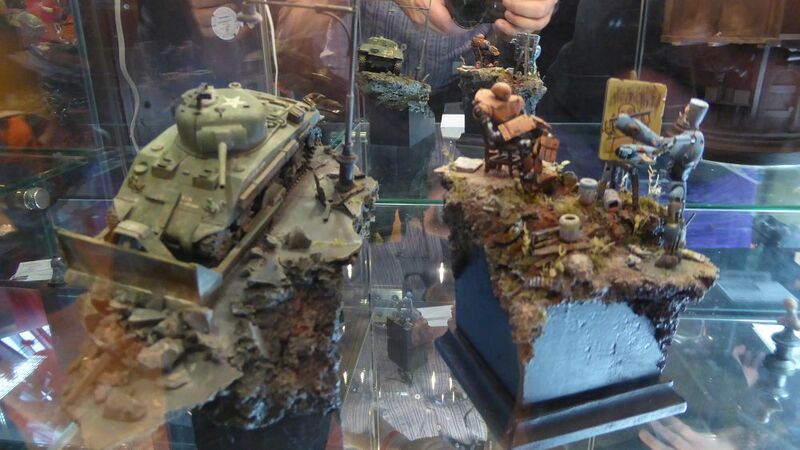 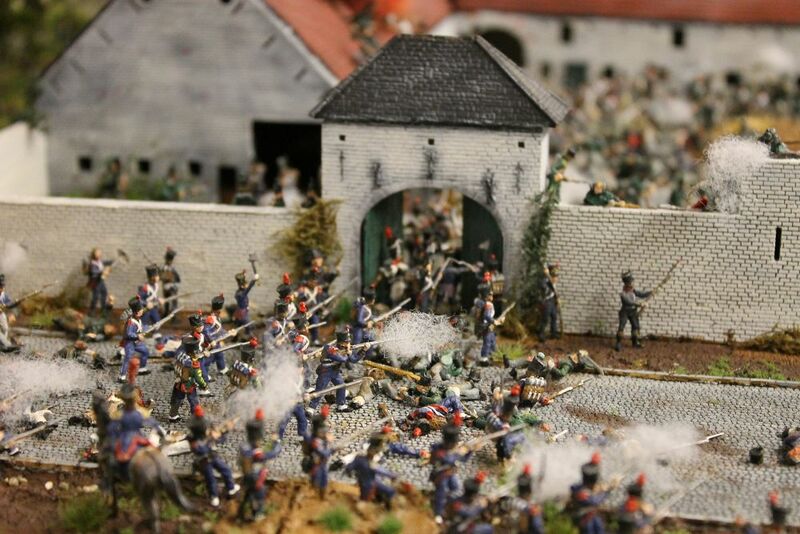 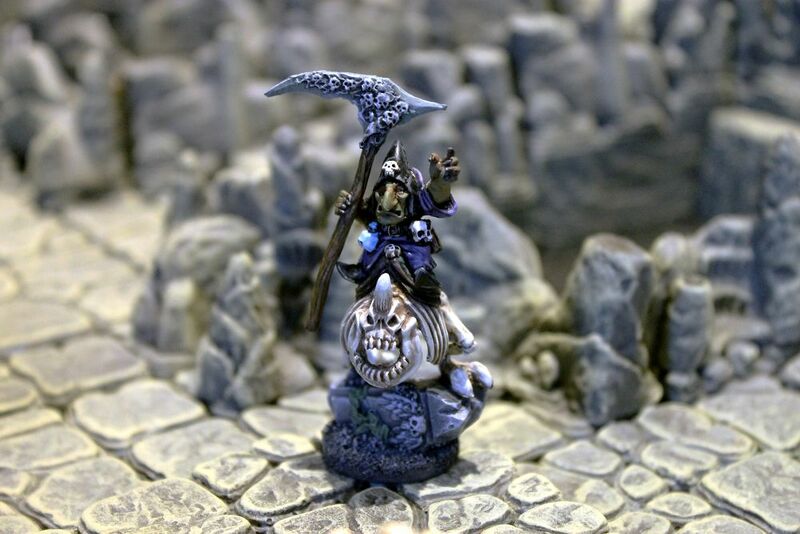 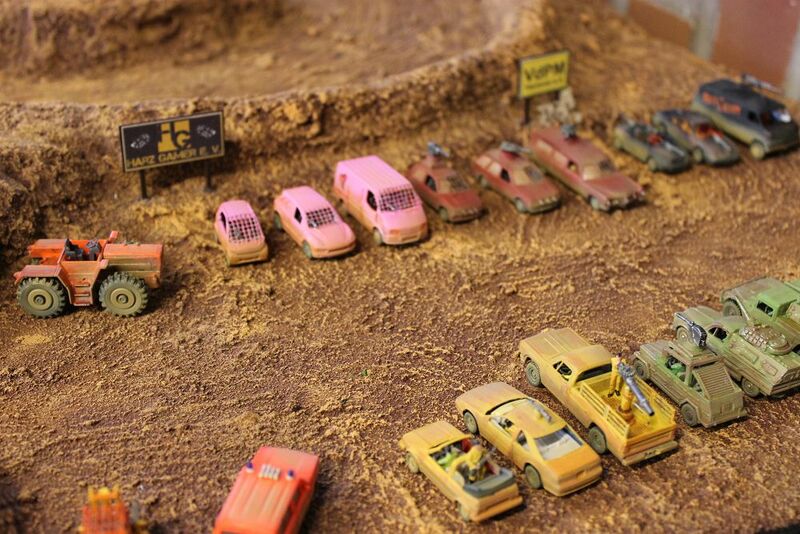 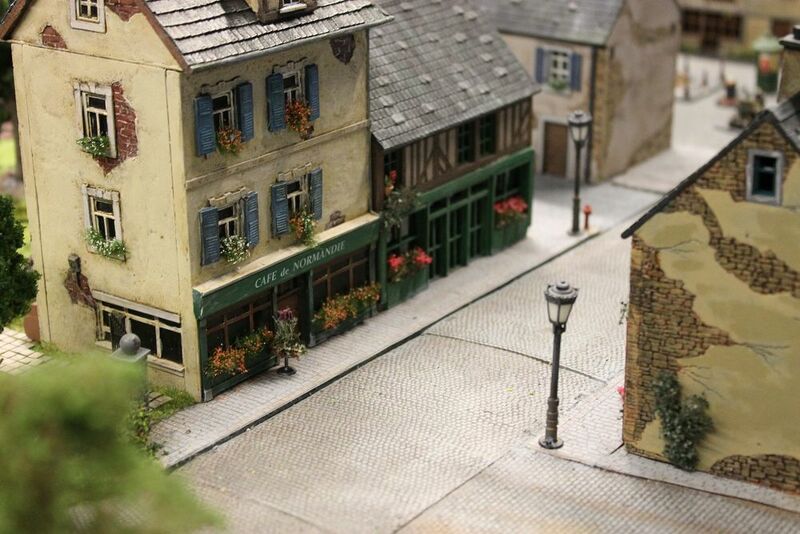 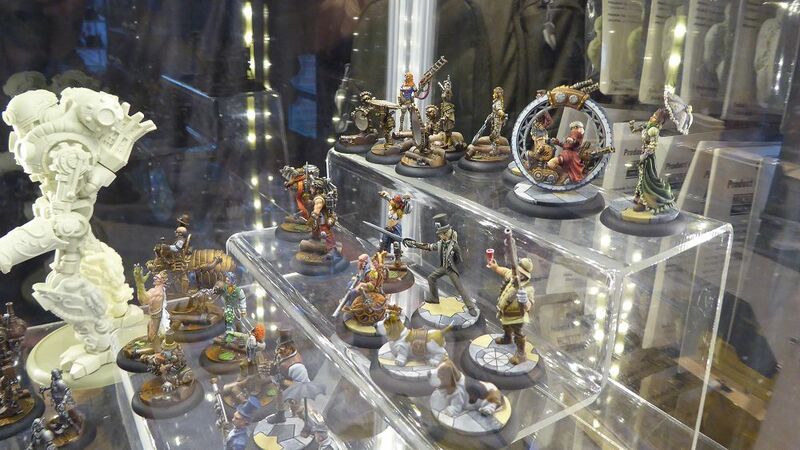 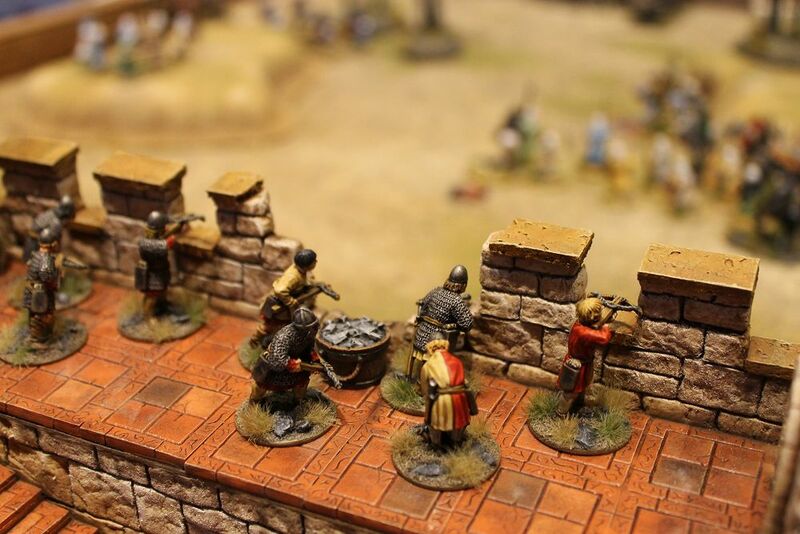 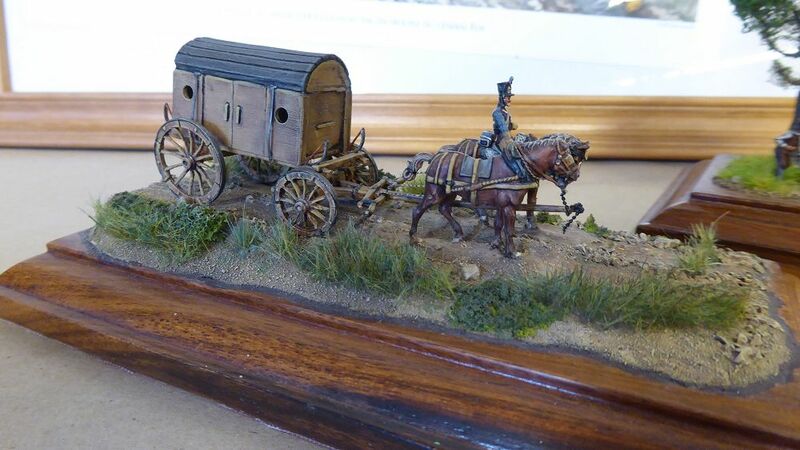 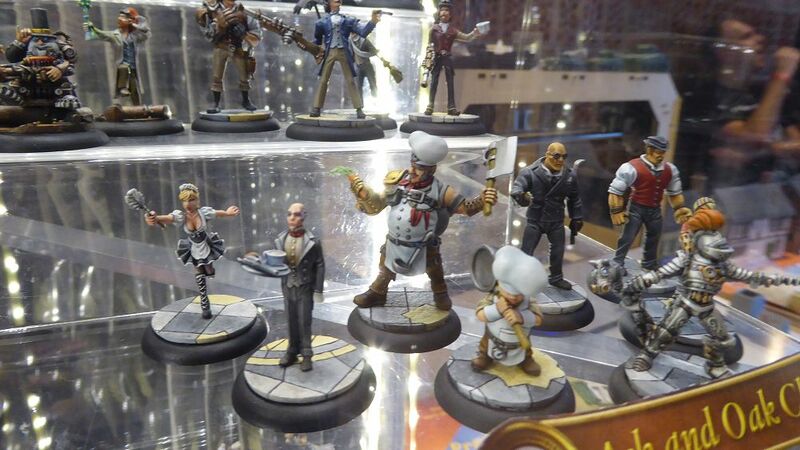 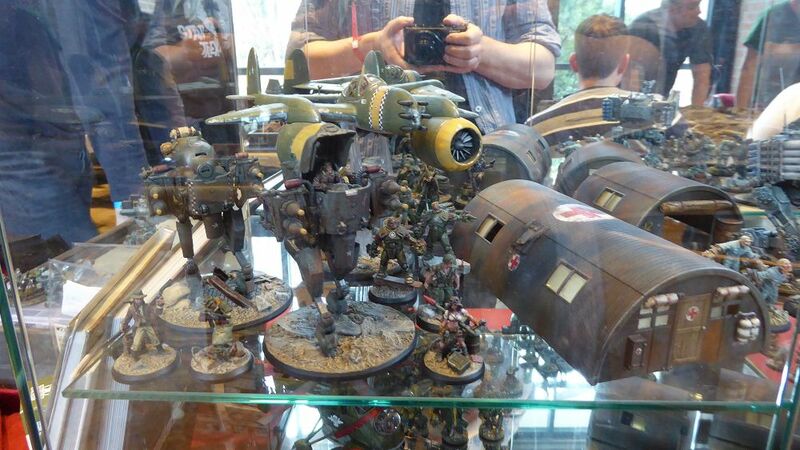 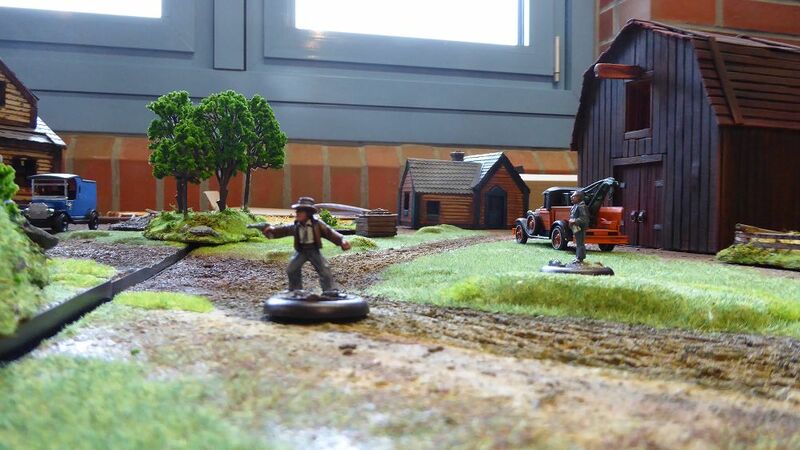 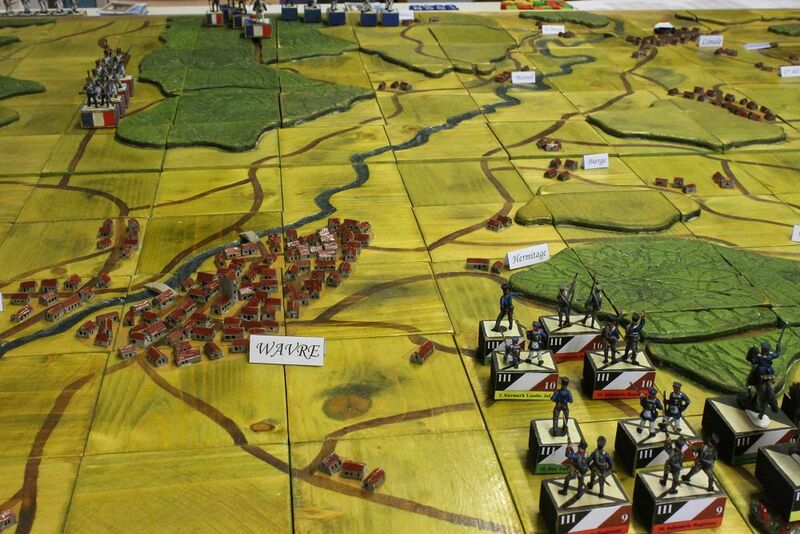 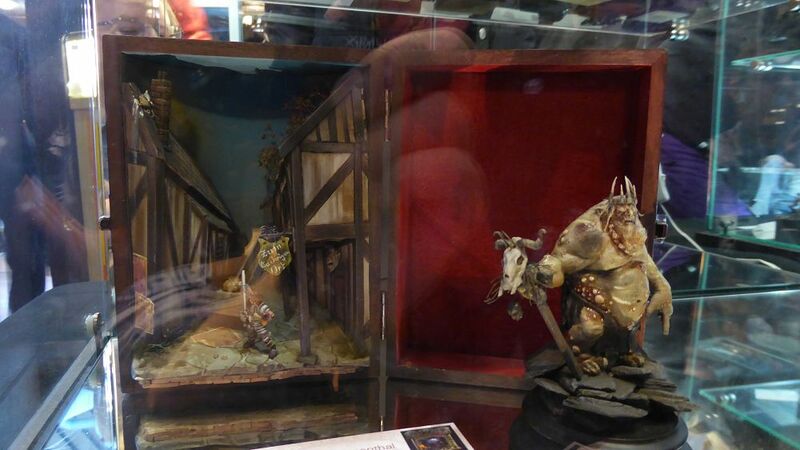 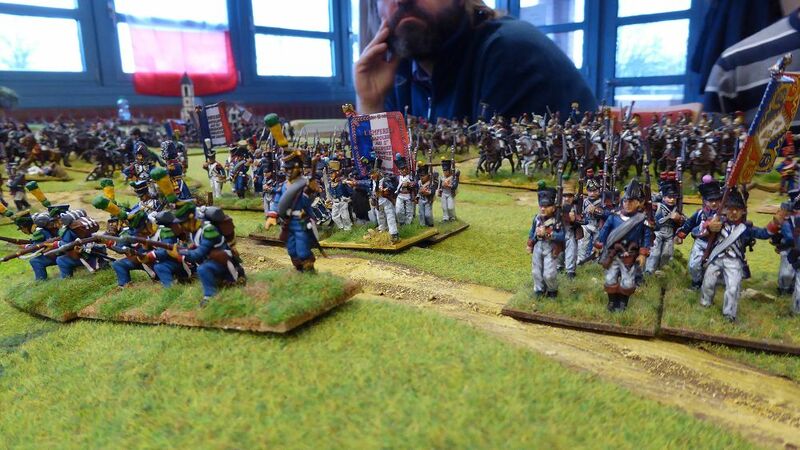 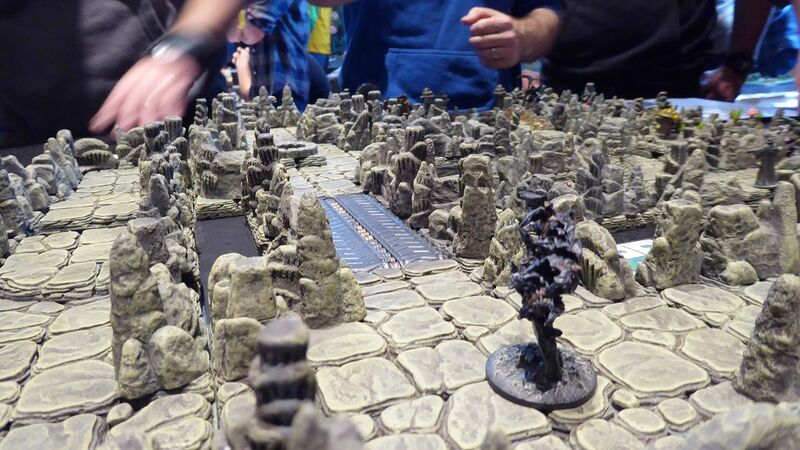 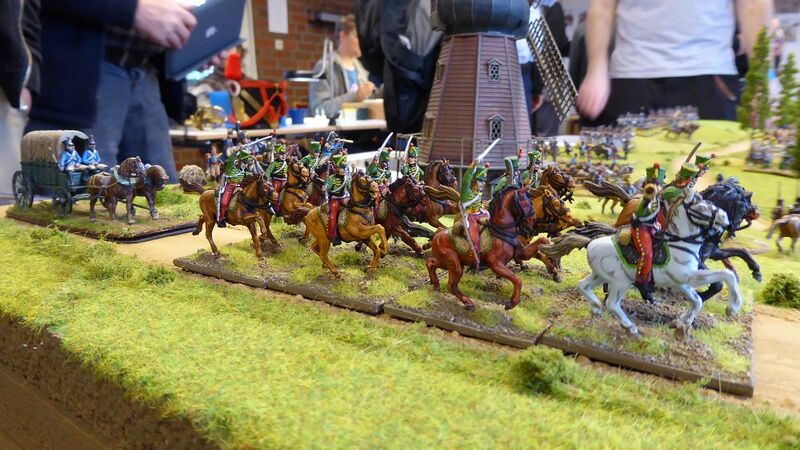 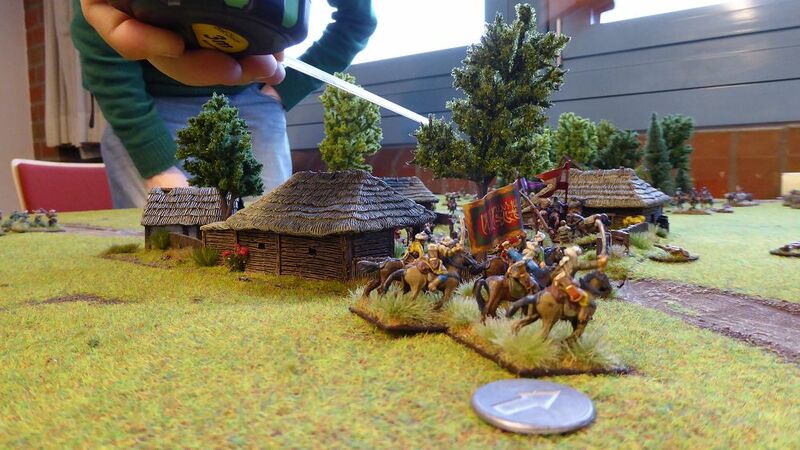 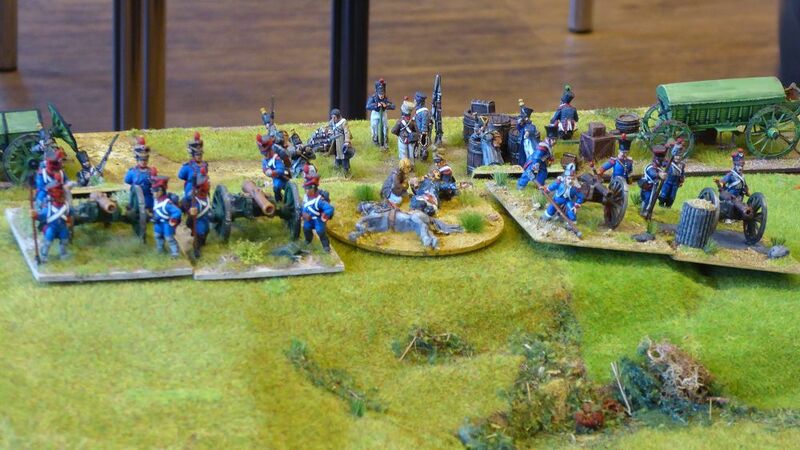 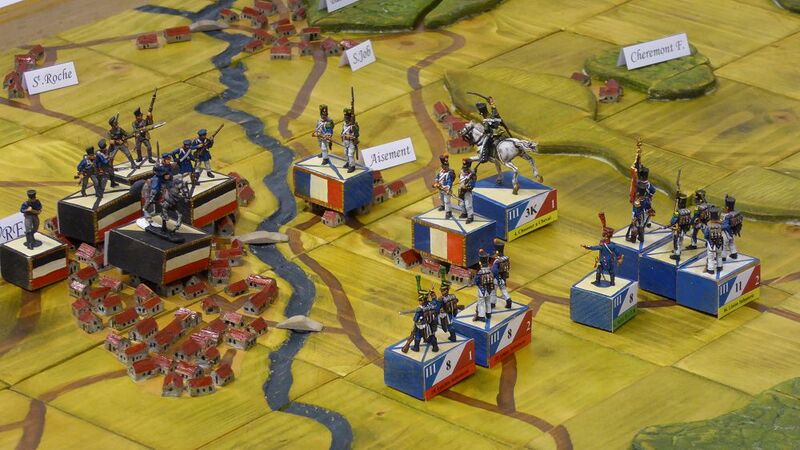 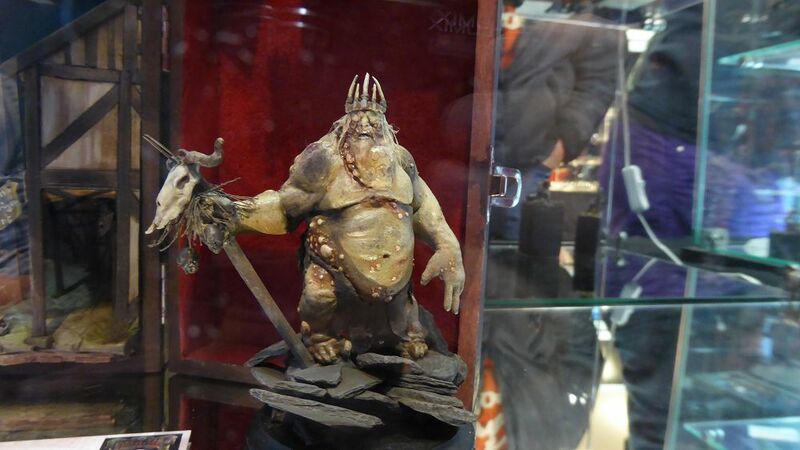 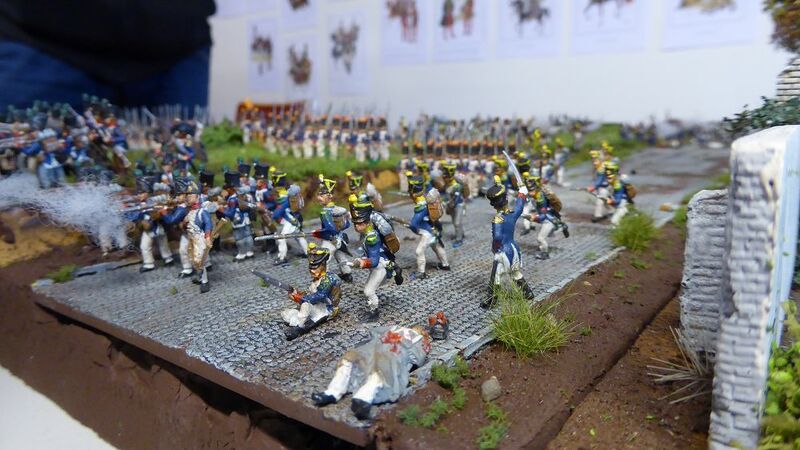 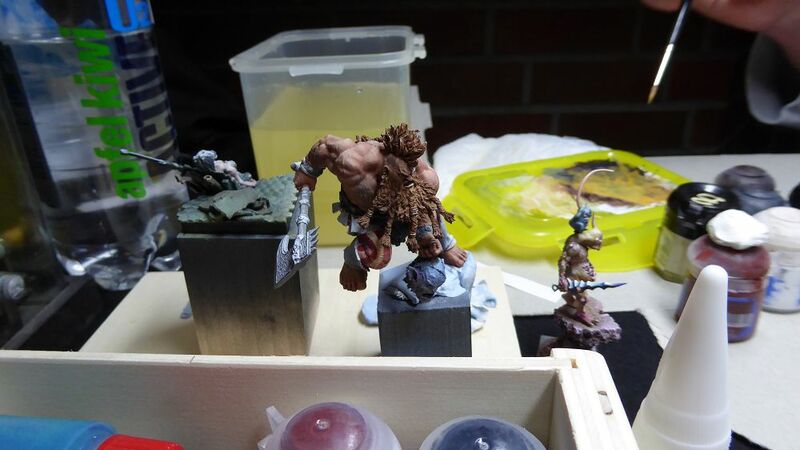 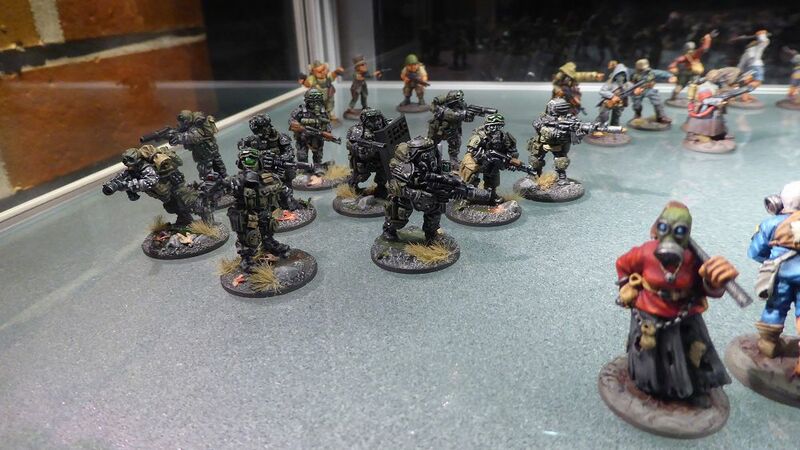 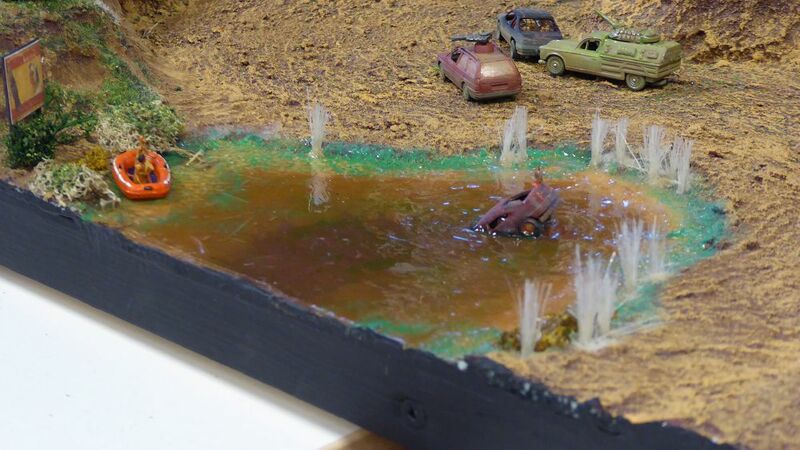 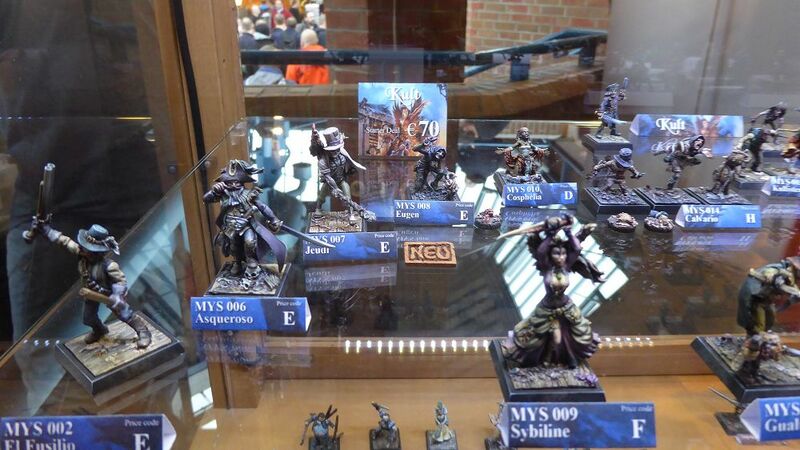 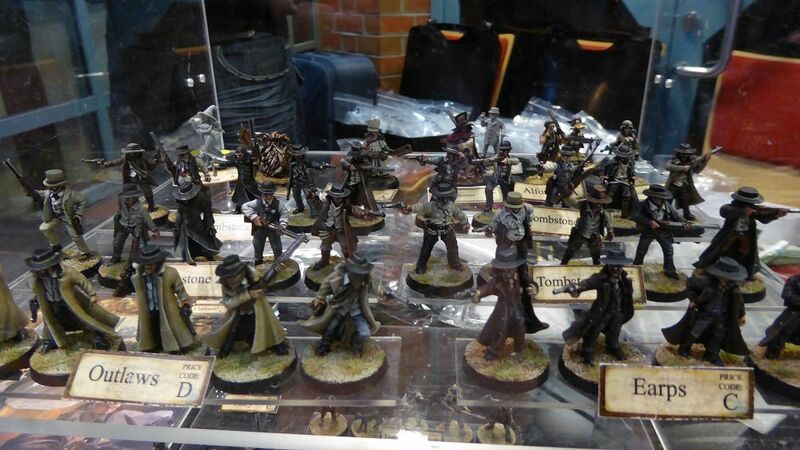 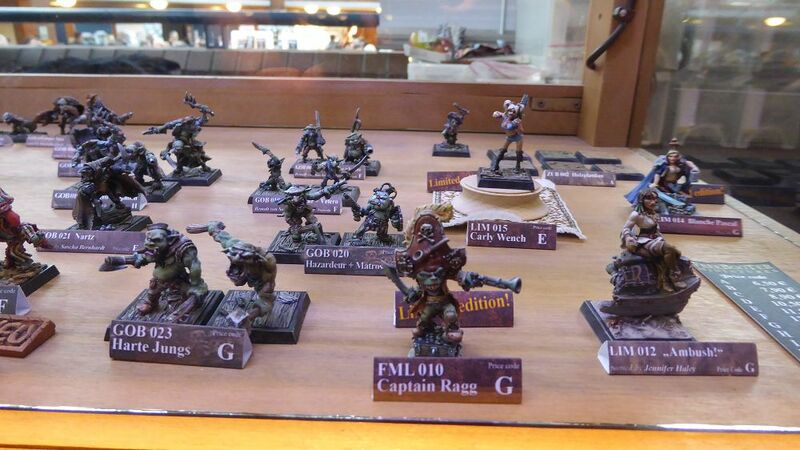 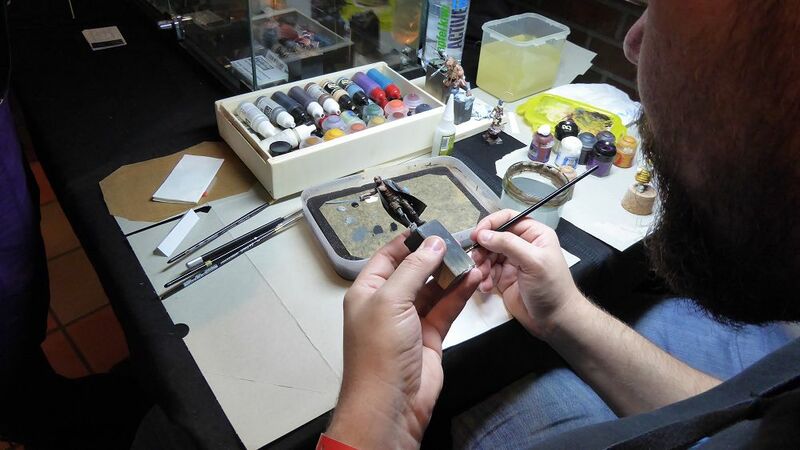 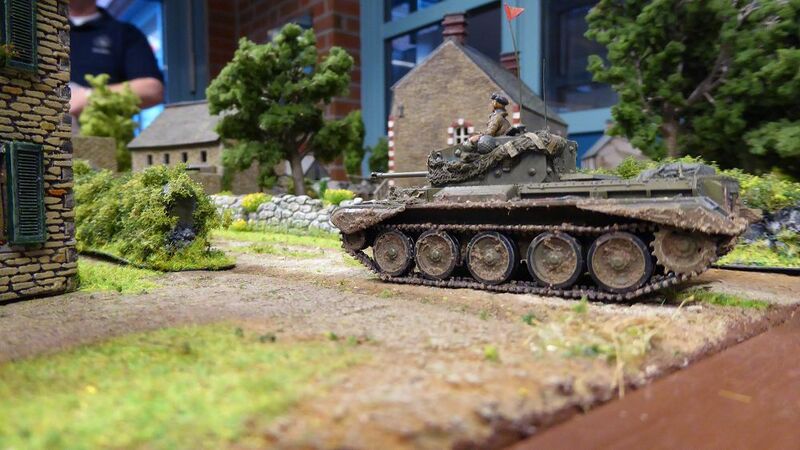 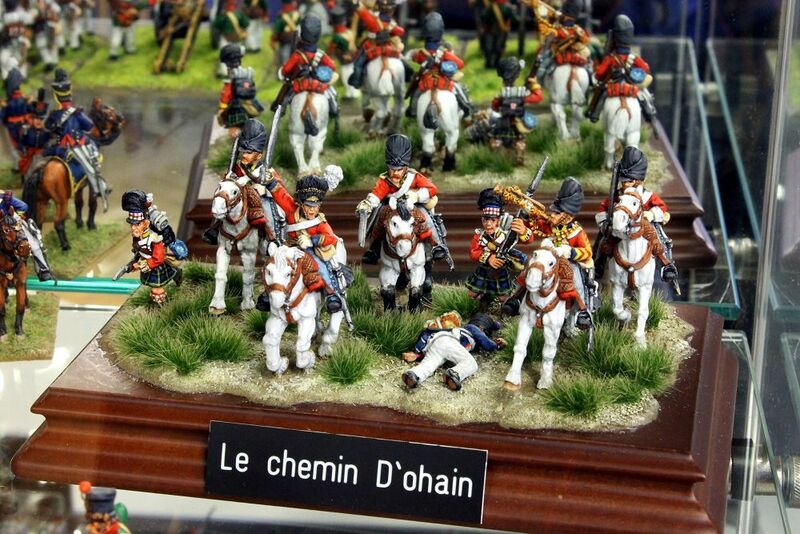 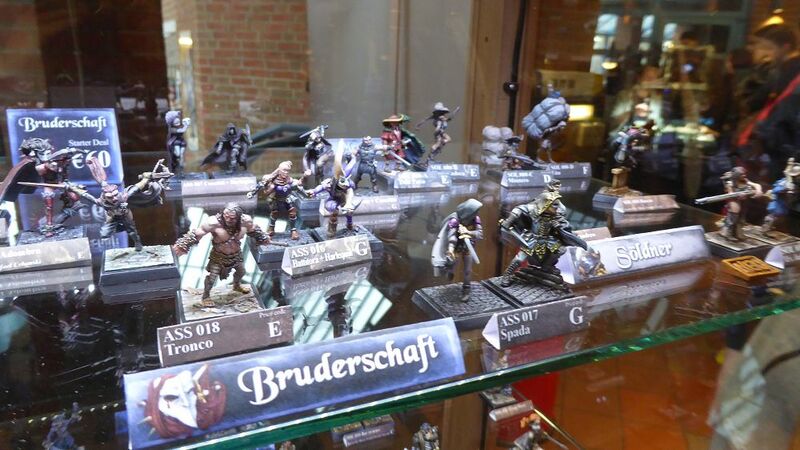 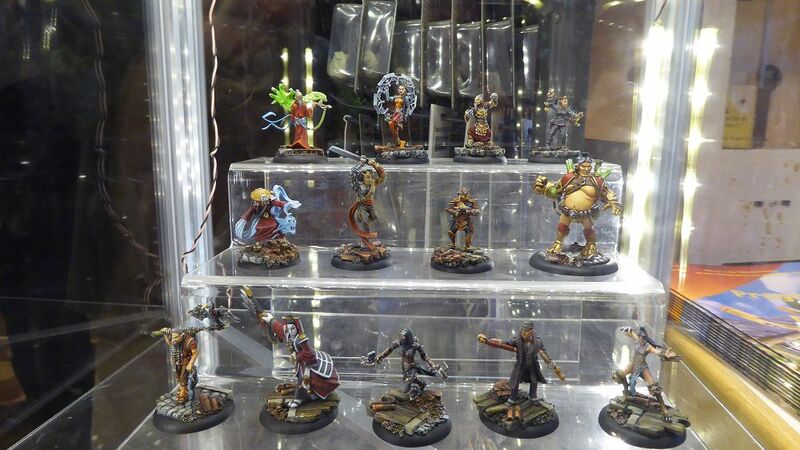 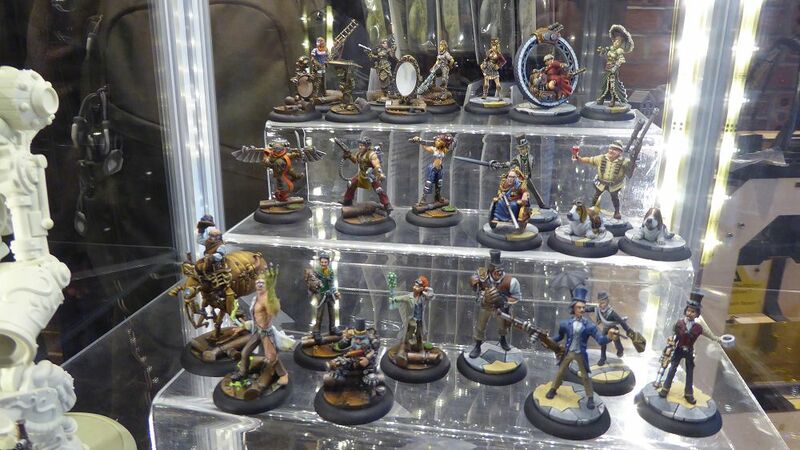 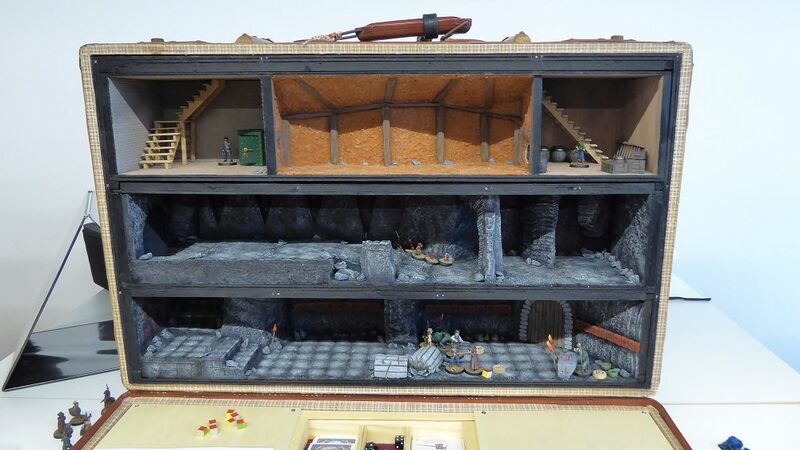 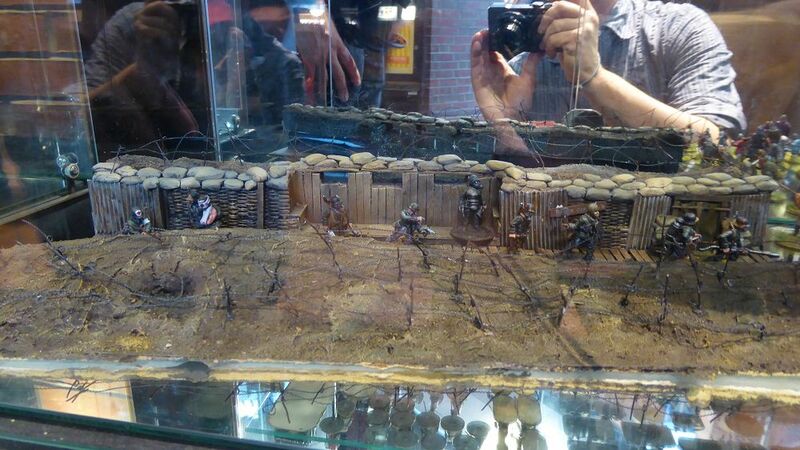 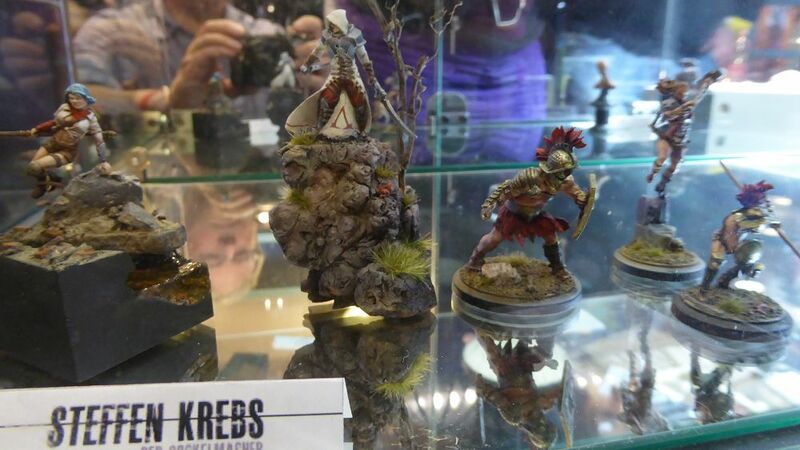 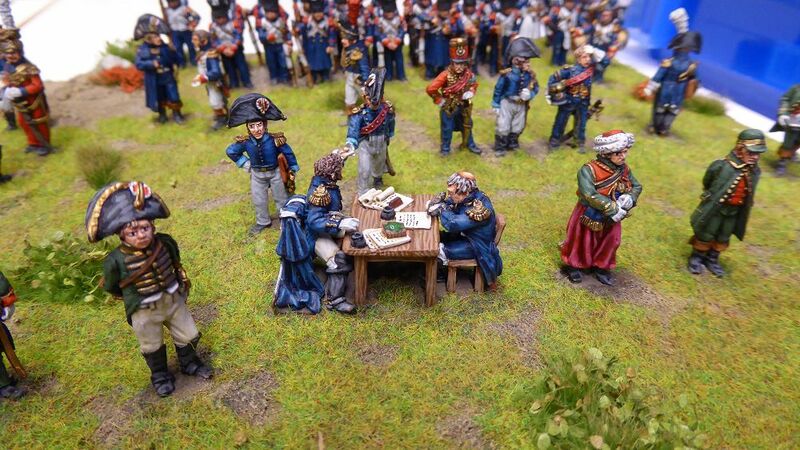 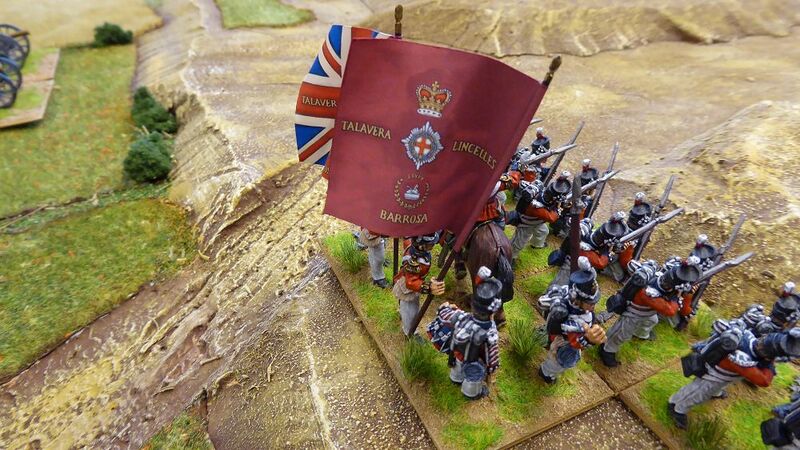 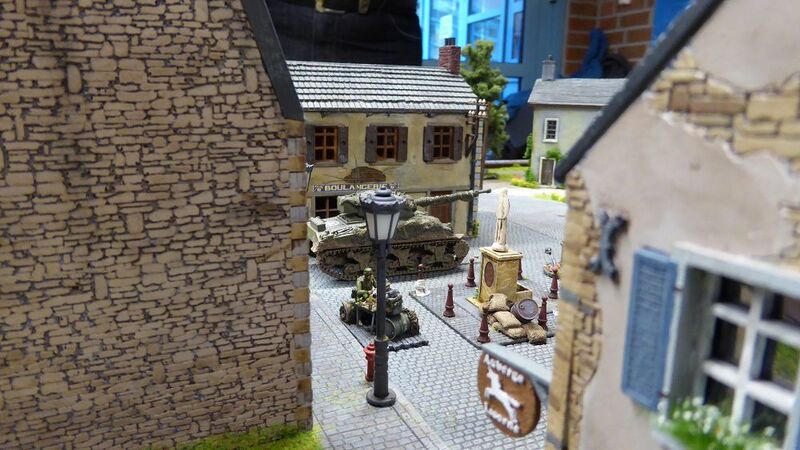 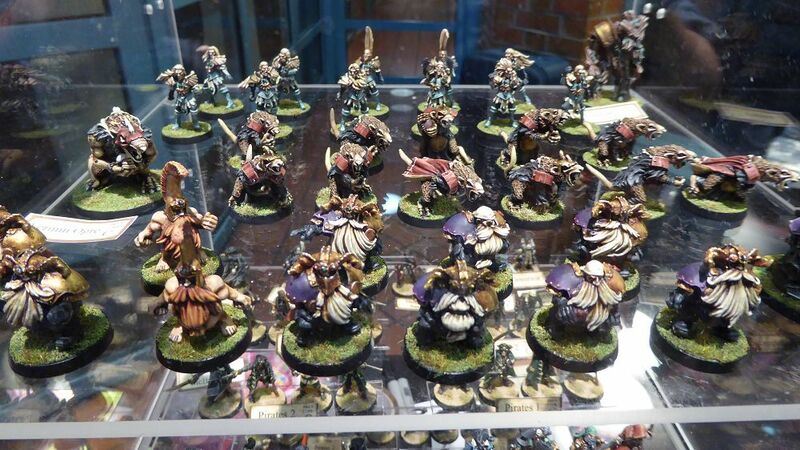 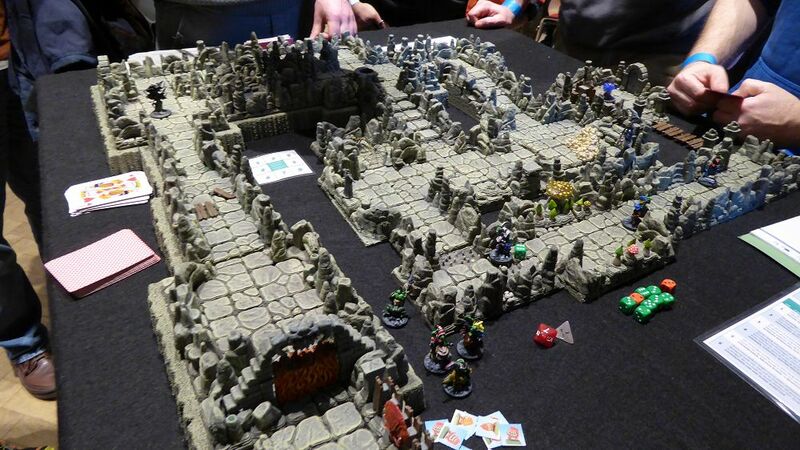 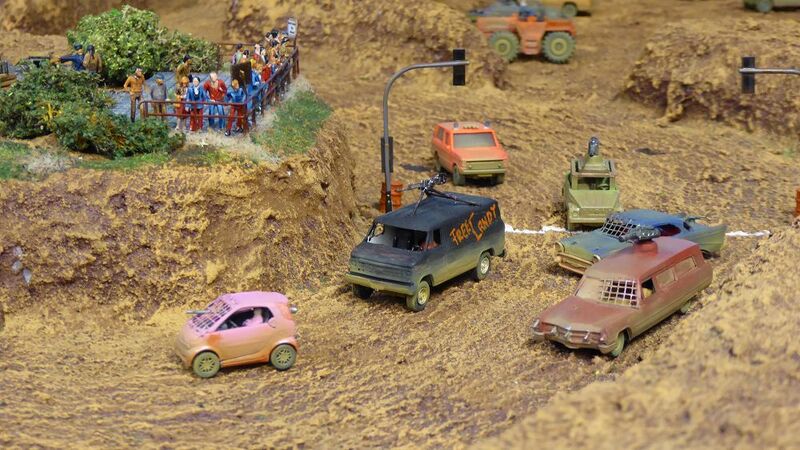 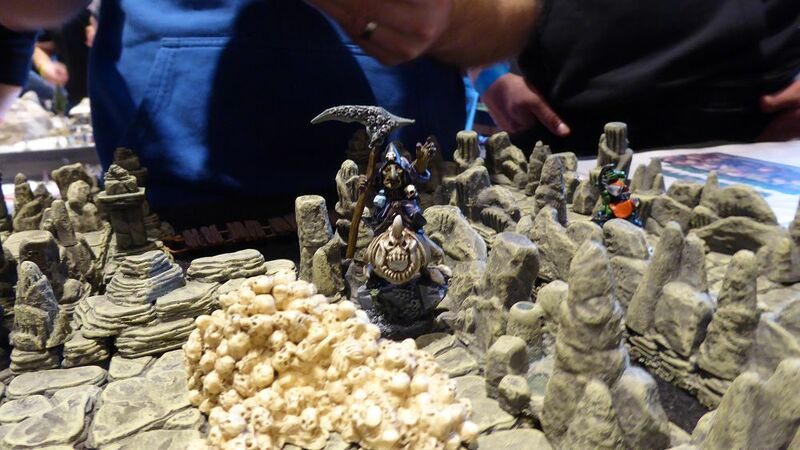 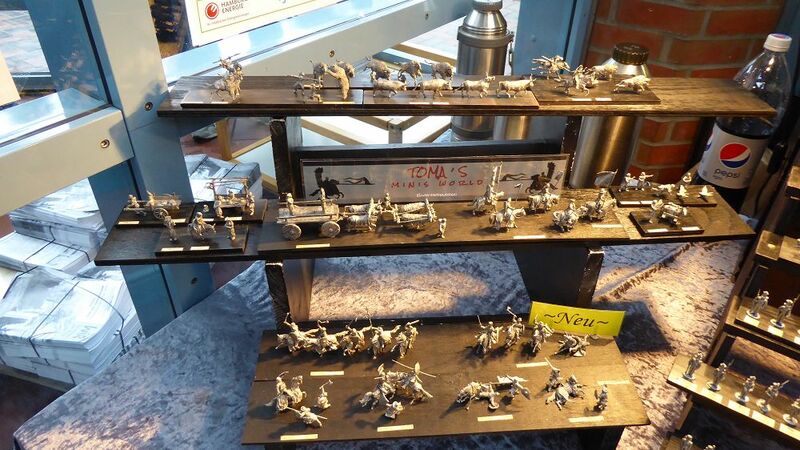 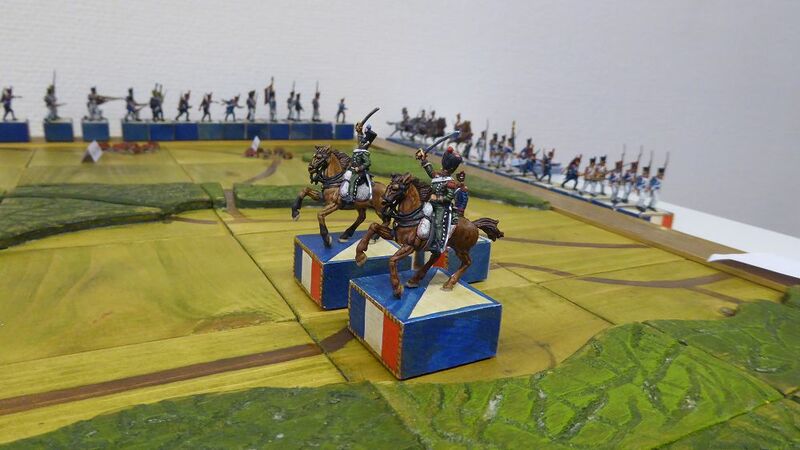 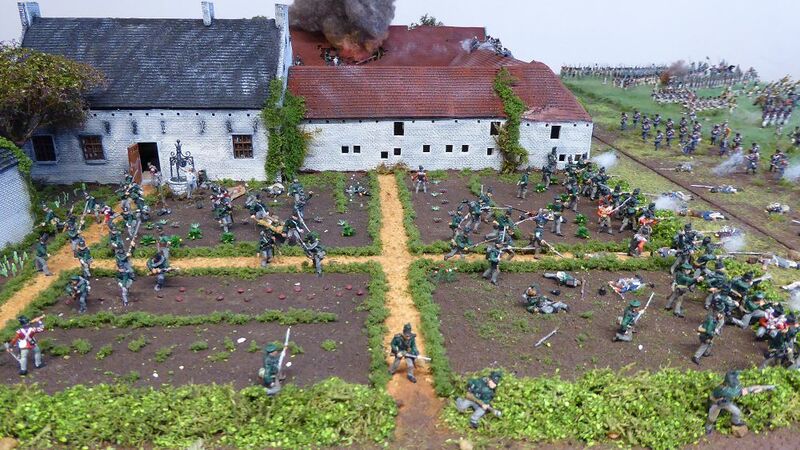 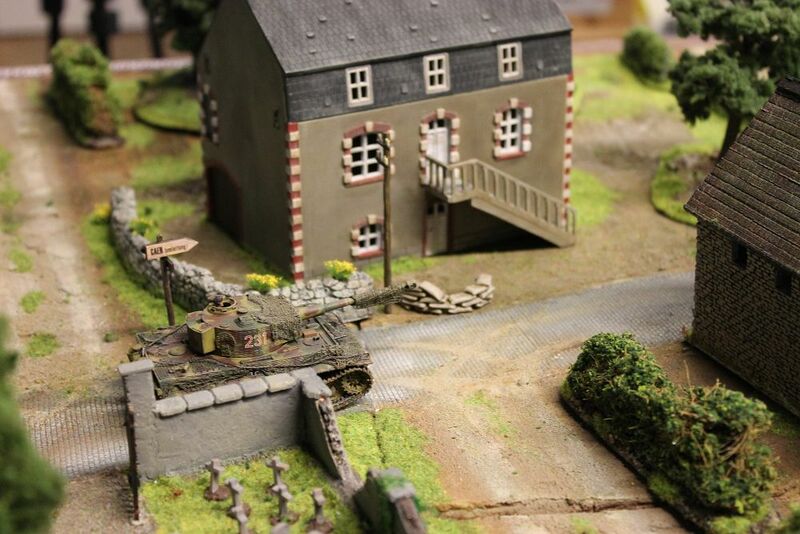 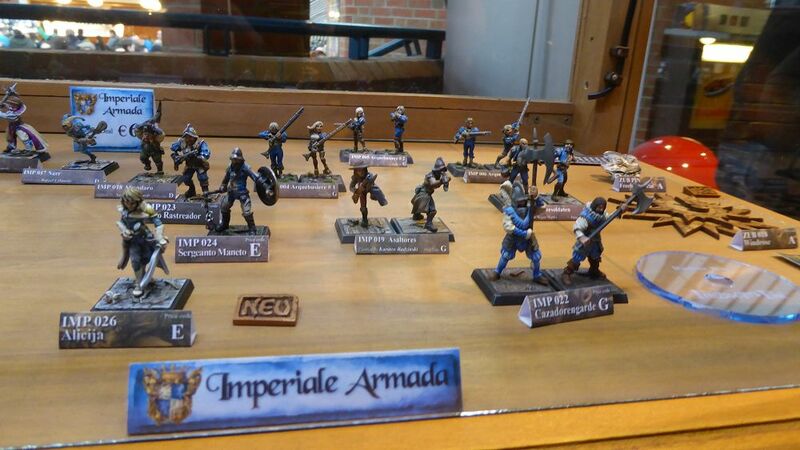 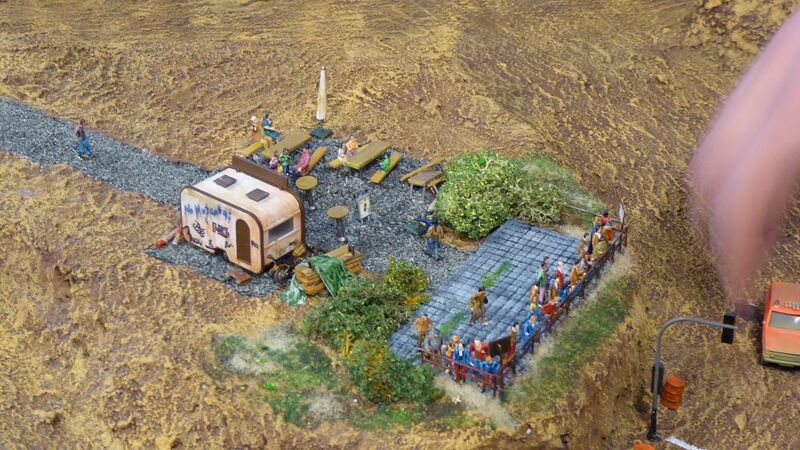 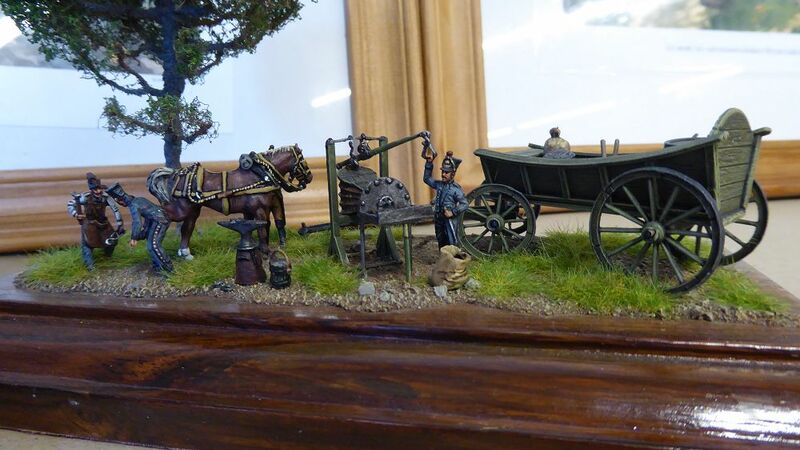 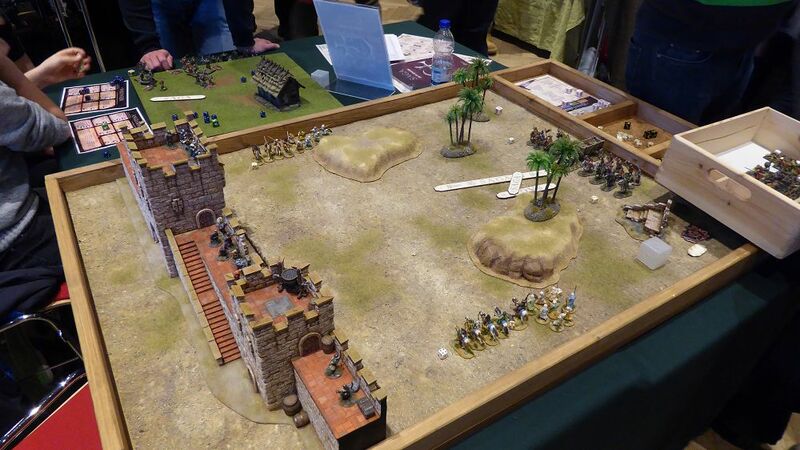 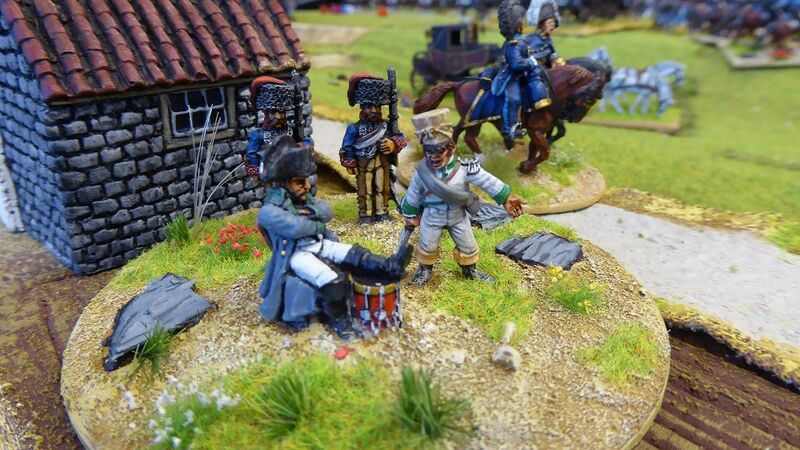 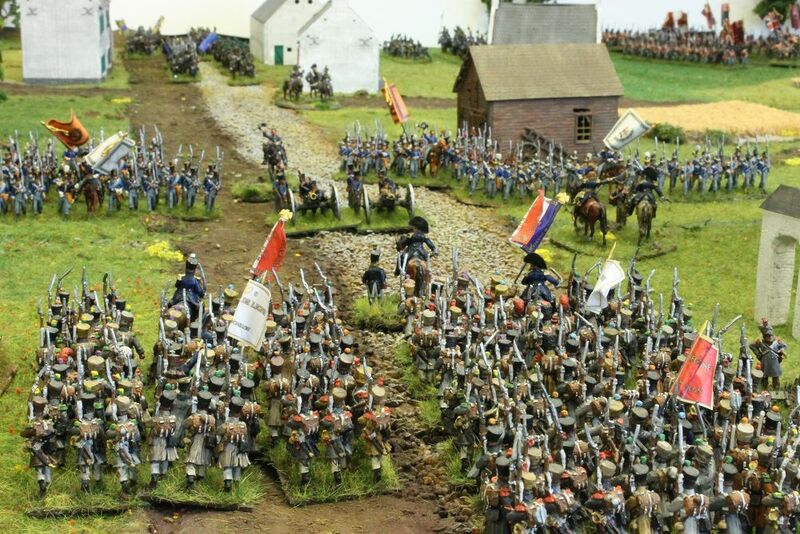 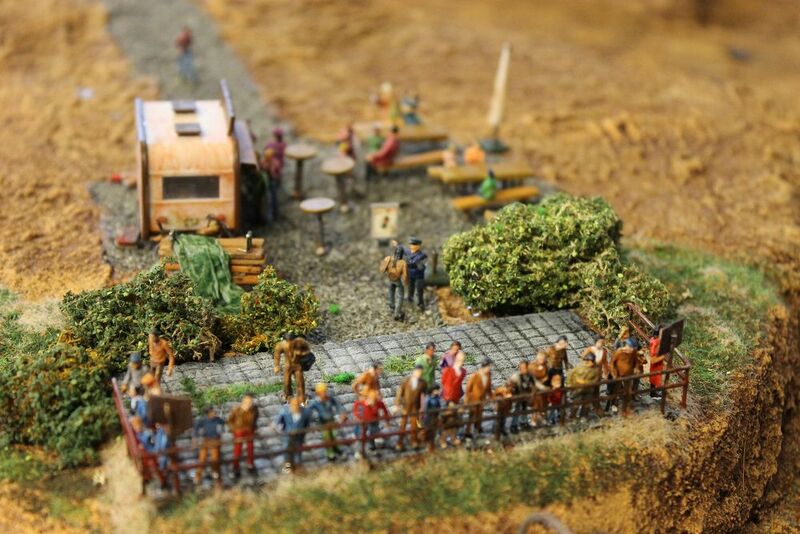 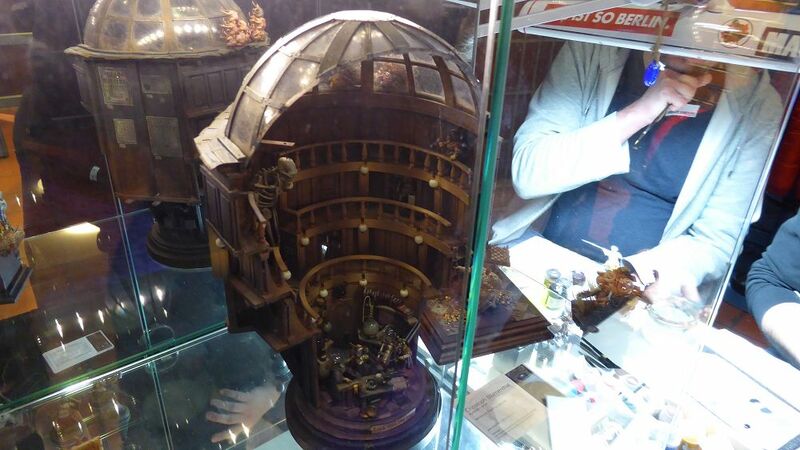 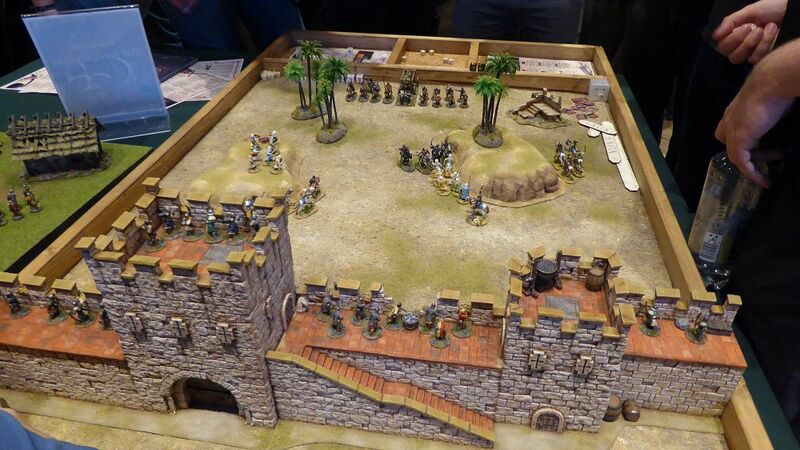 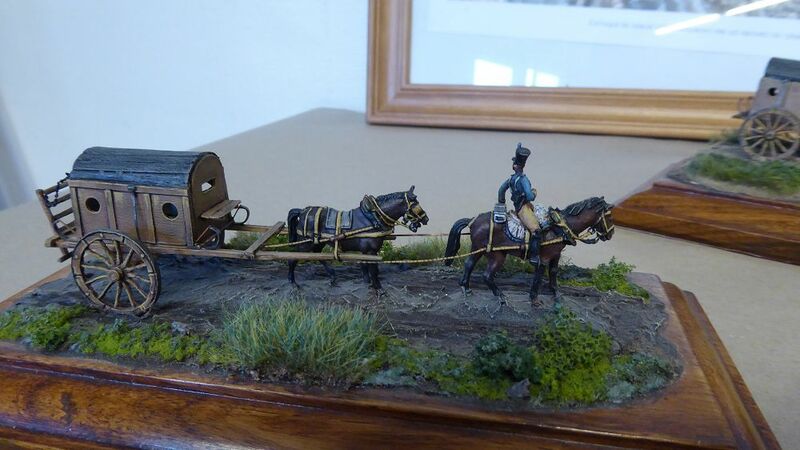 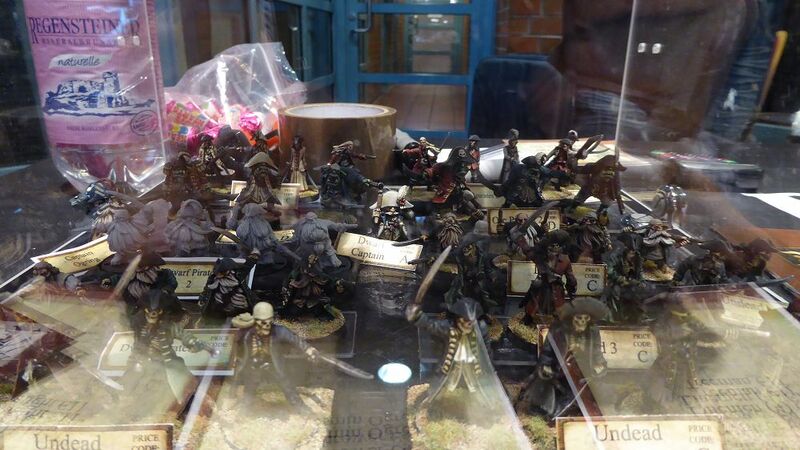 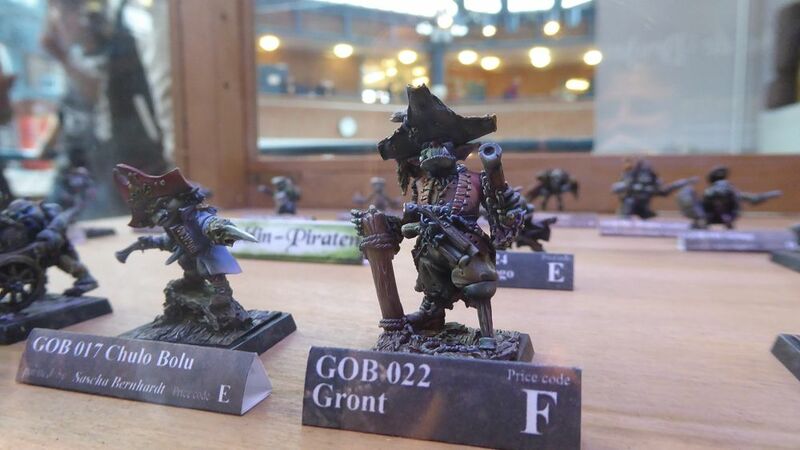 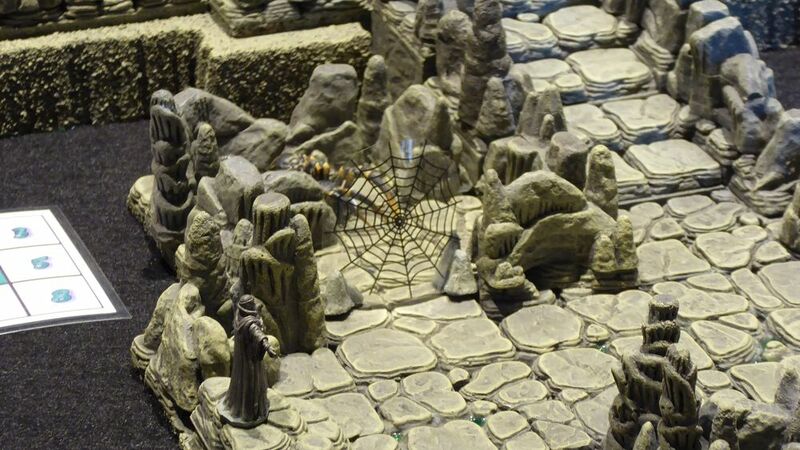 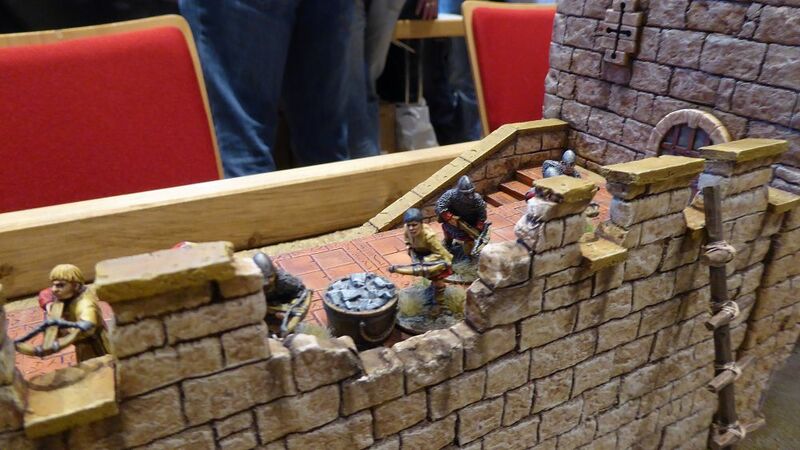 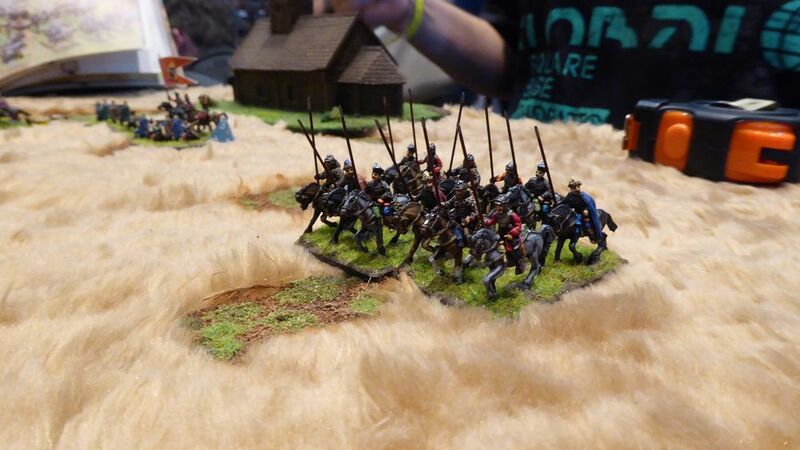 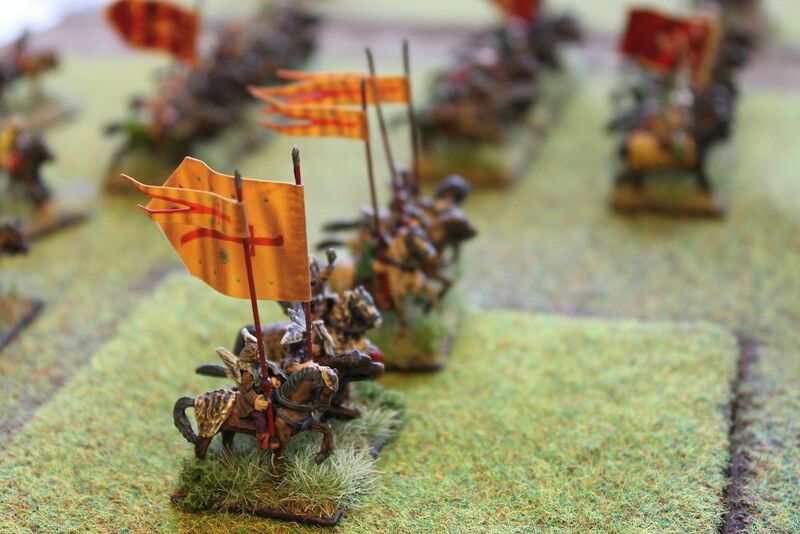 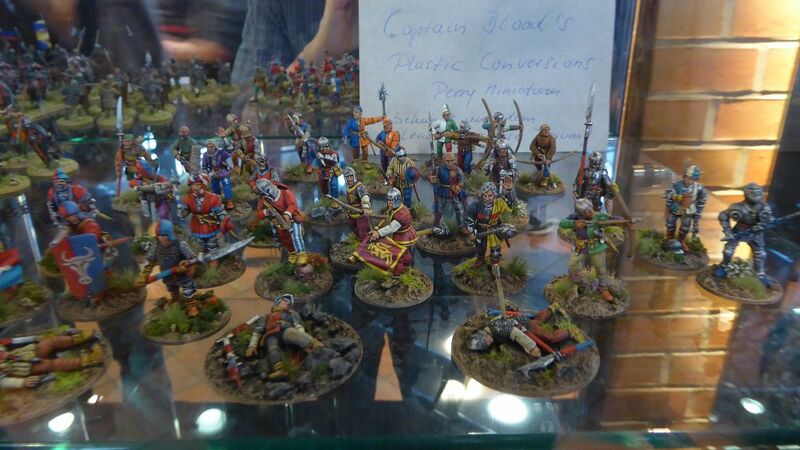 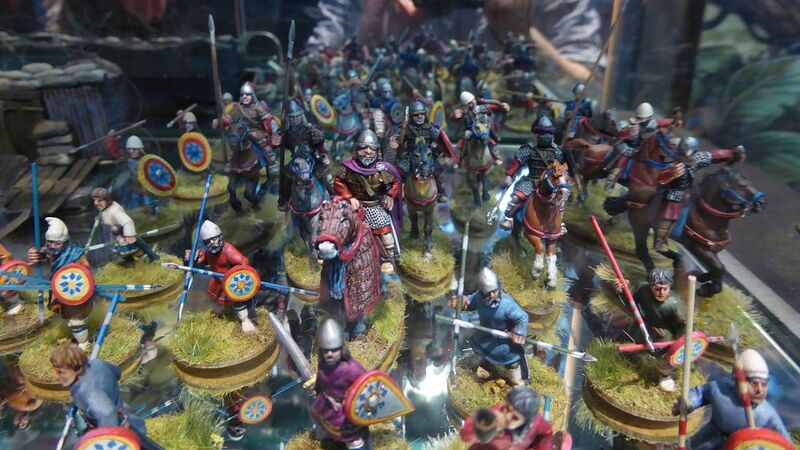 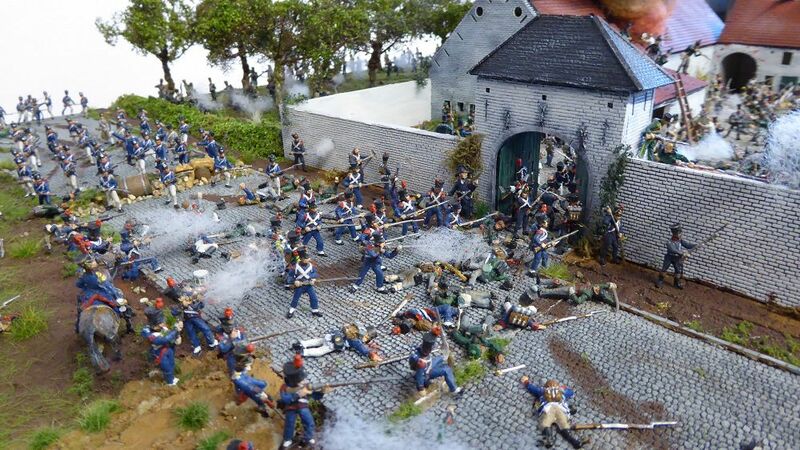 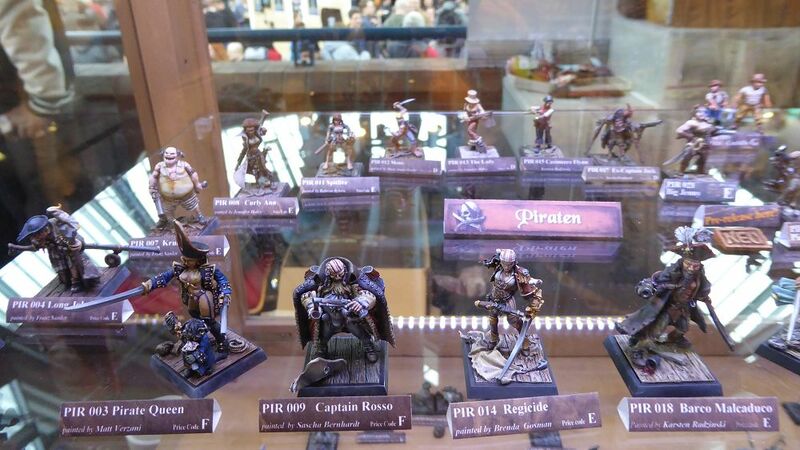 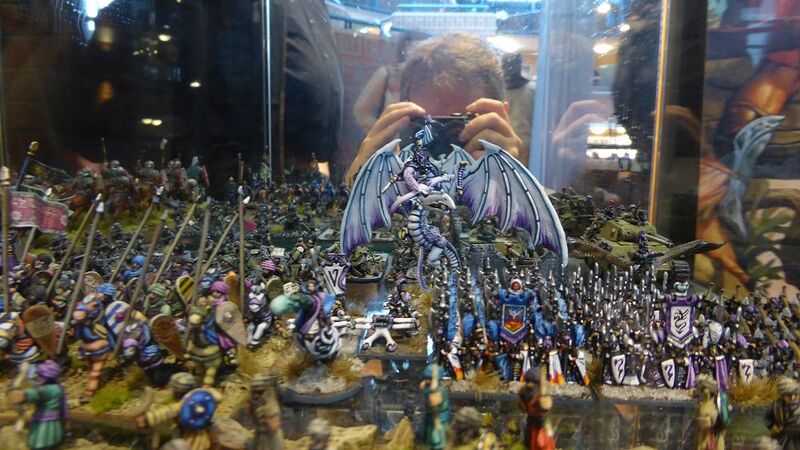 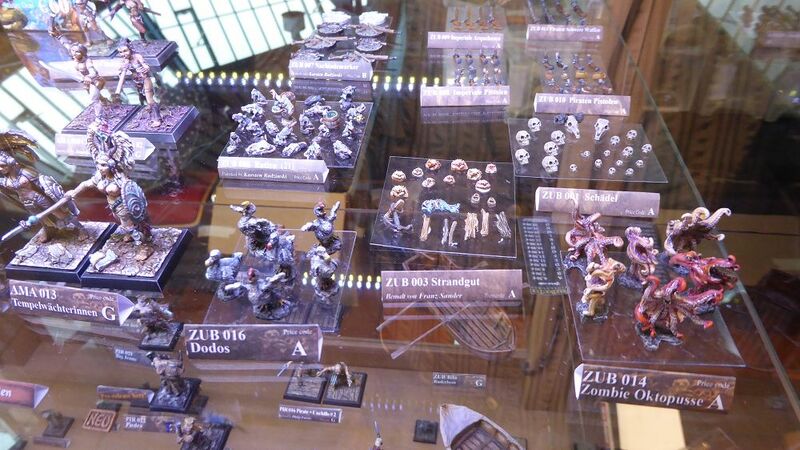 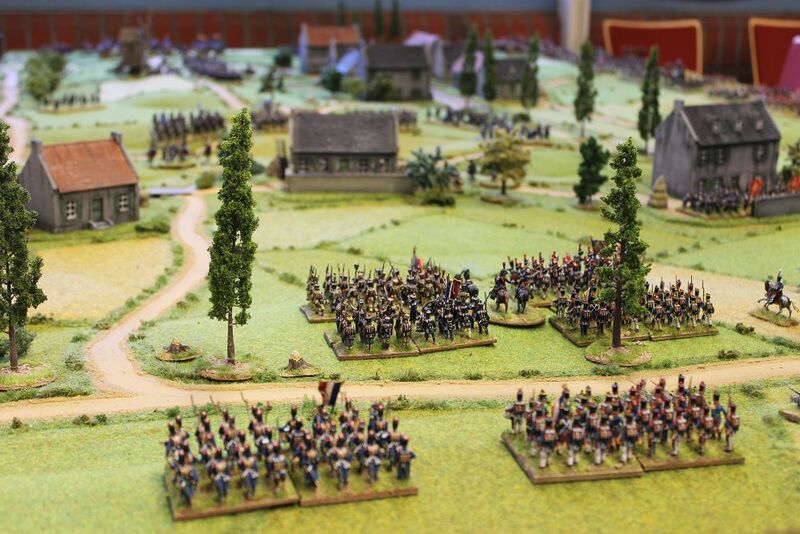 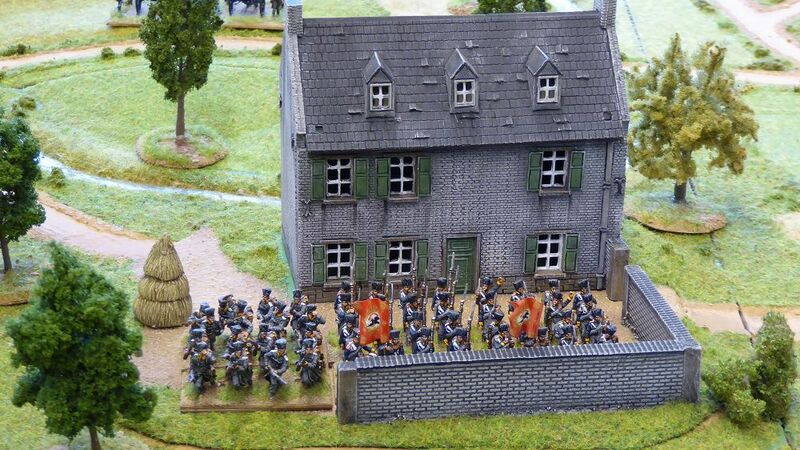 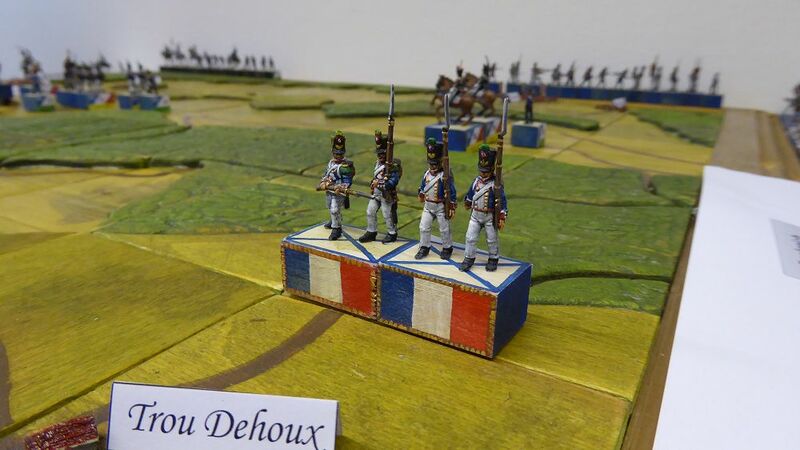 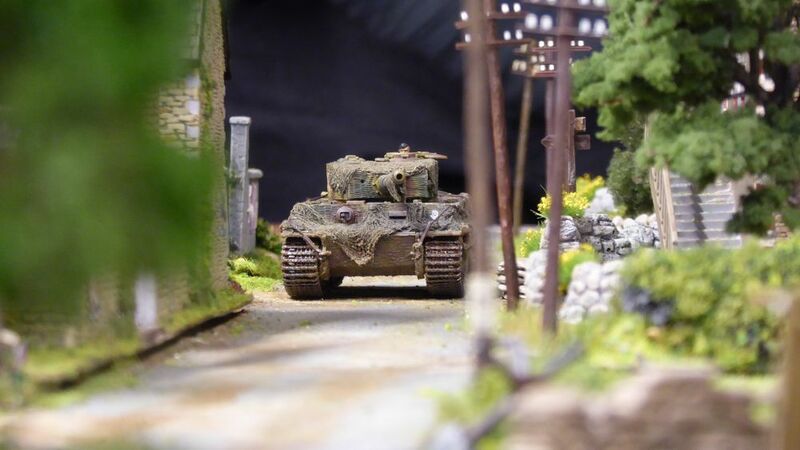 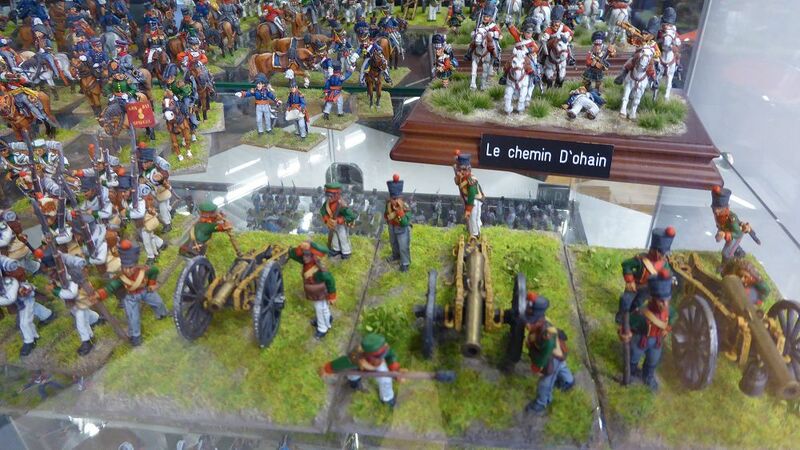 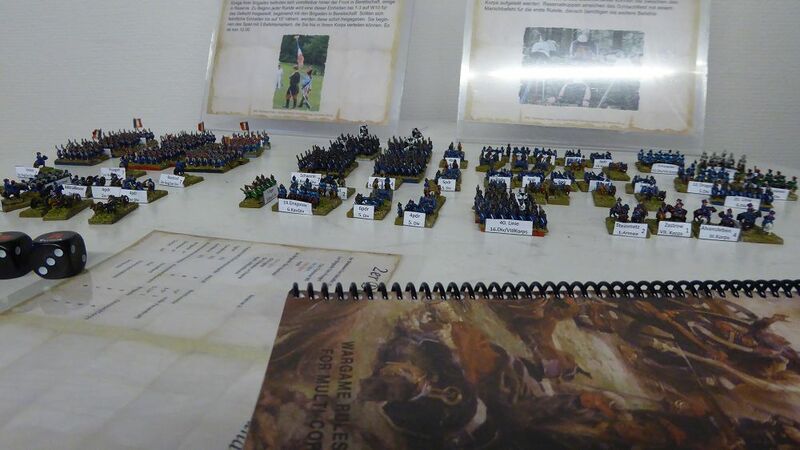 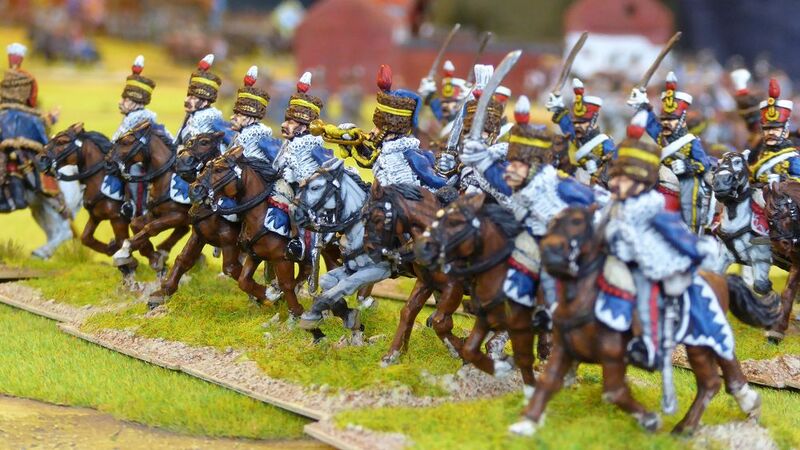 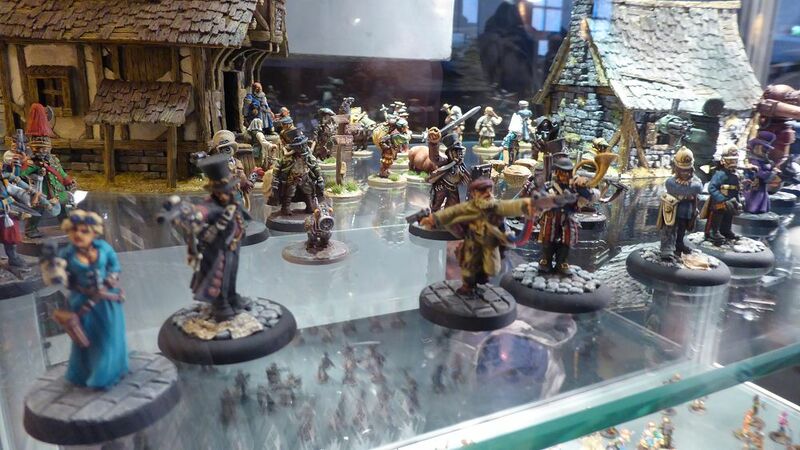 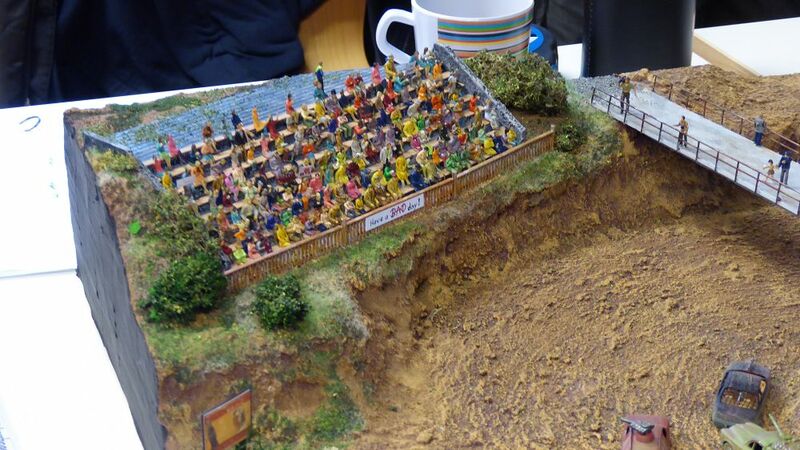 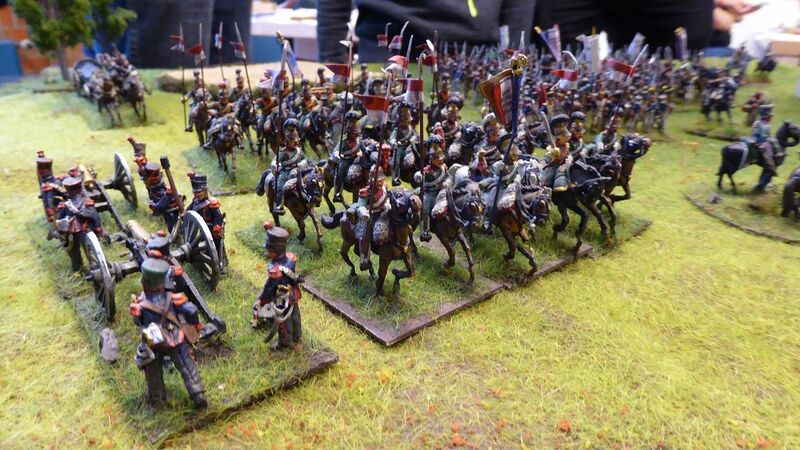 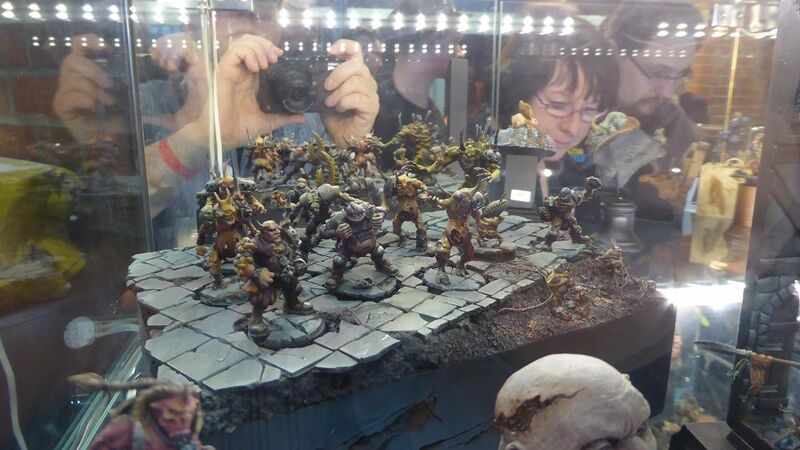 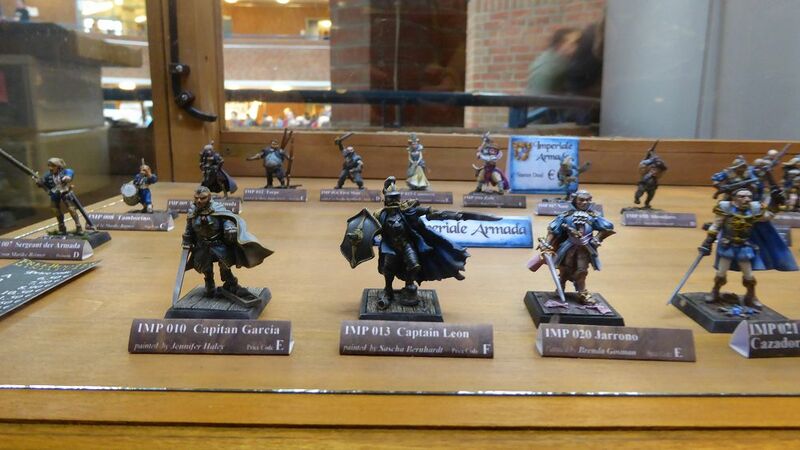 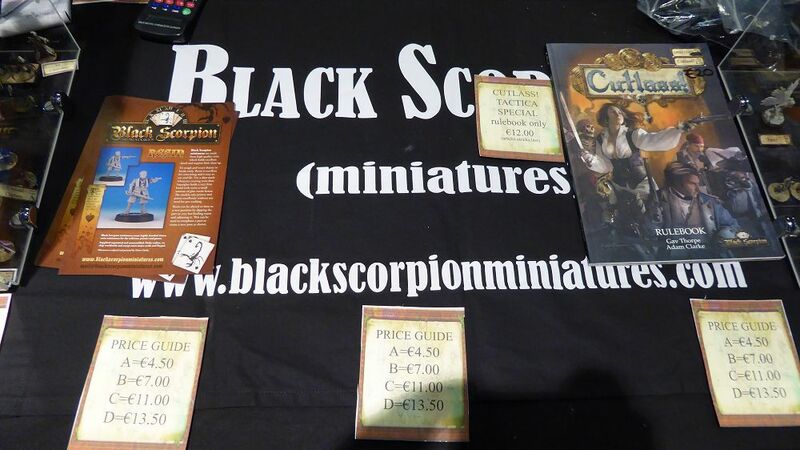 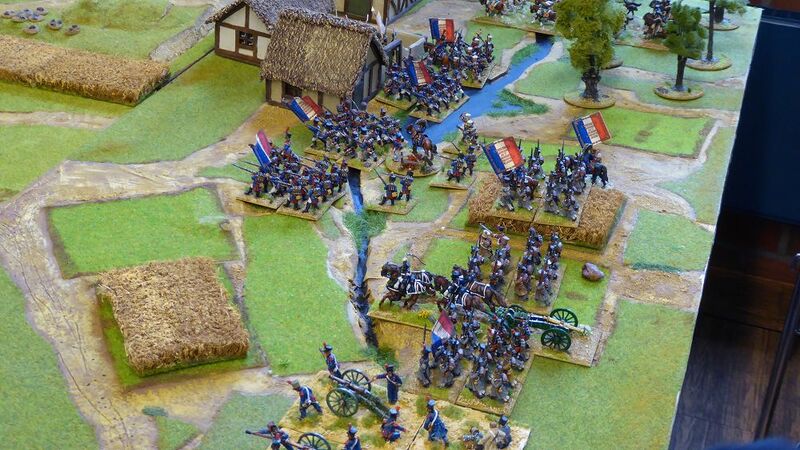 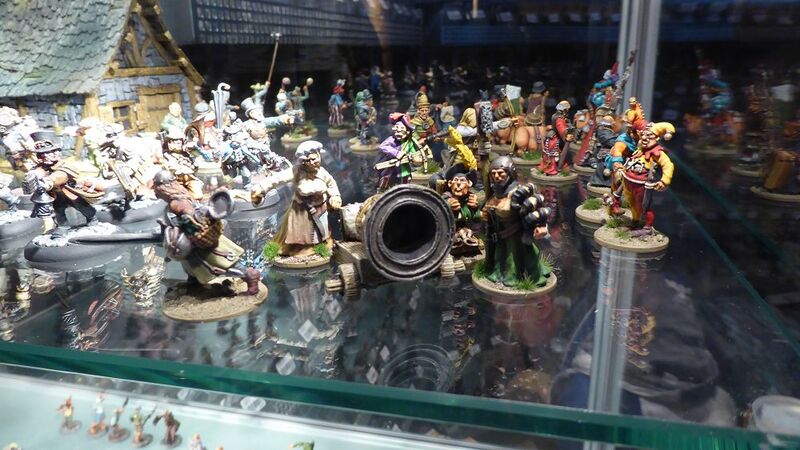 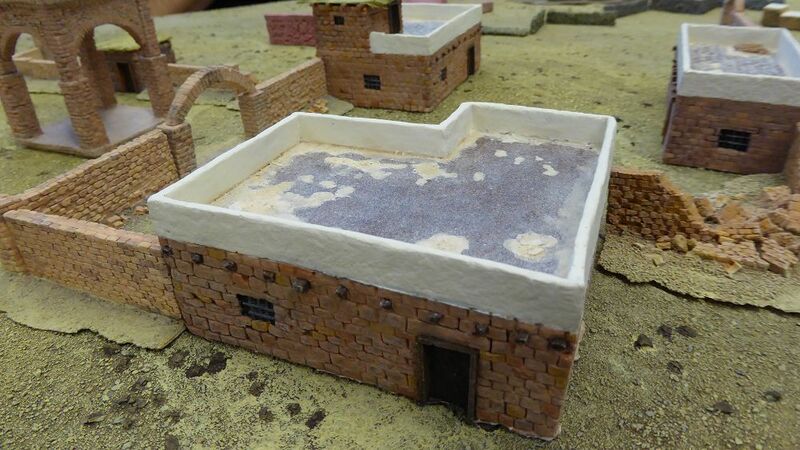 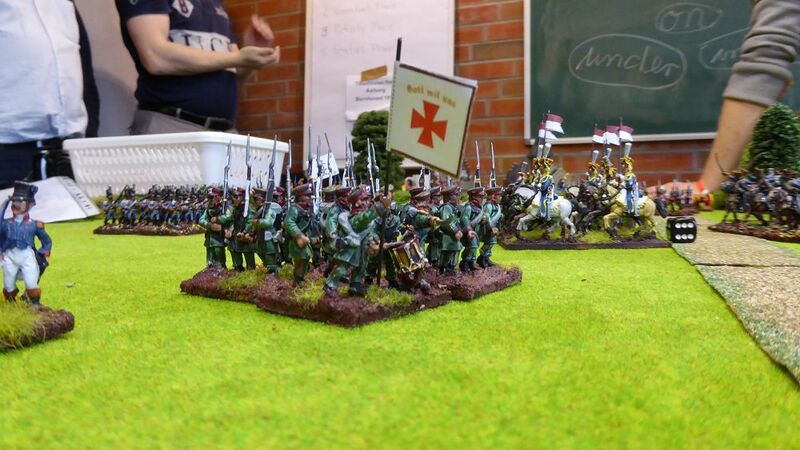 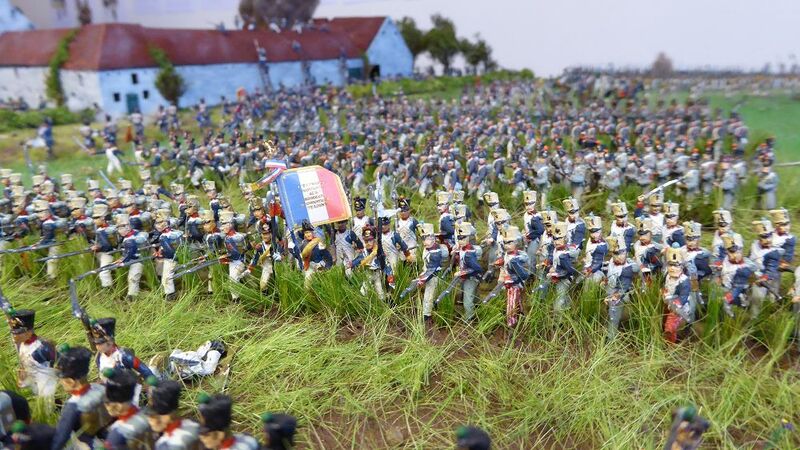 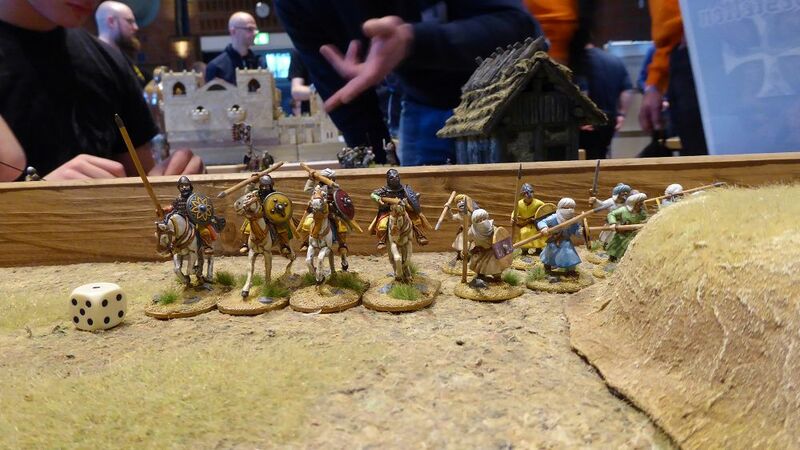 The figures are in 28mm scale and the rules are “Lasalle” by Sam Mustafa.